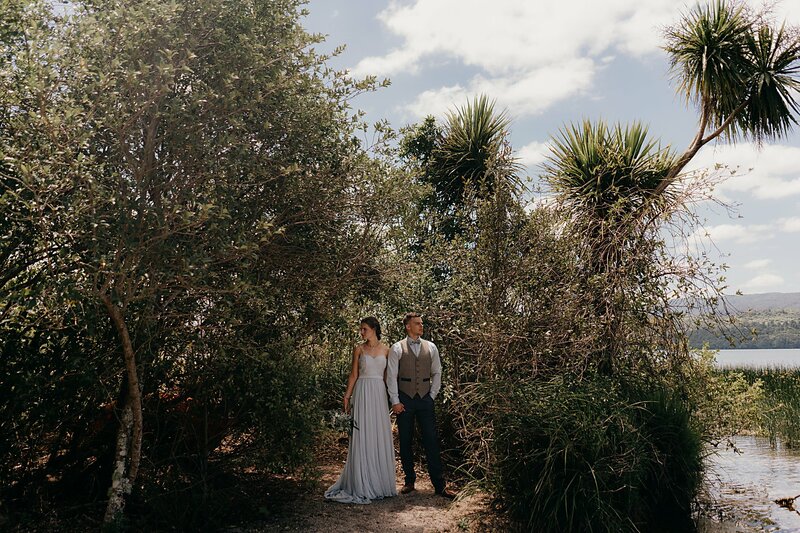 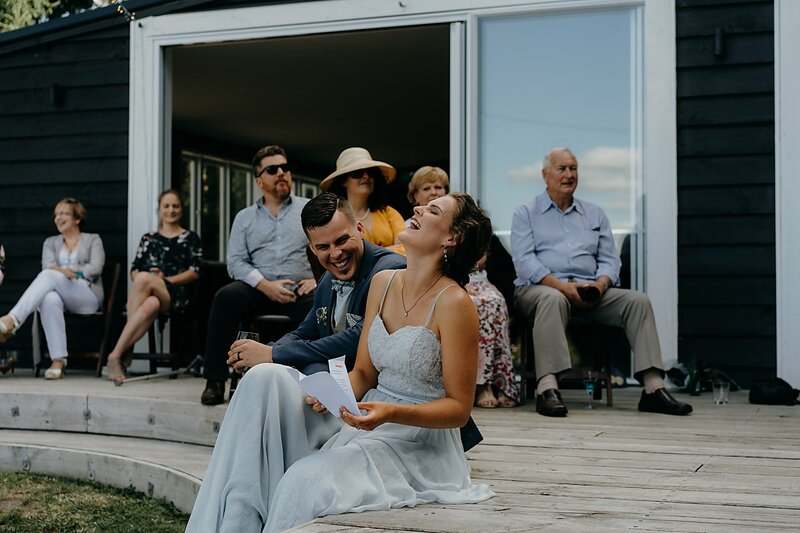 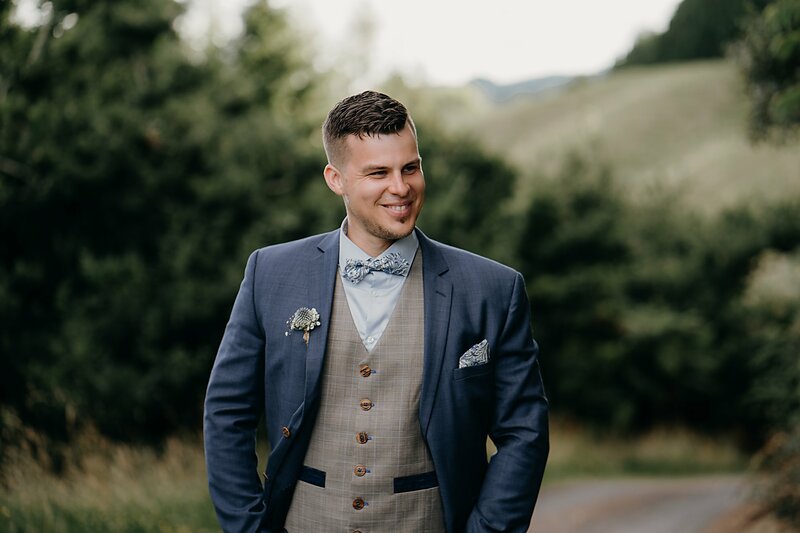 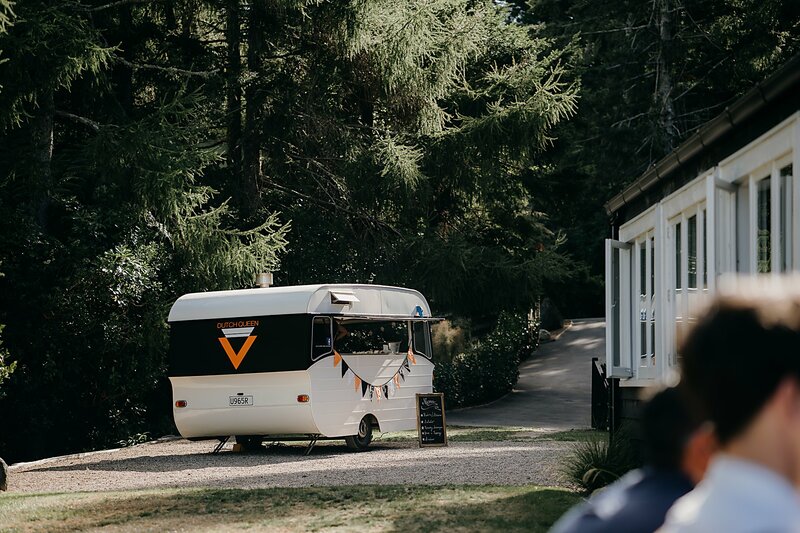 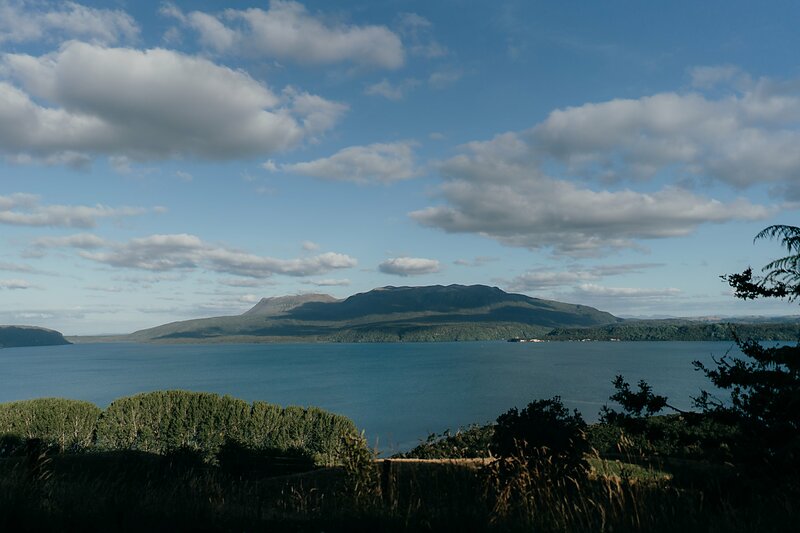 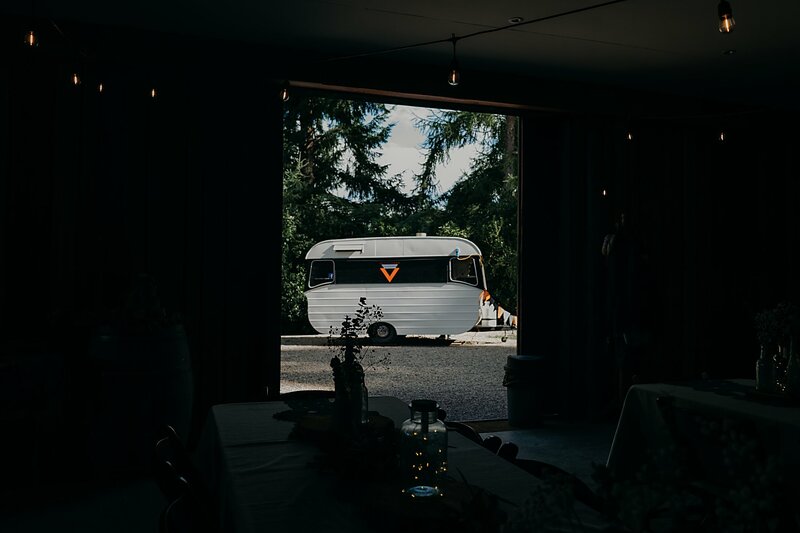 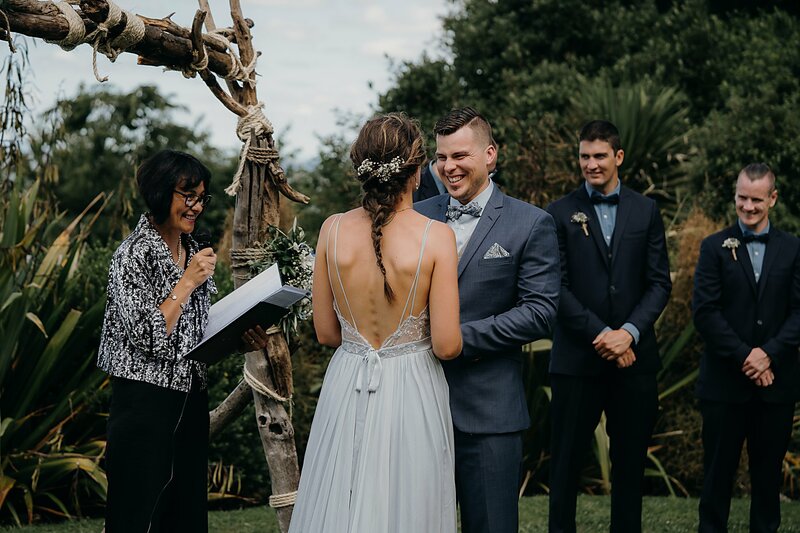 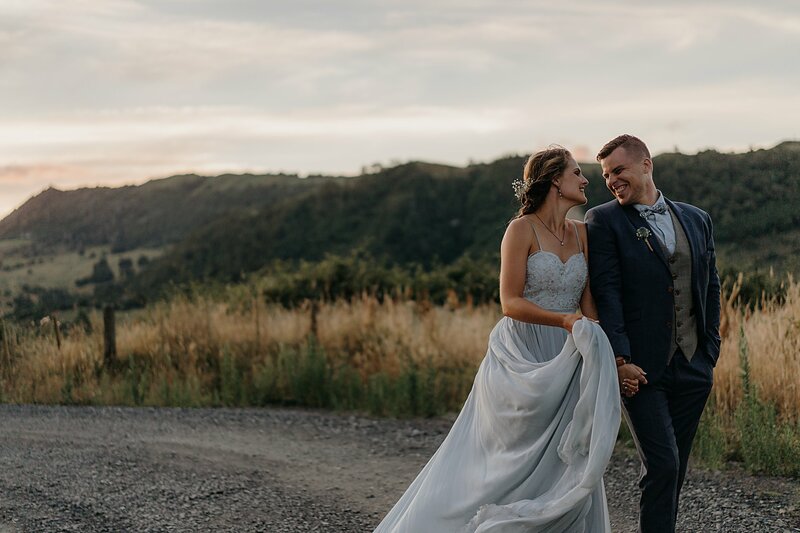 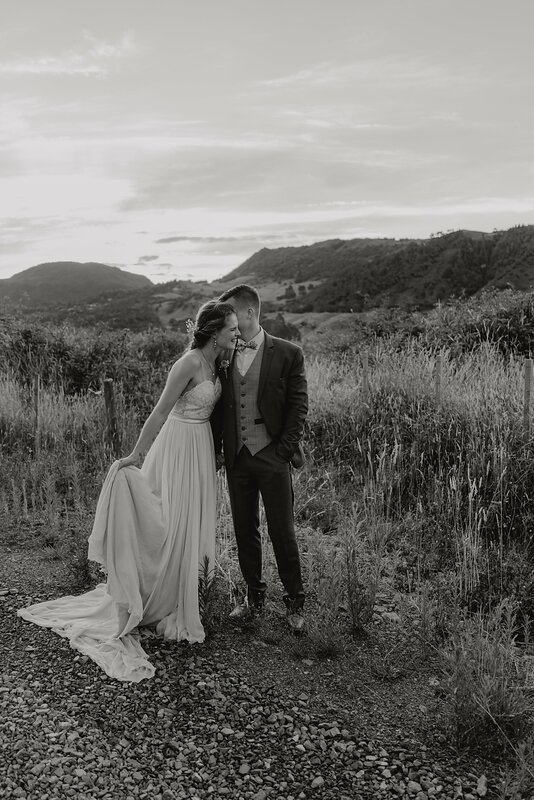 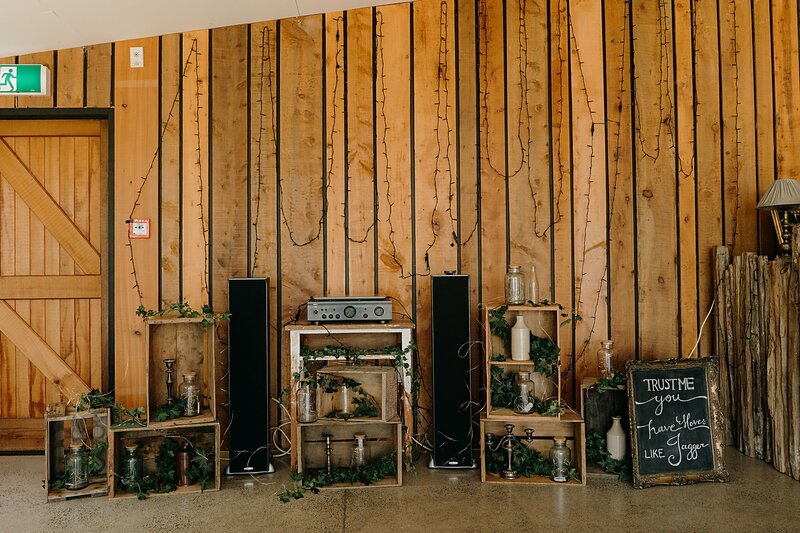 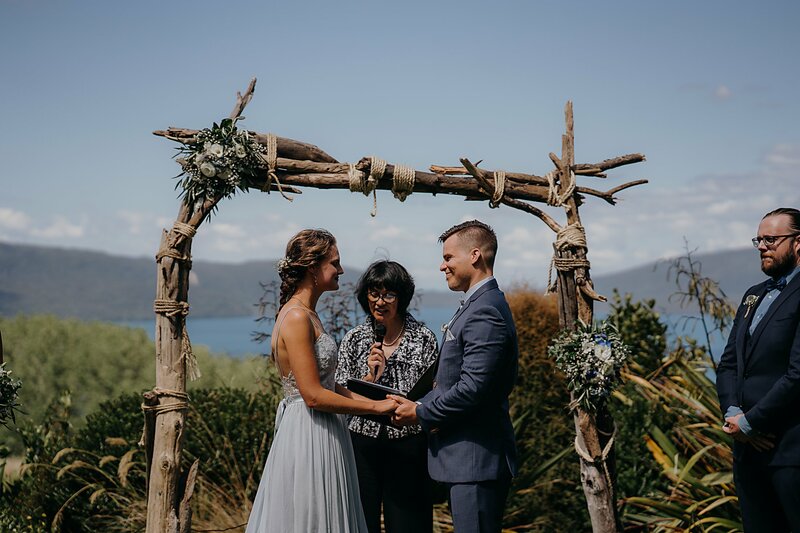 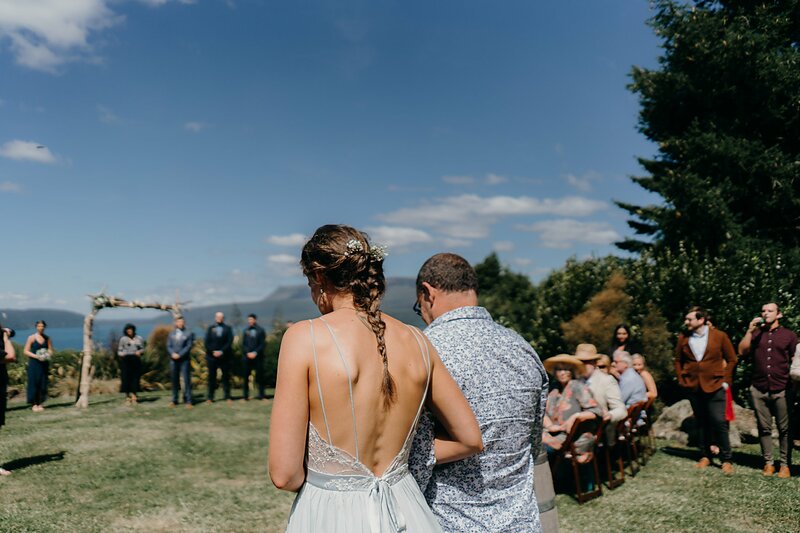 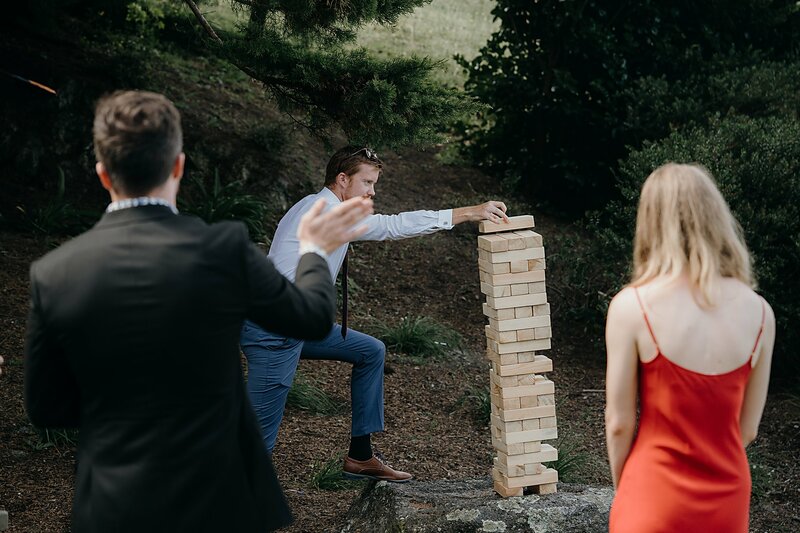 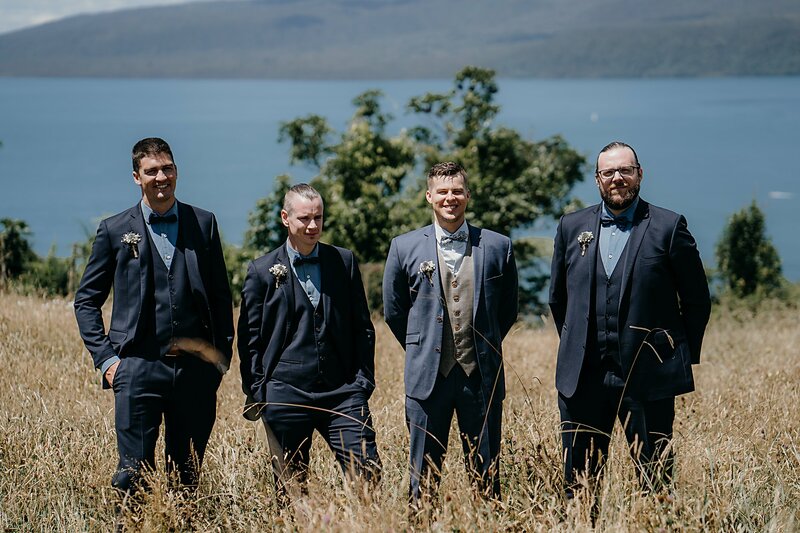 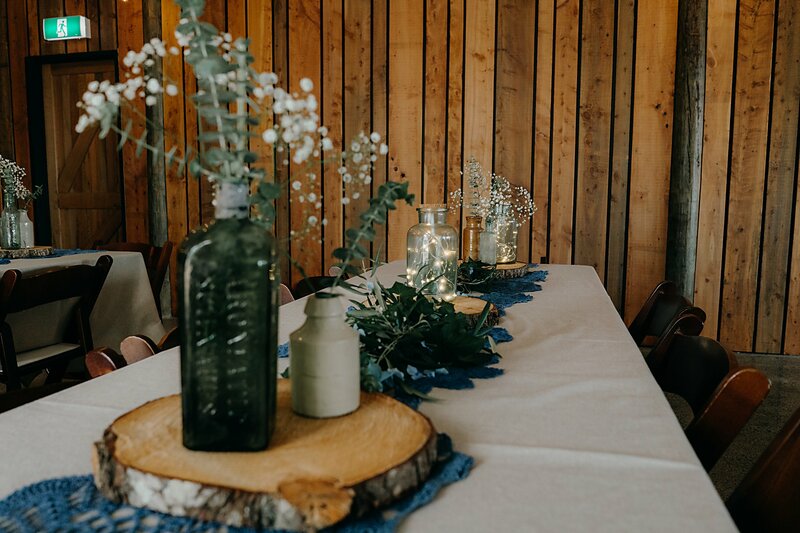 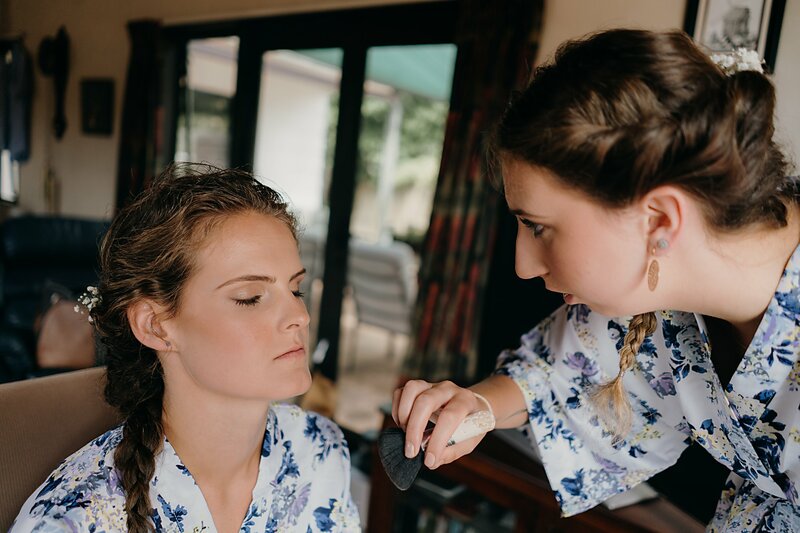 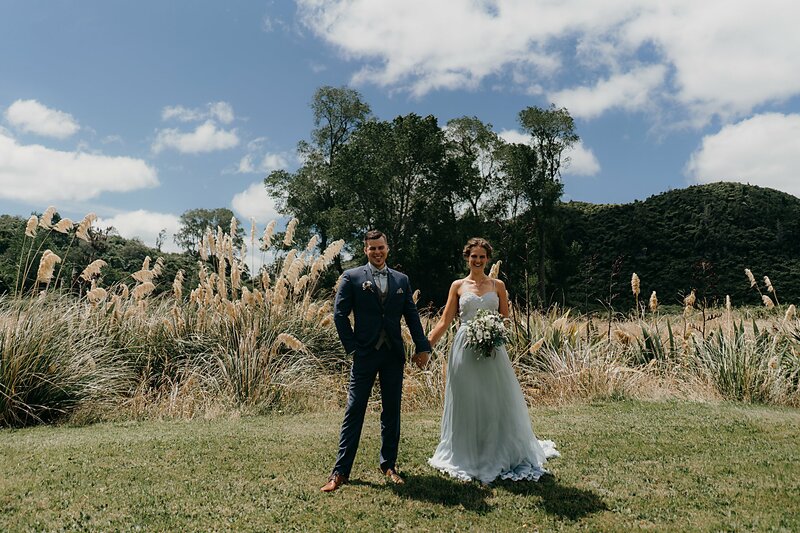 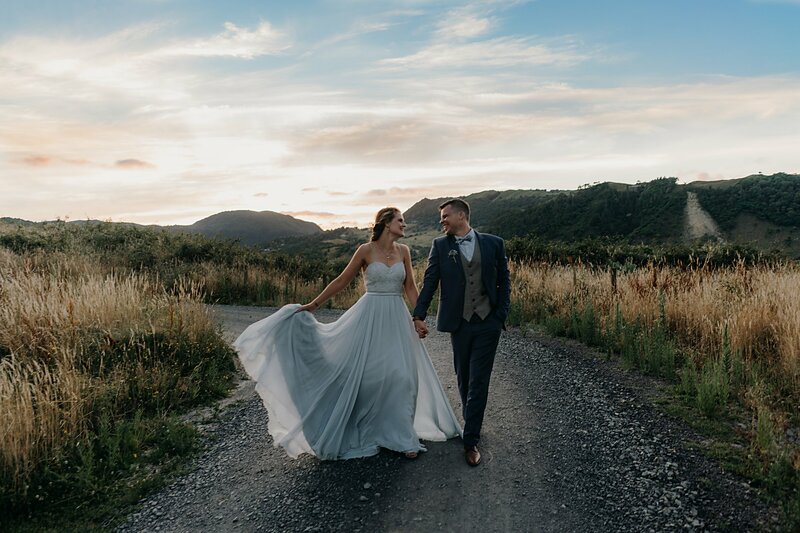 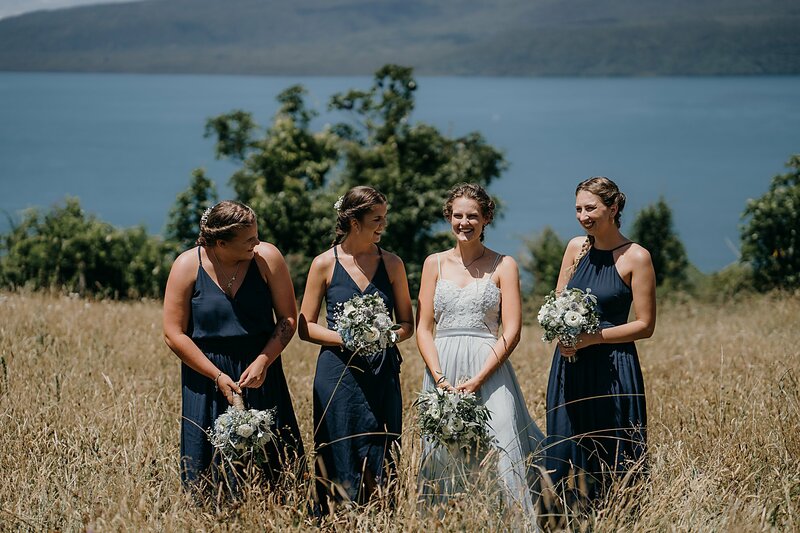 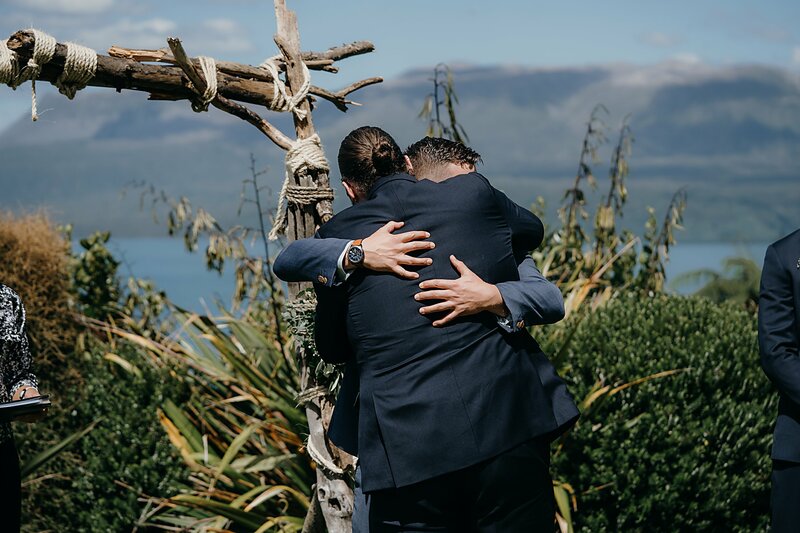 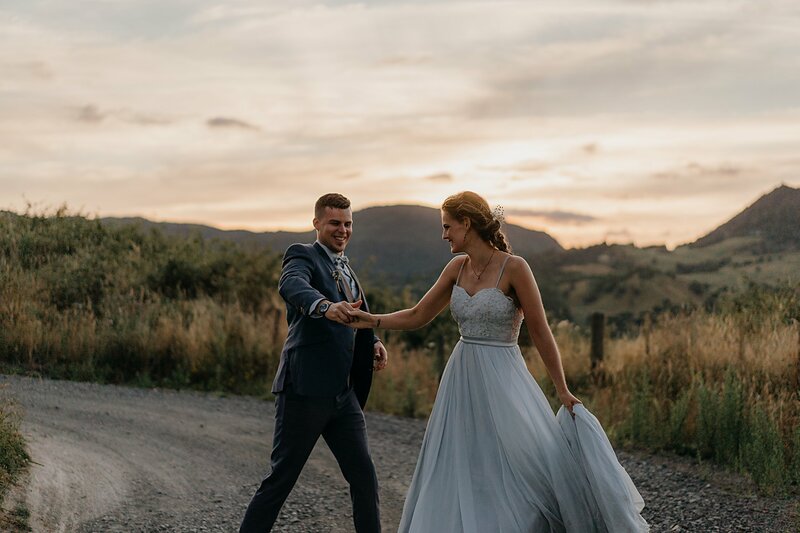 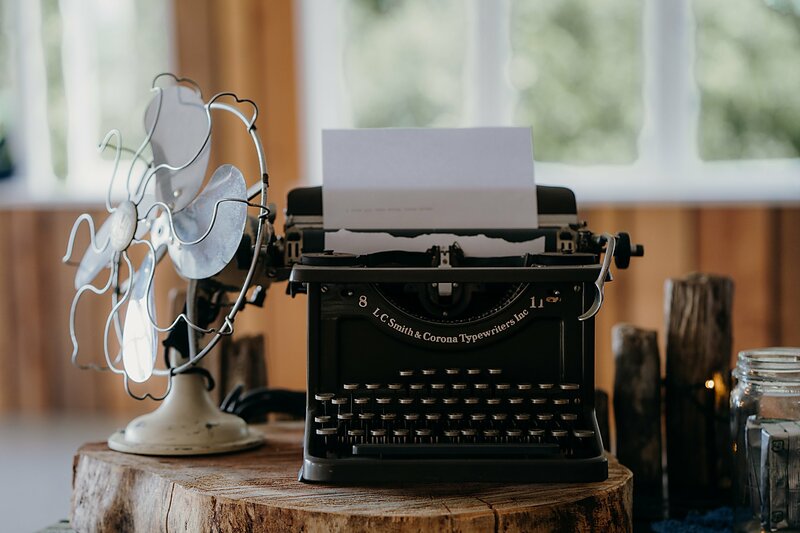 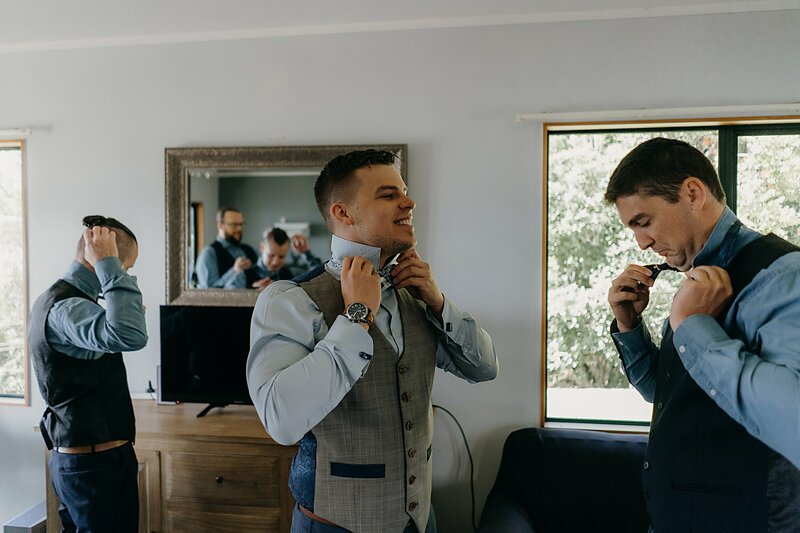 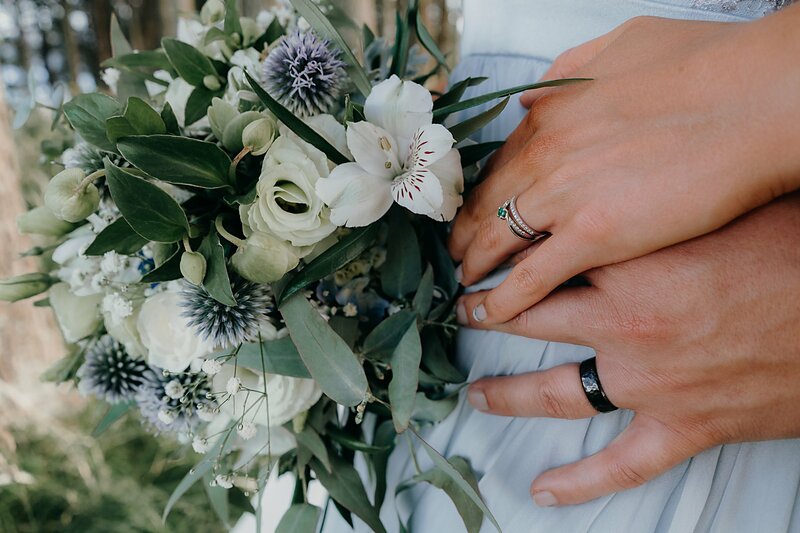 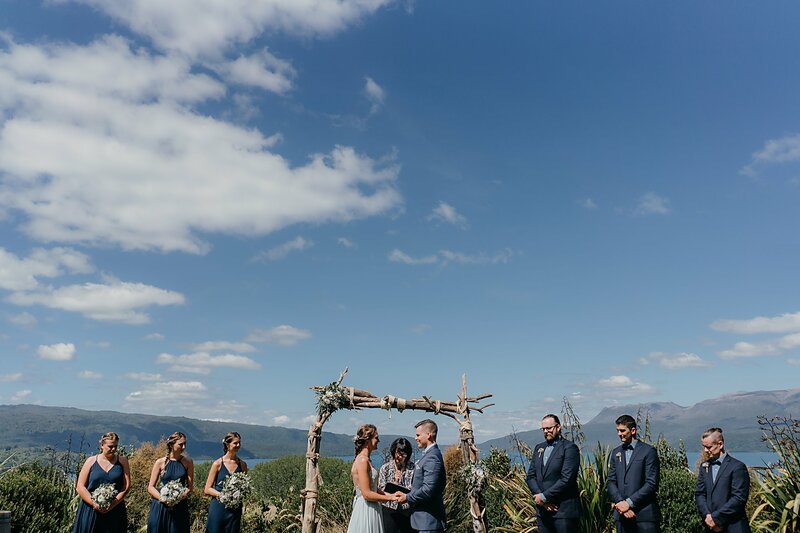 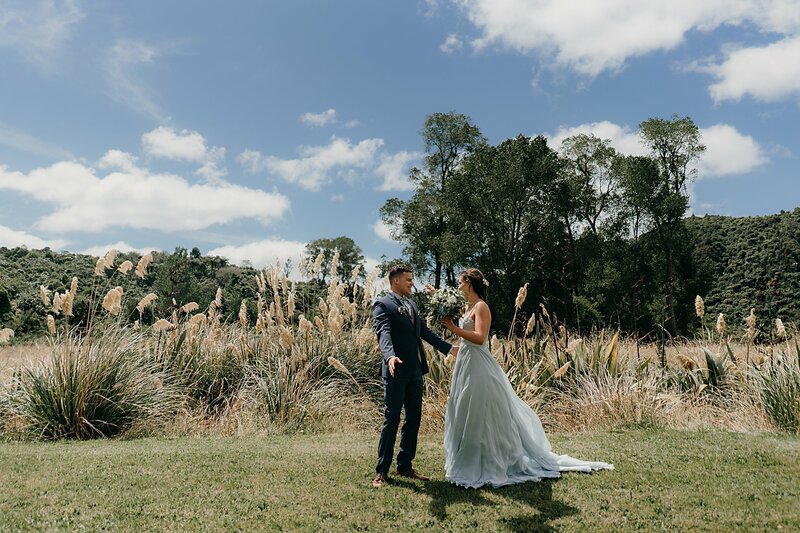 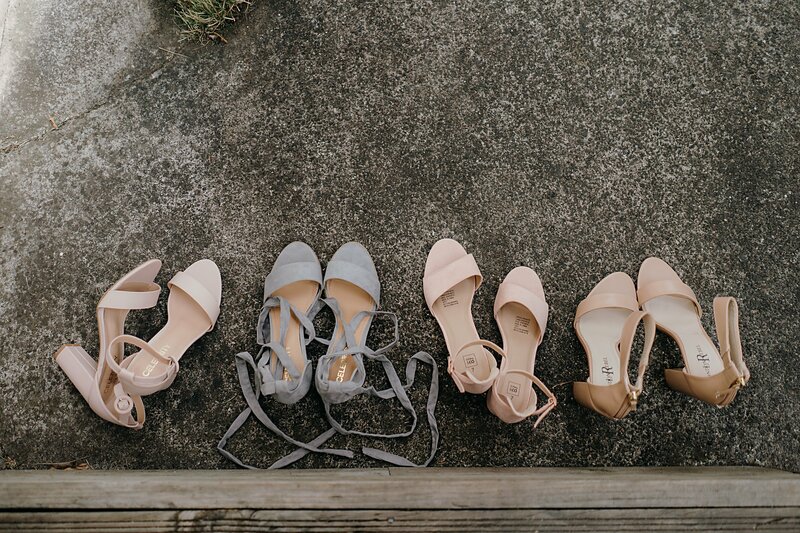 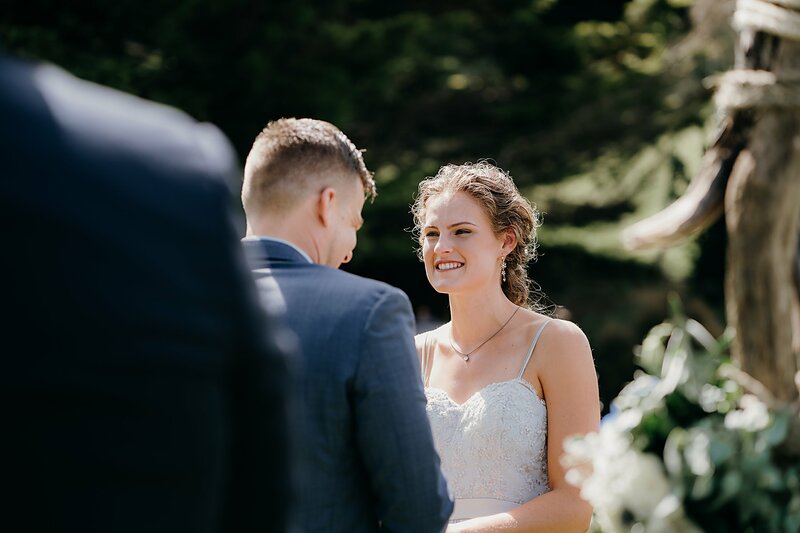 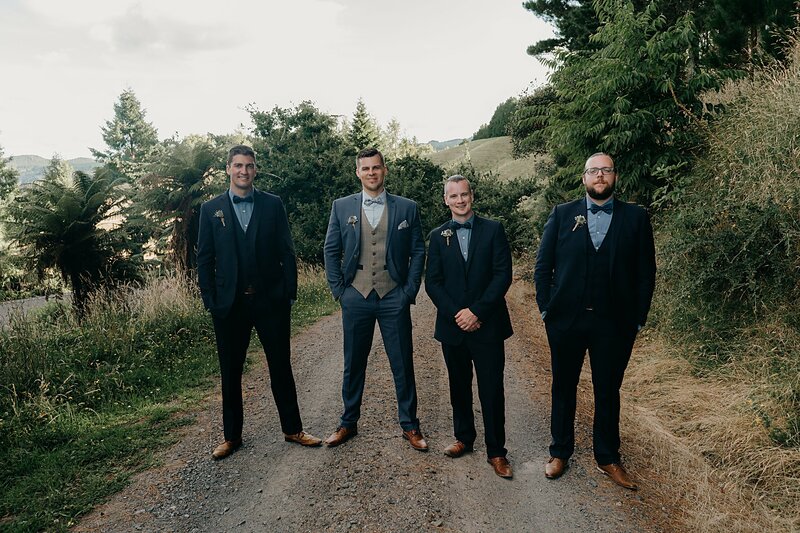 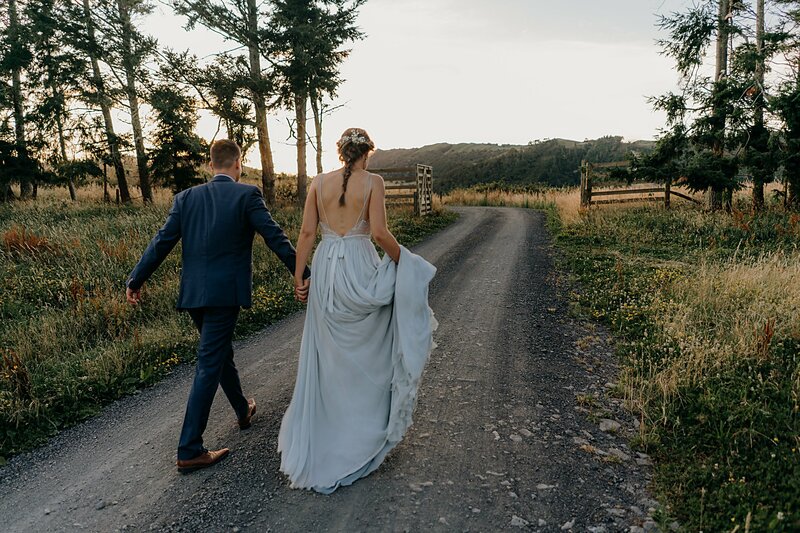 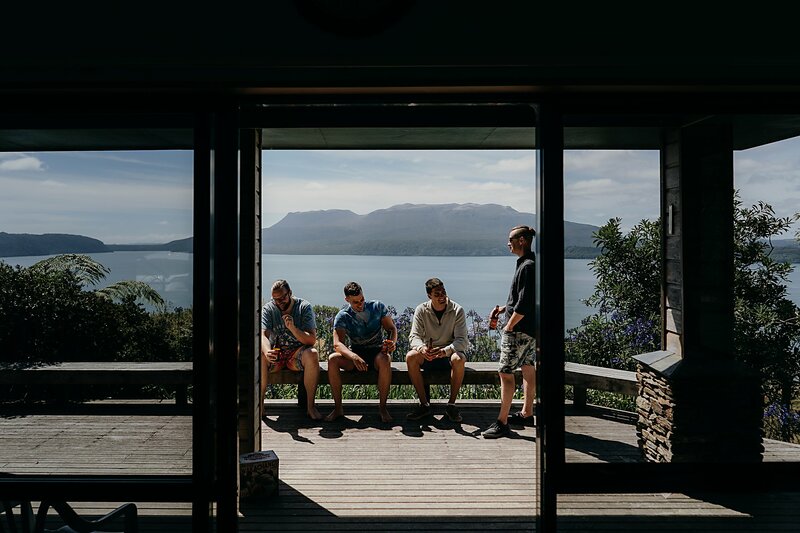 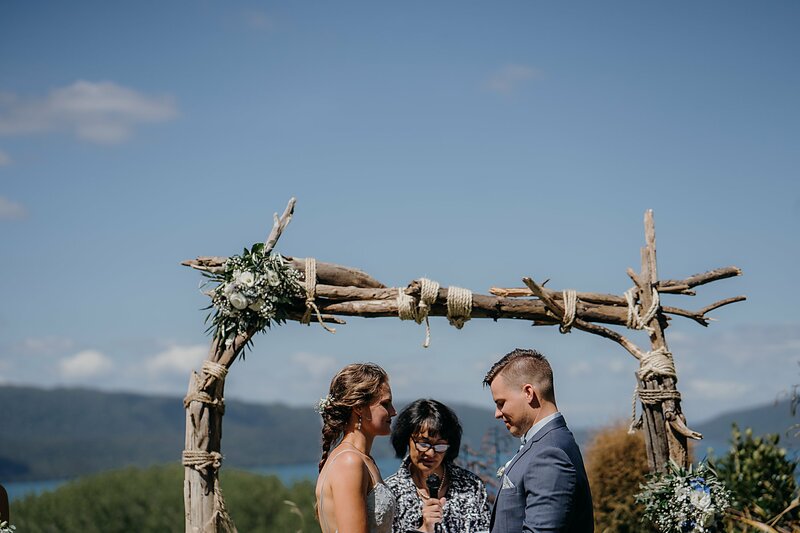 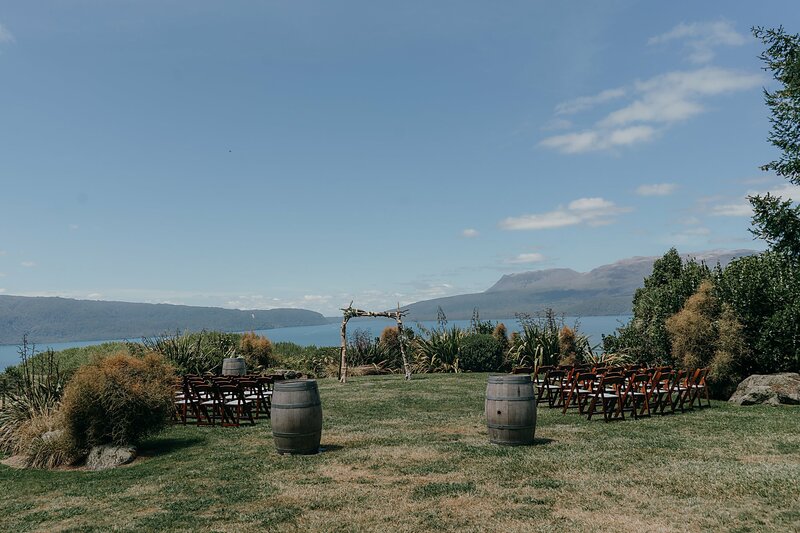 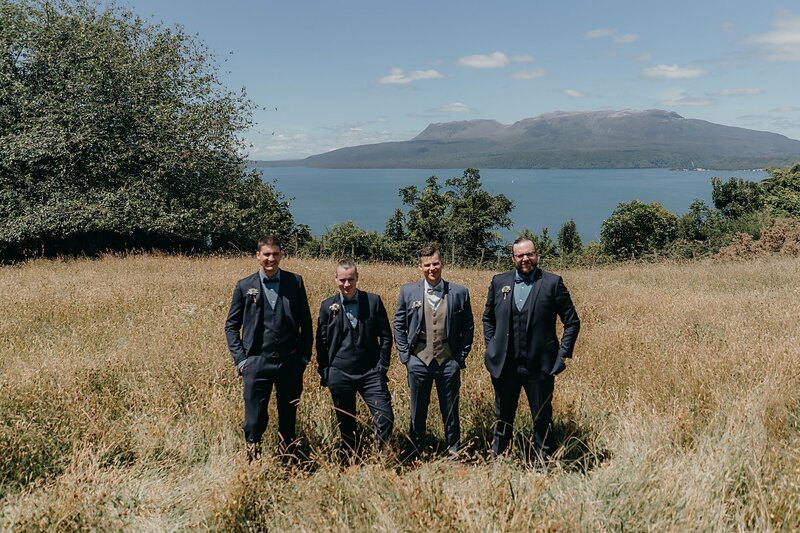 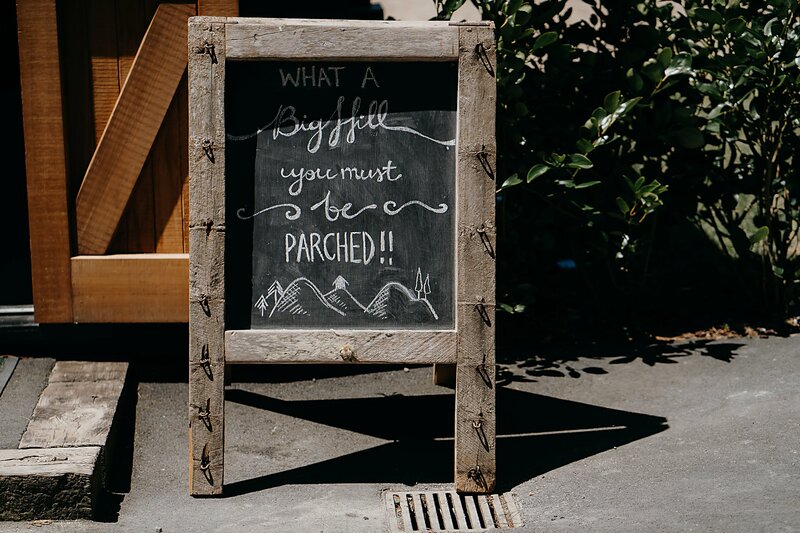 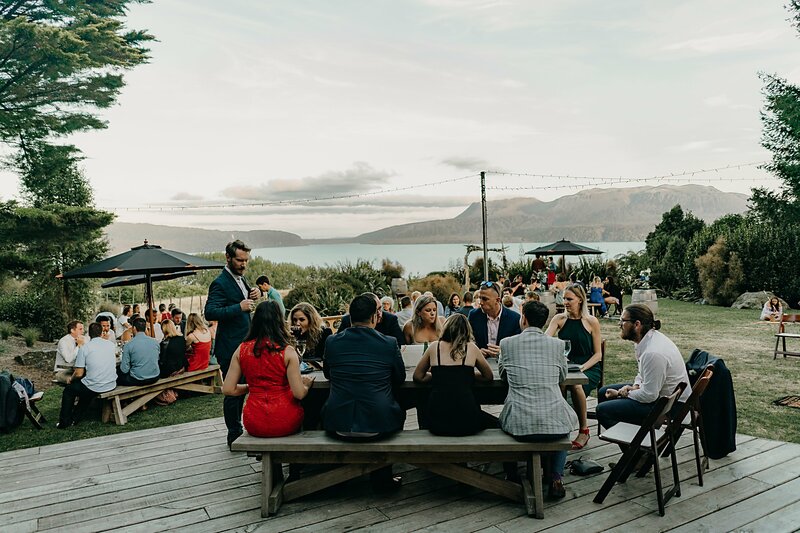 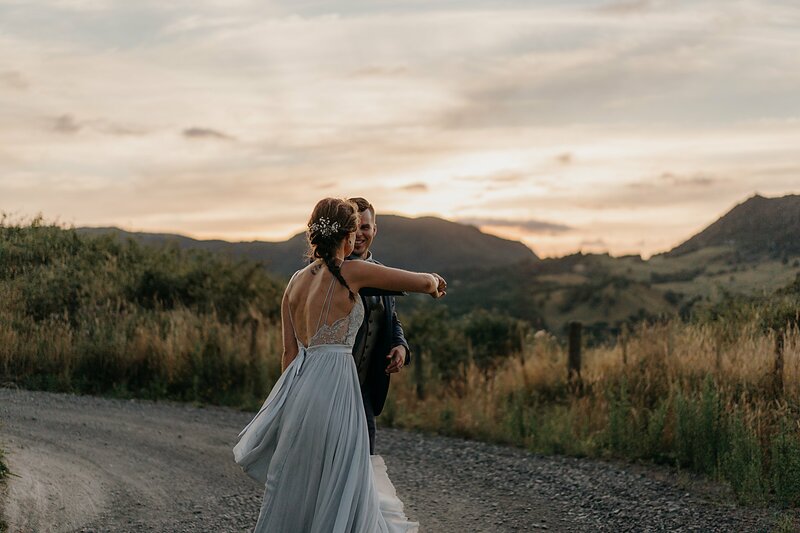 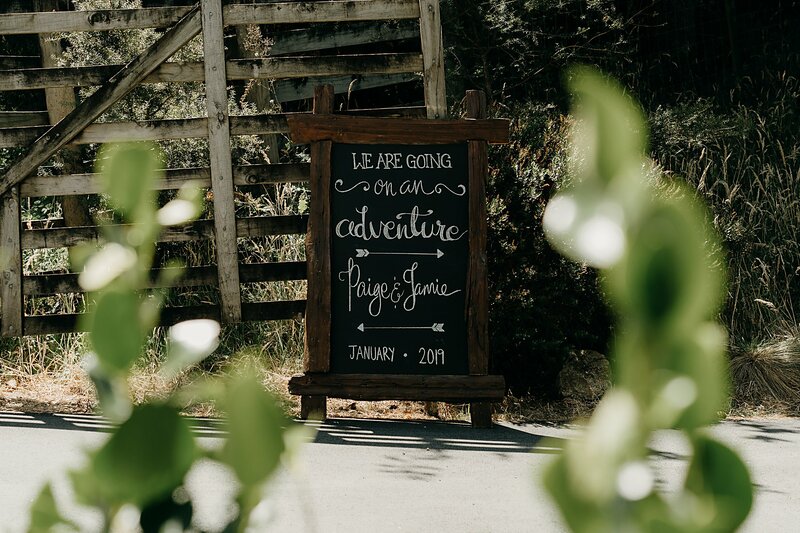 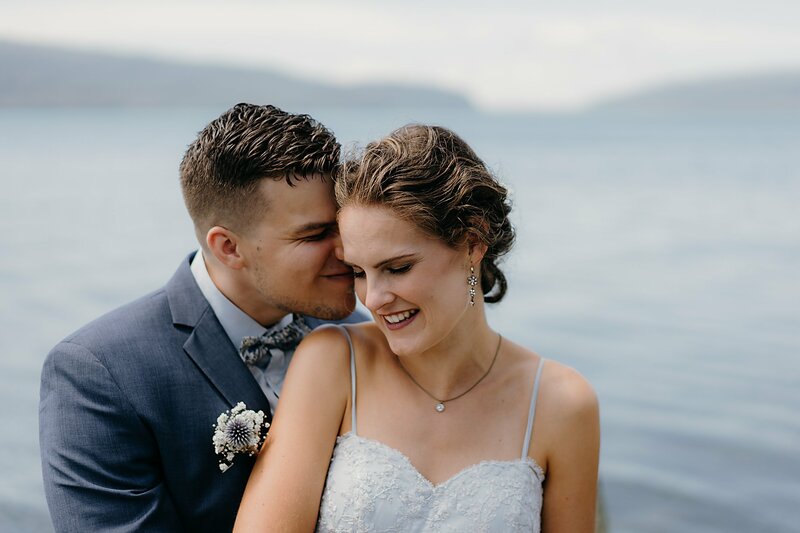 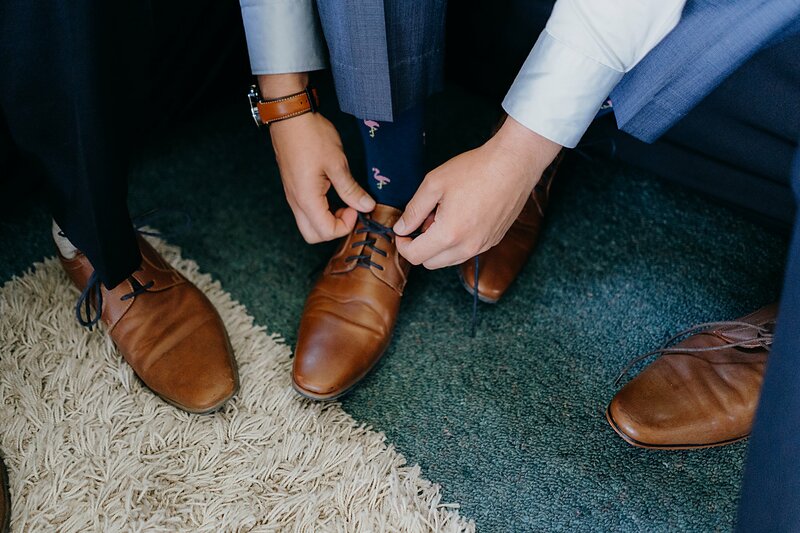 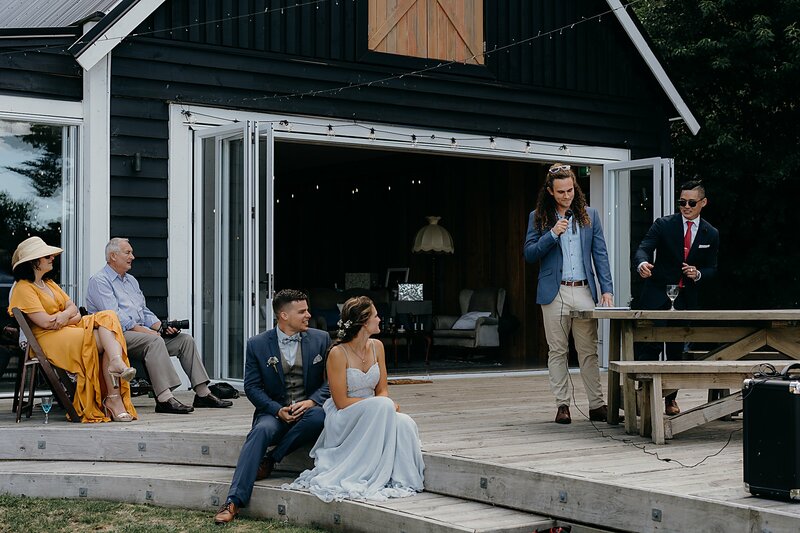 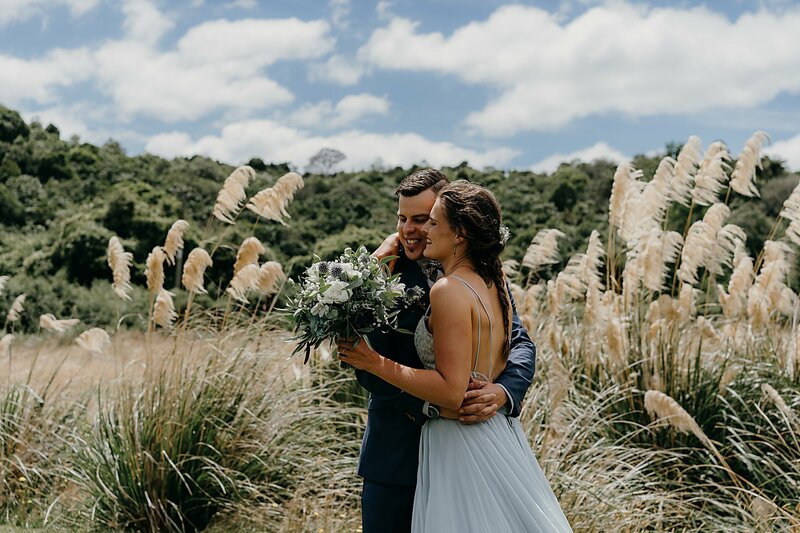 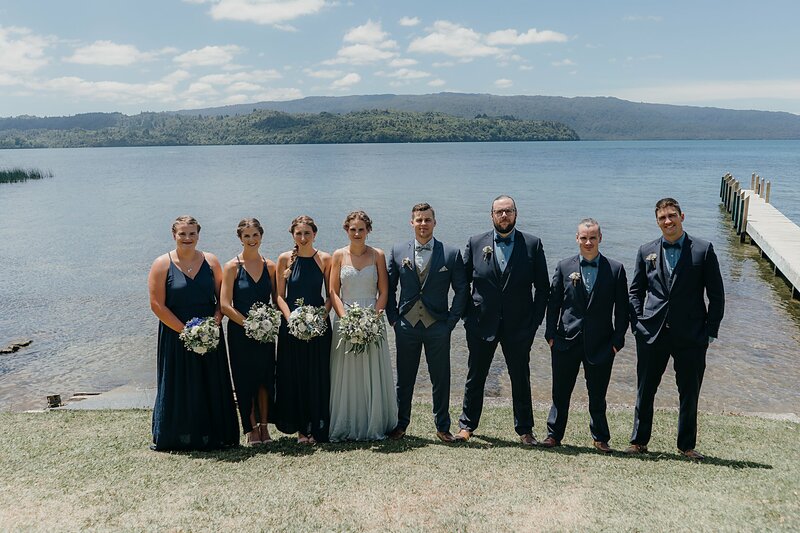 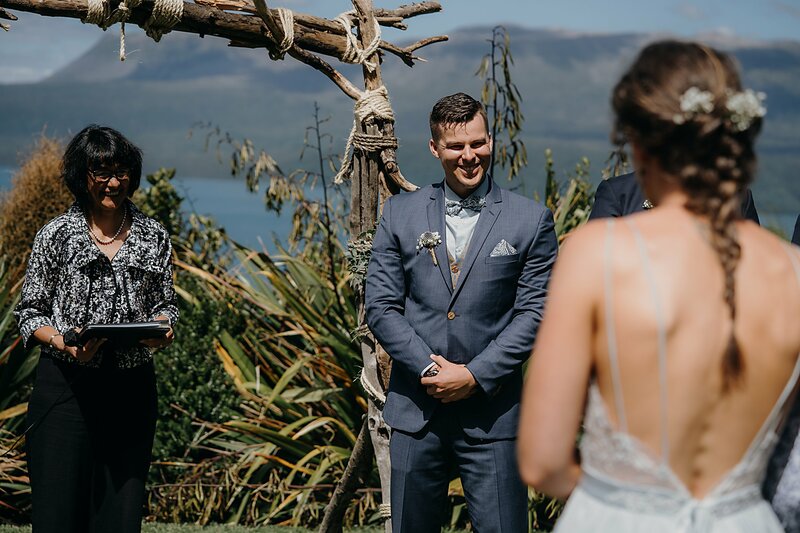 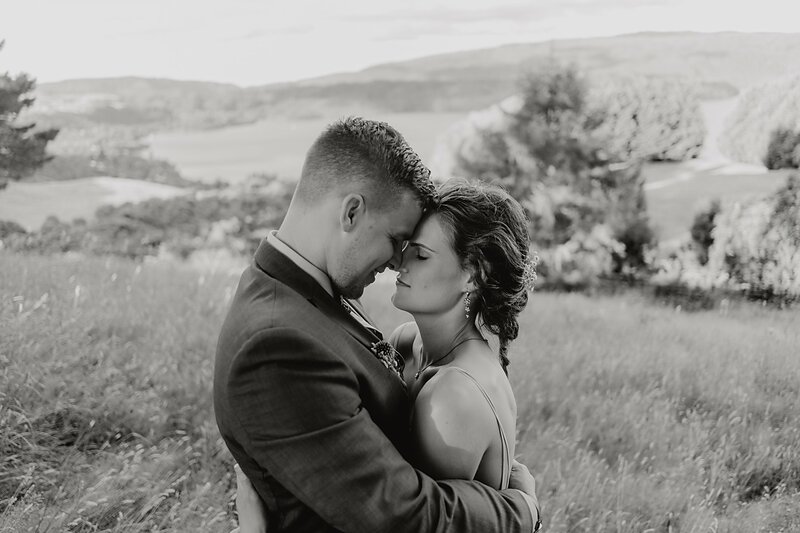 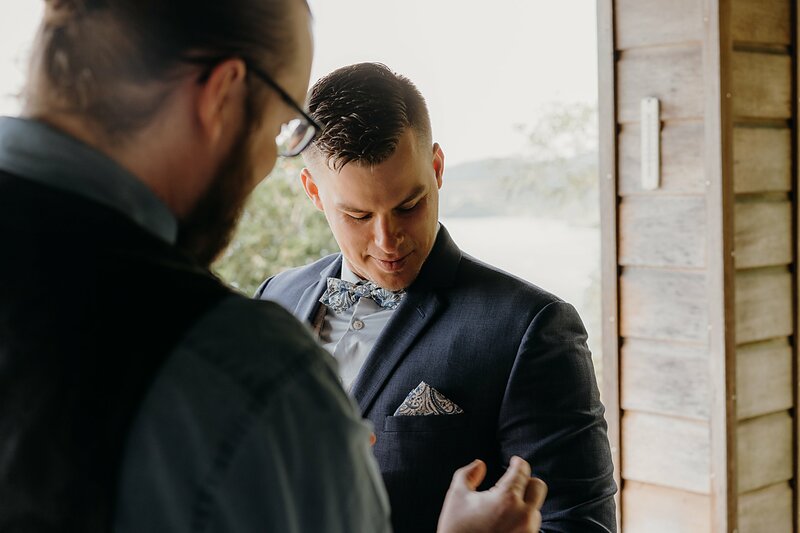 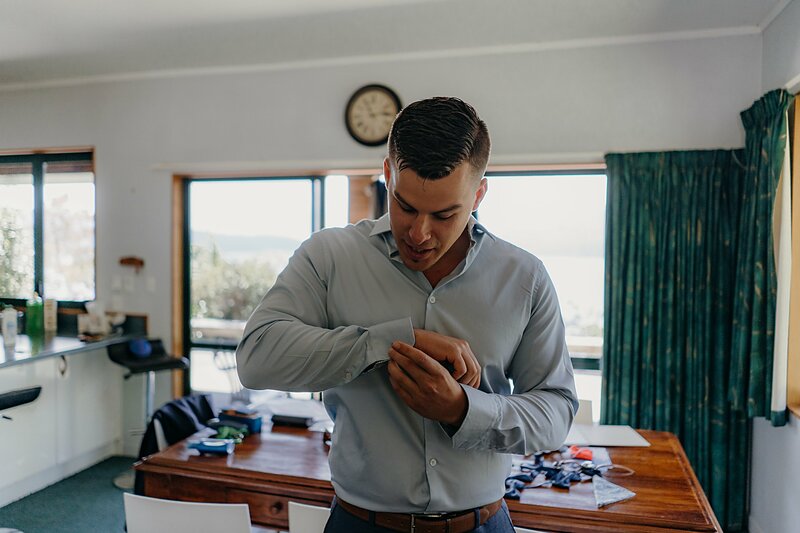 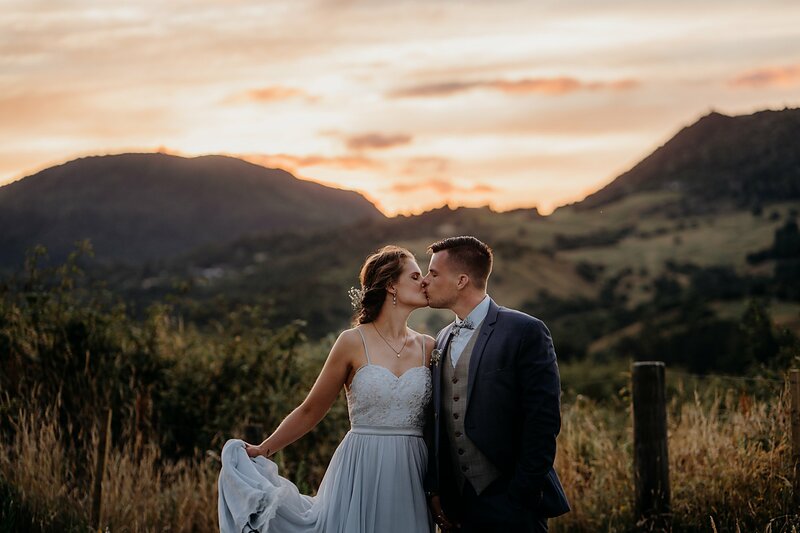 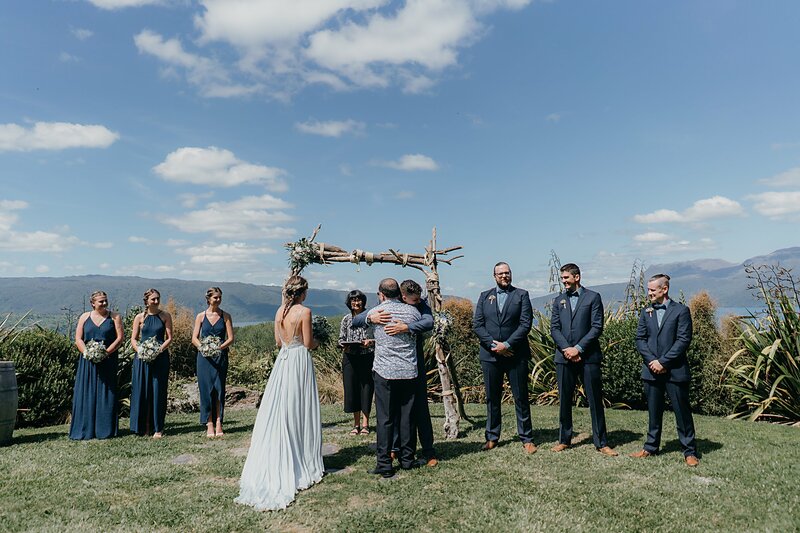 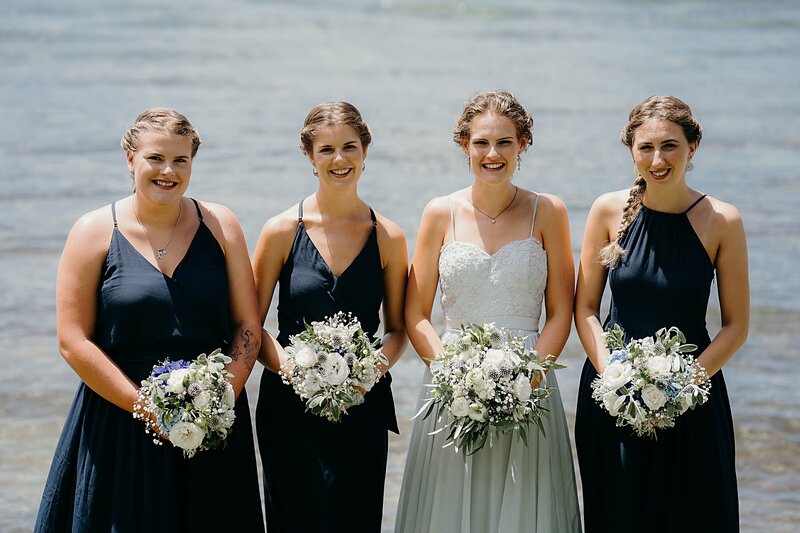 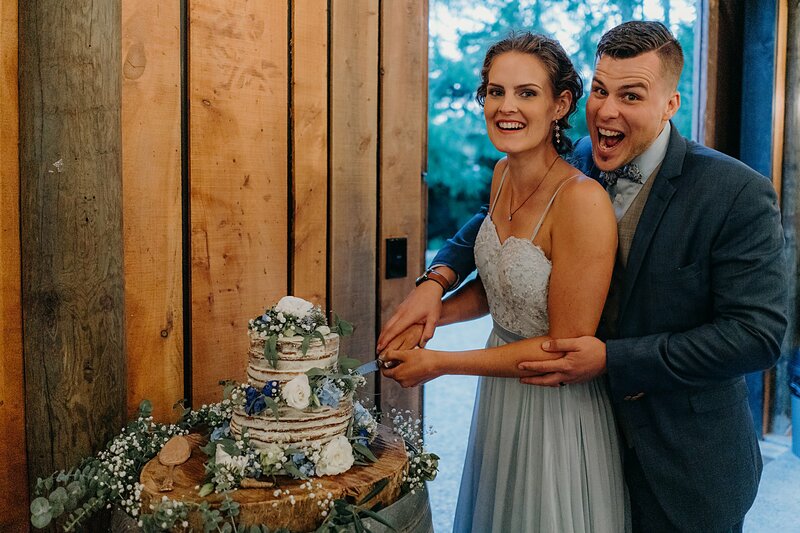 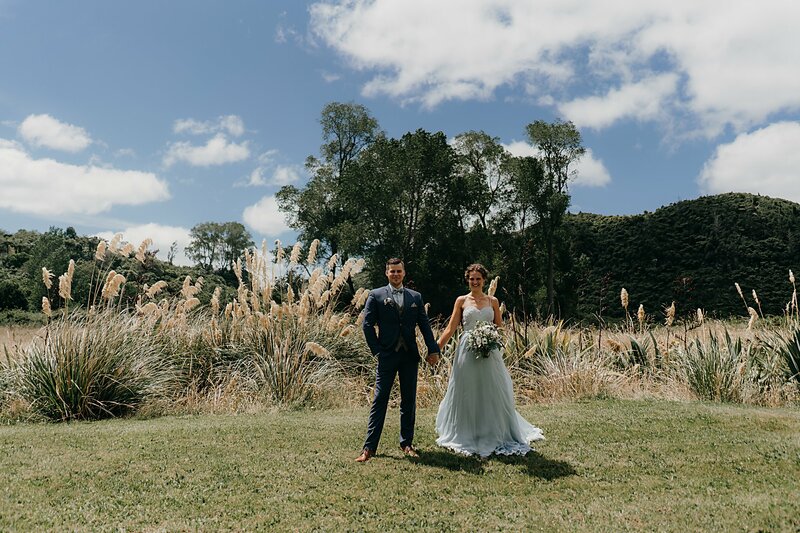 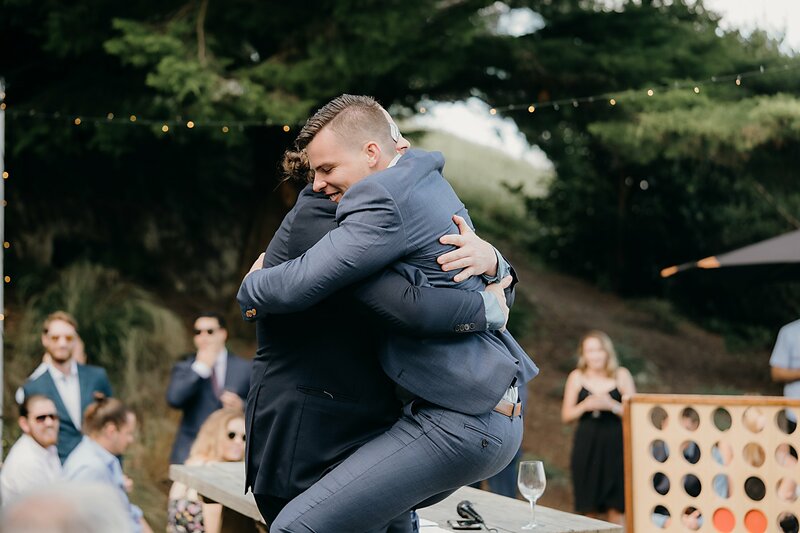 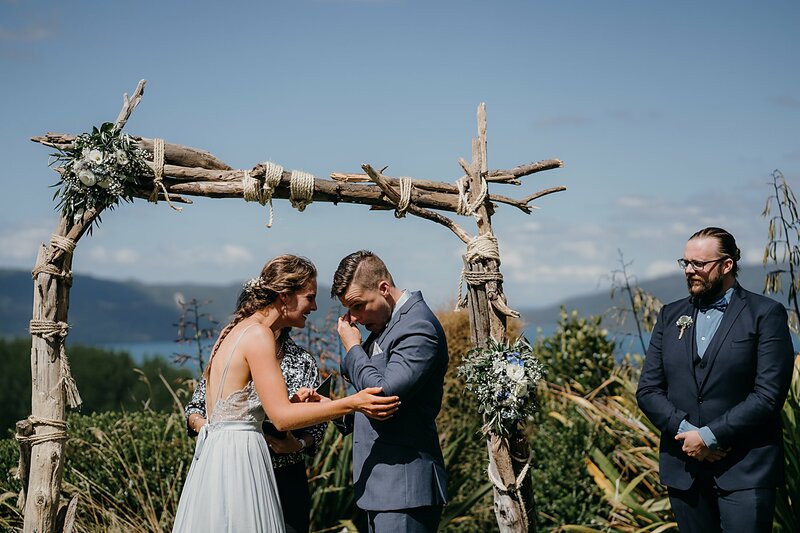 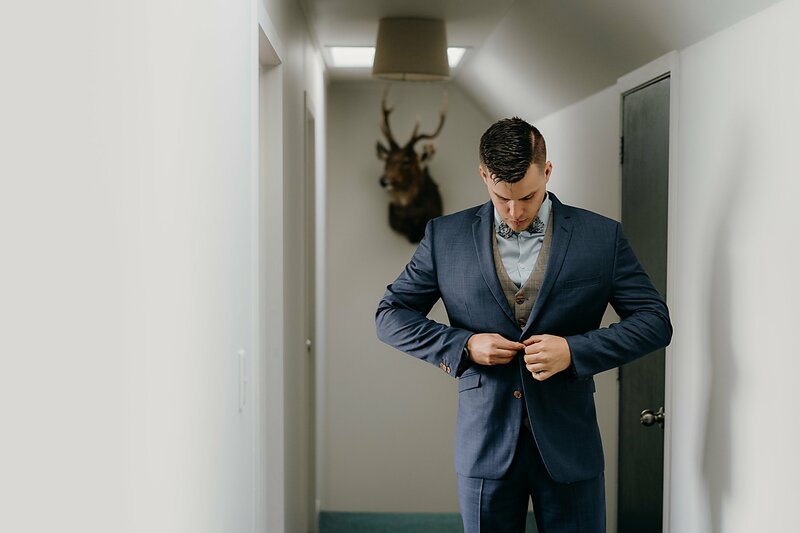 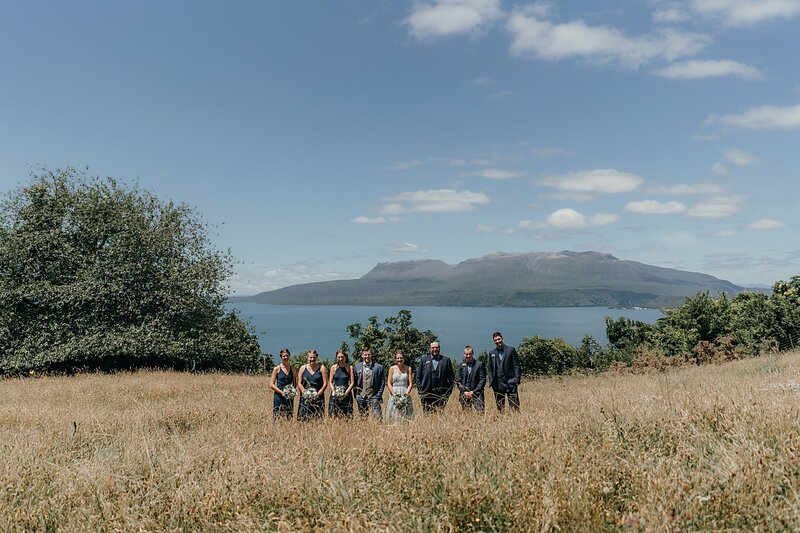 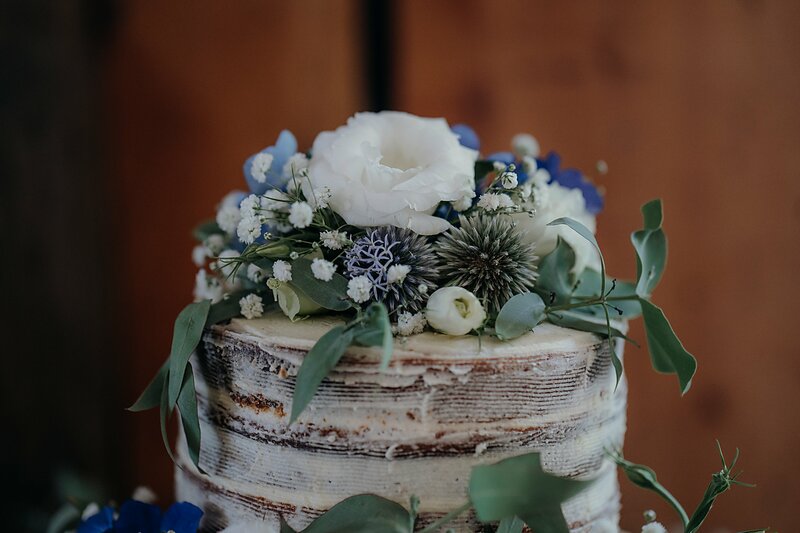 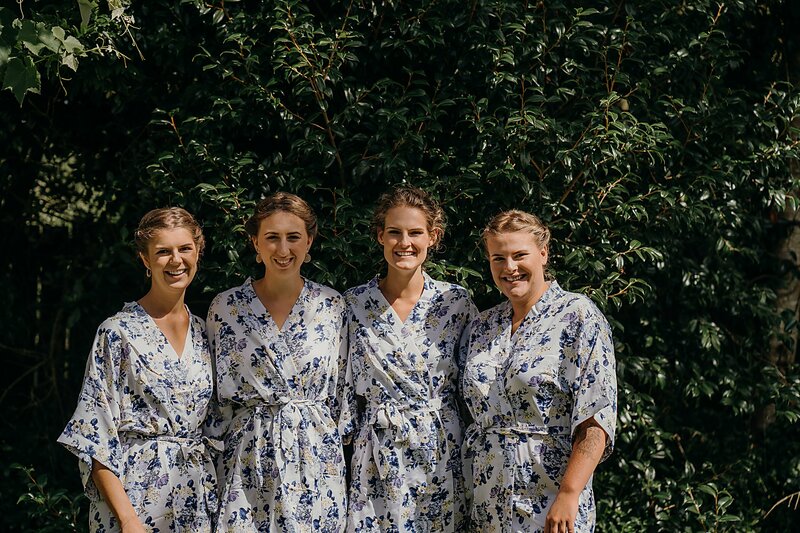 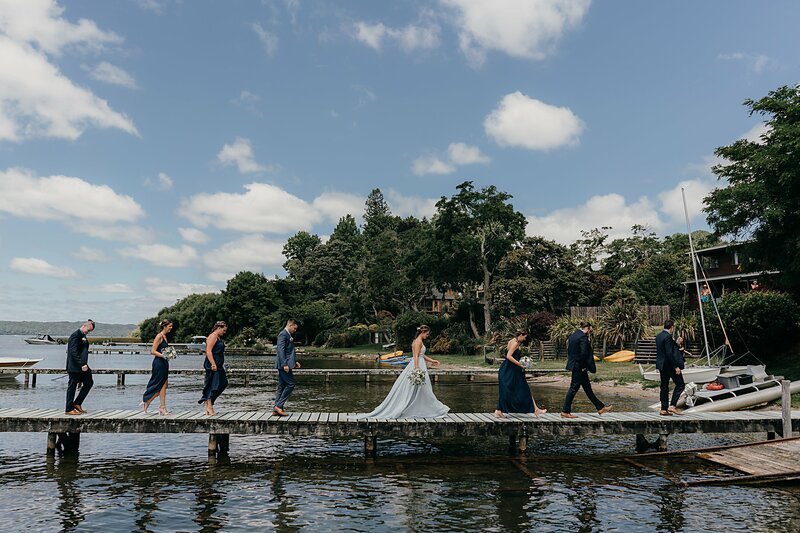 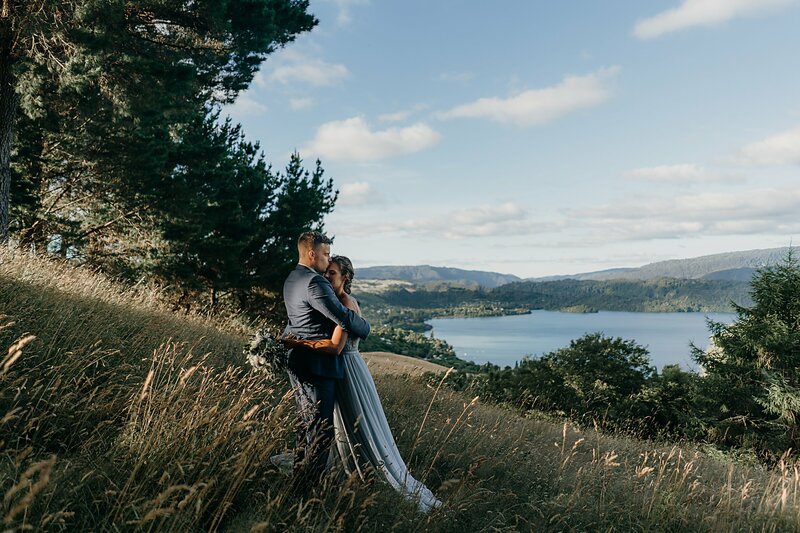 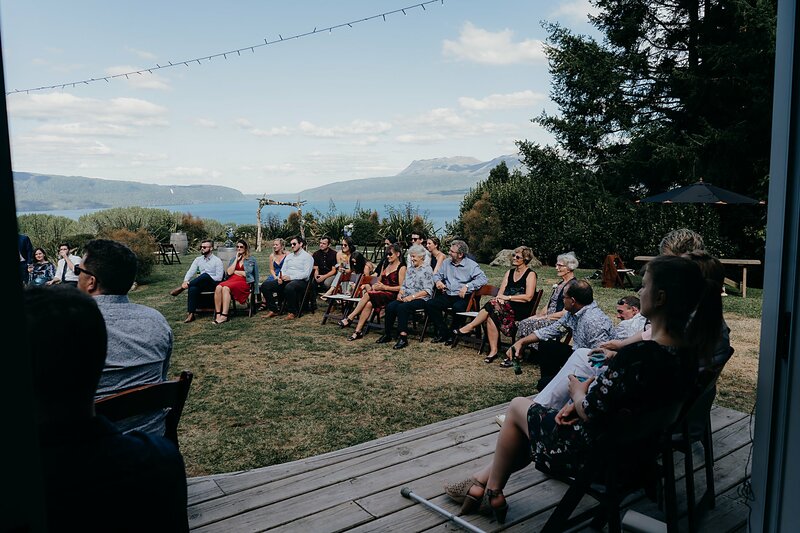 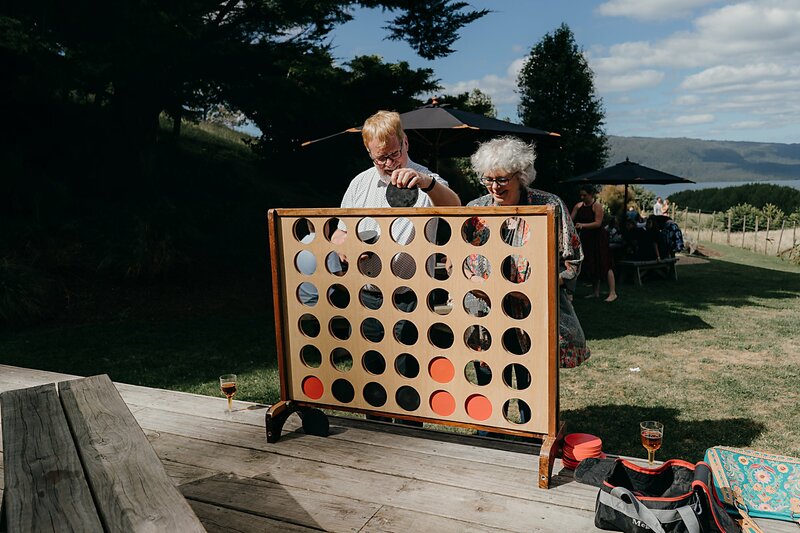 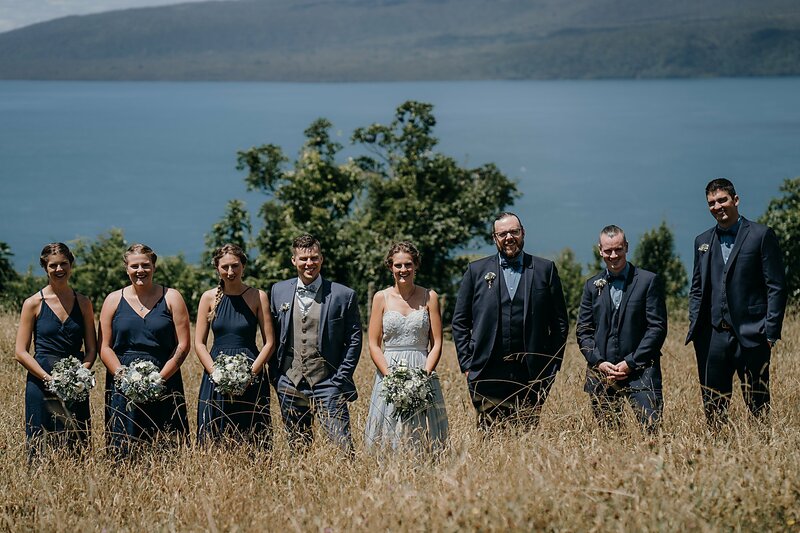 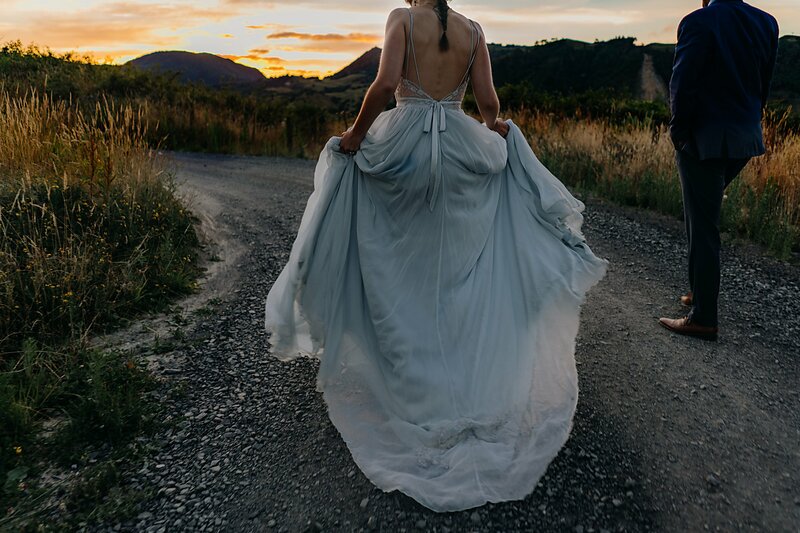 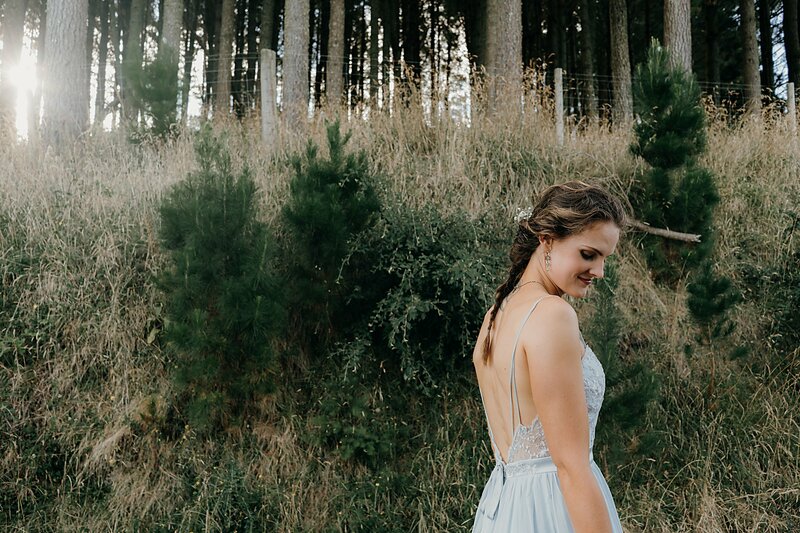 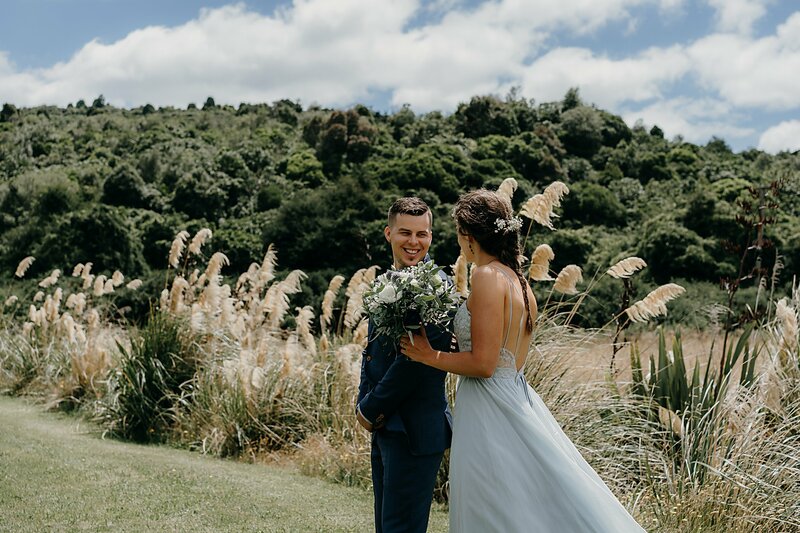 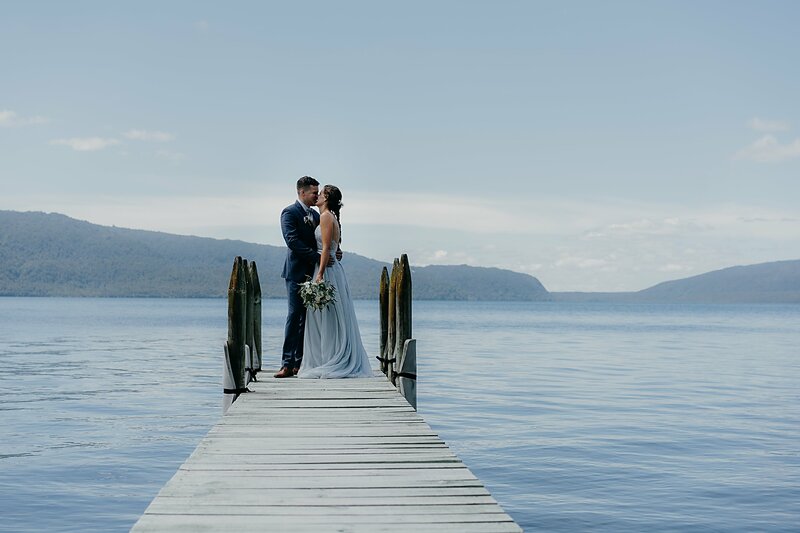 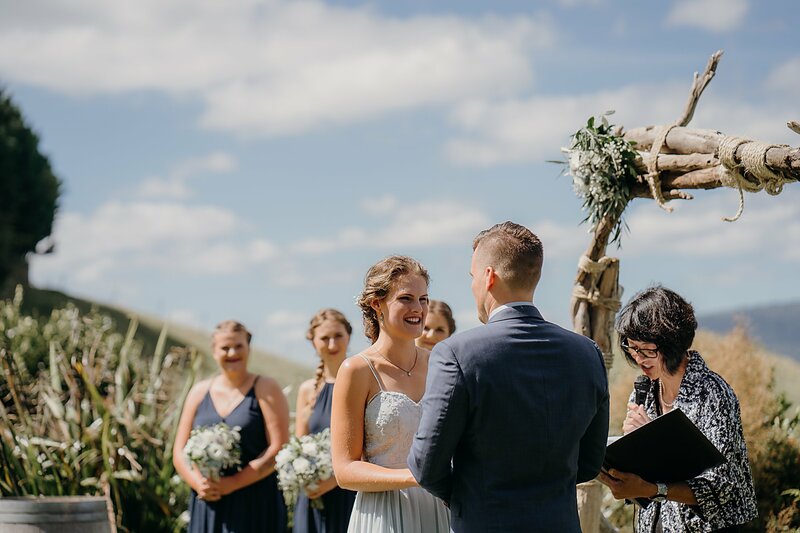 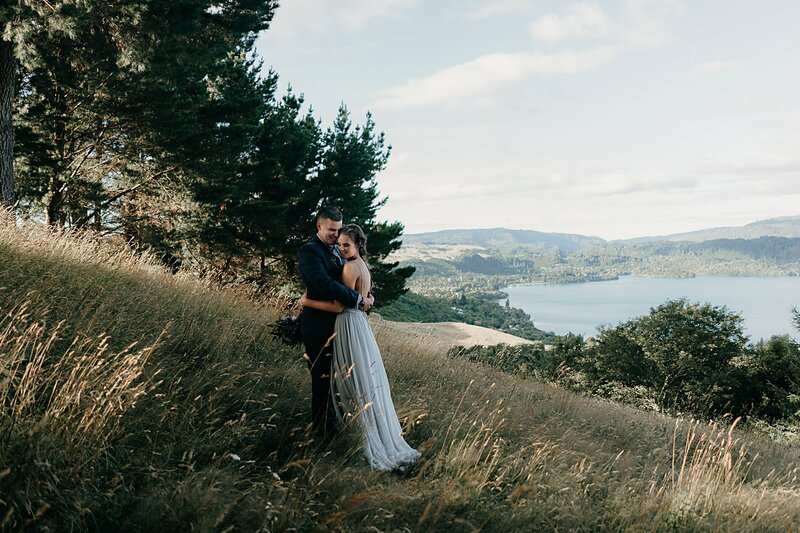 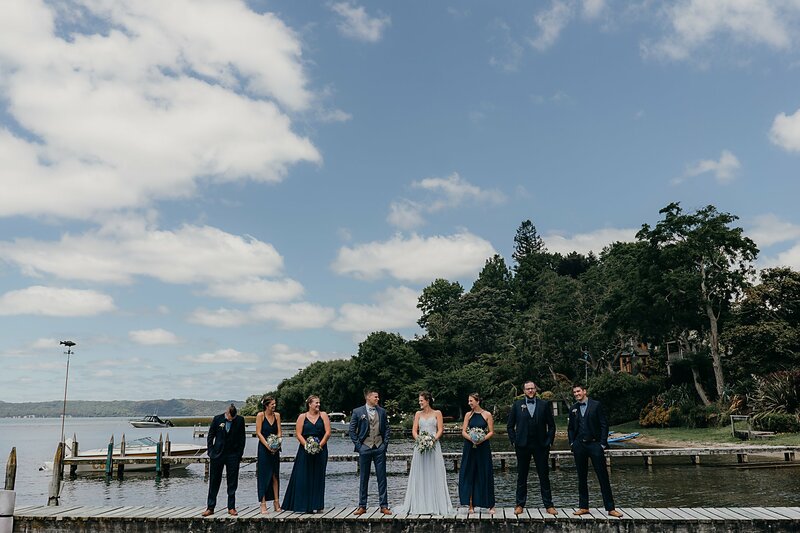 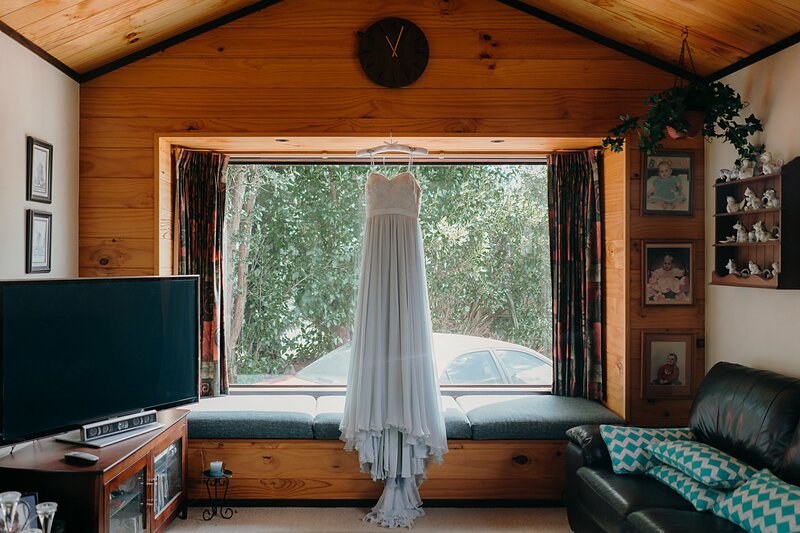 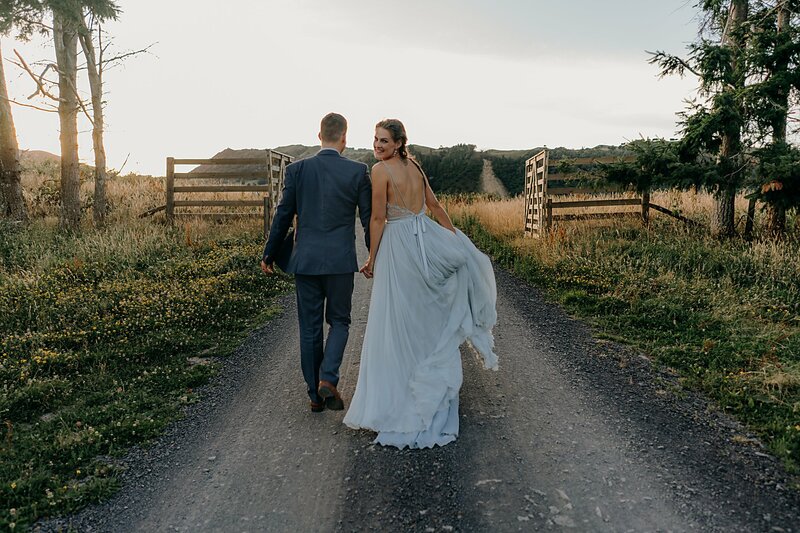 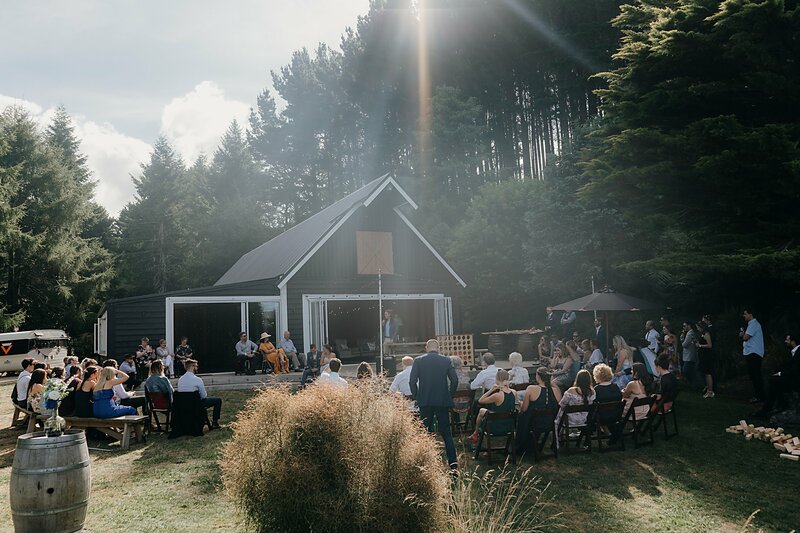 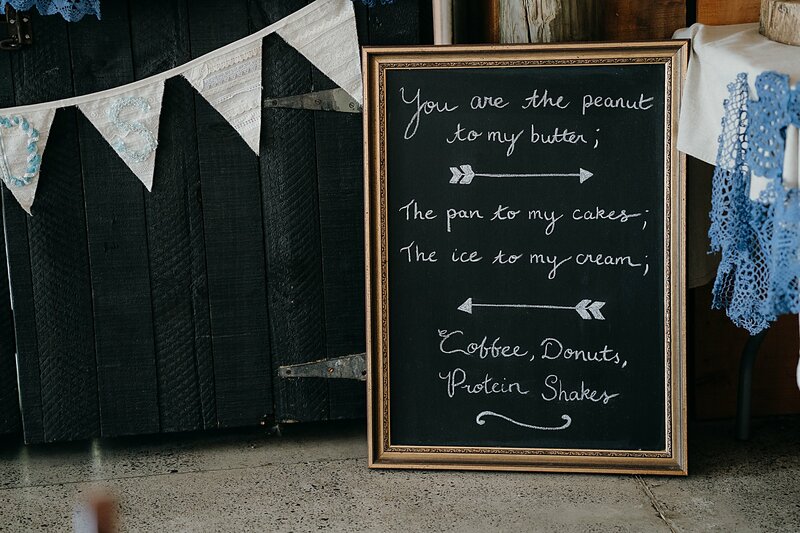 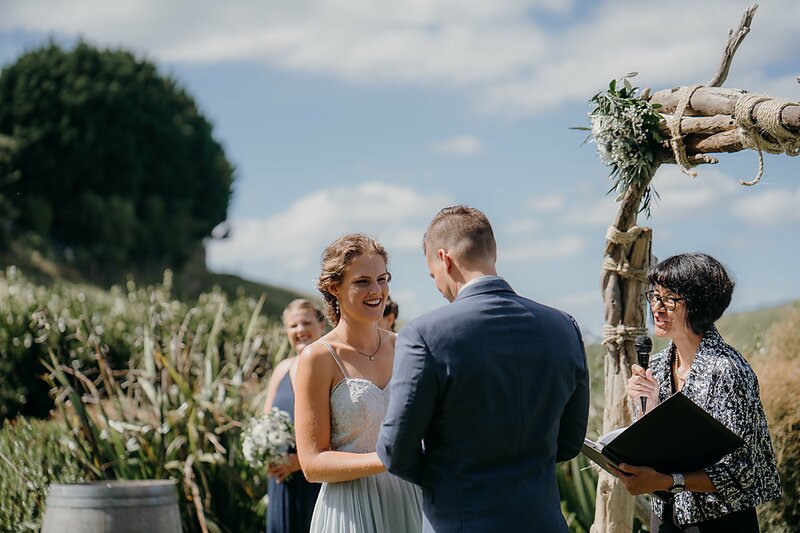 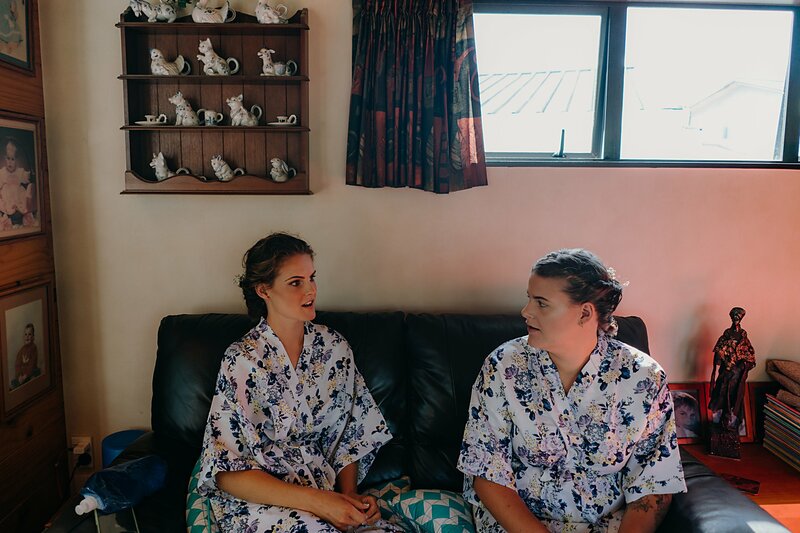 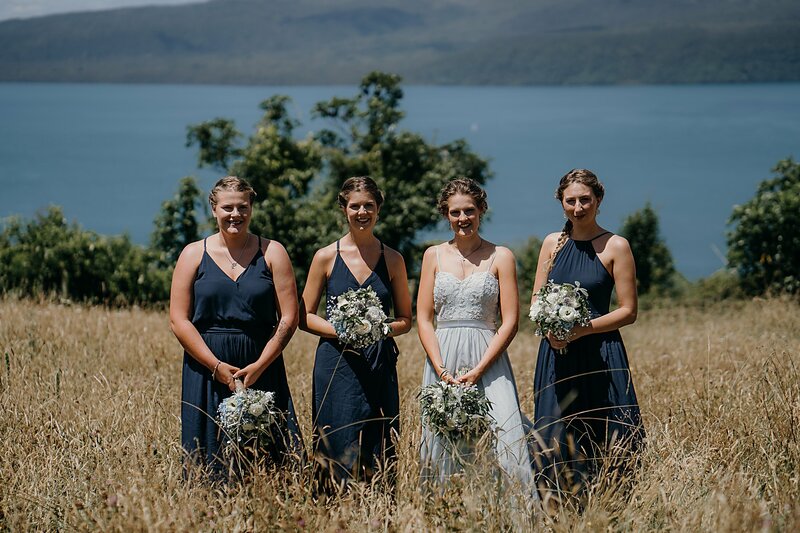 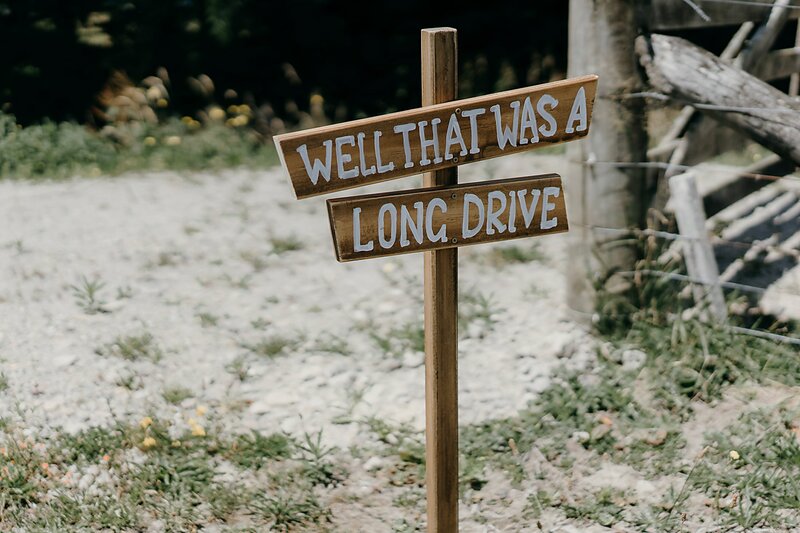 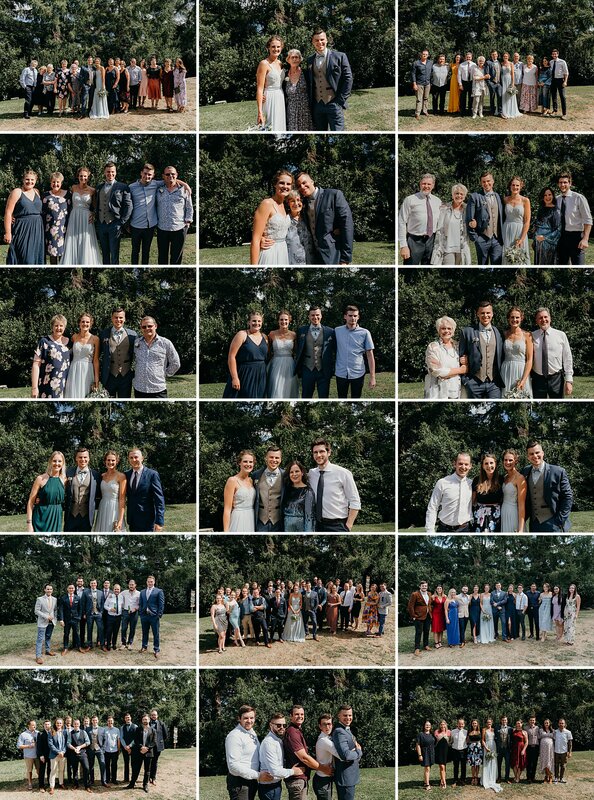 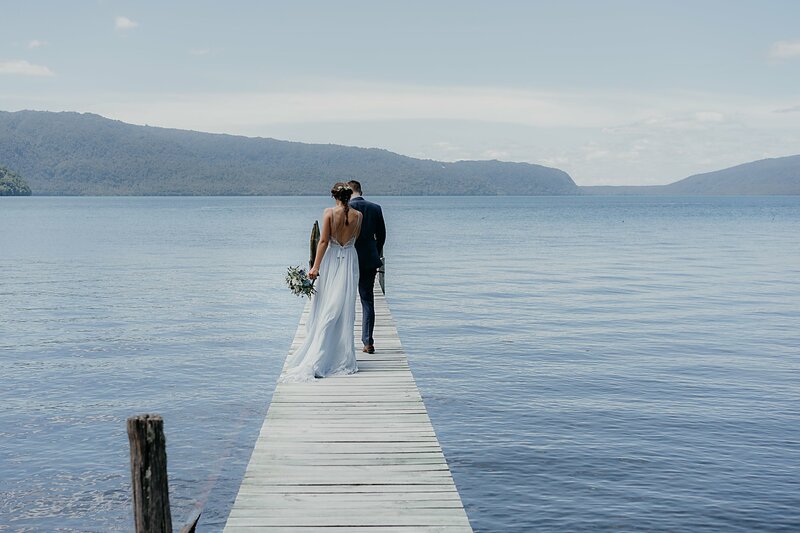 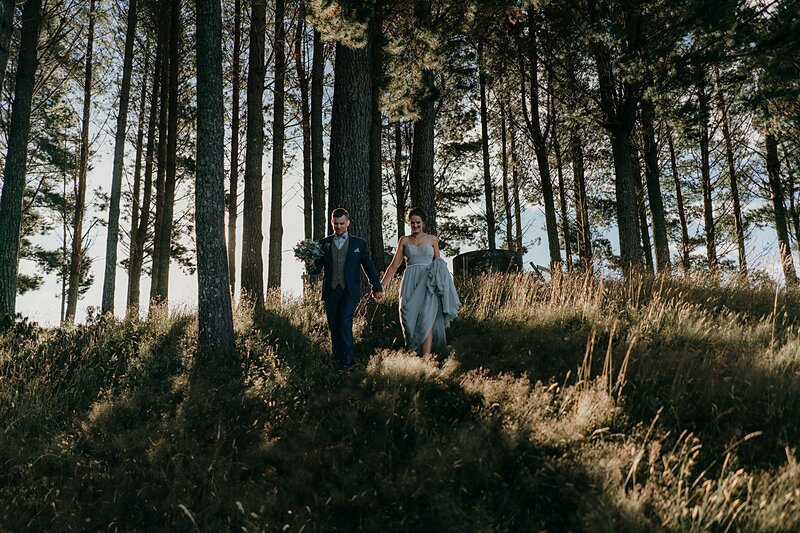 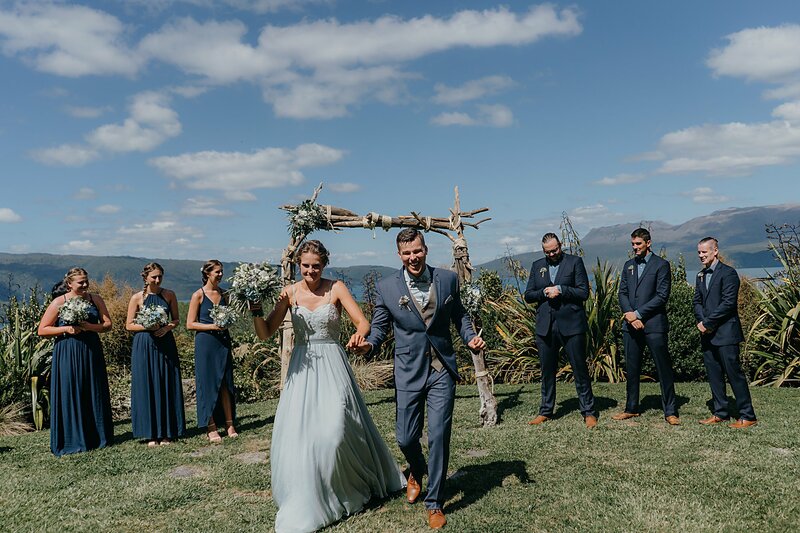 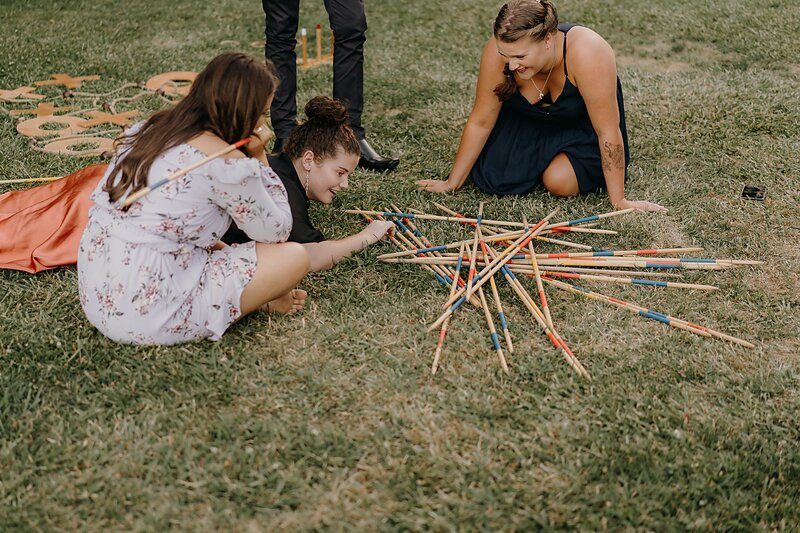 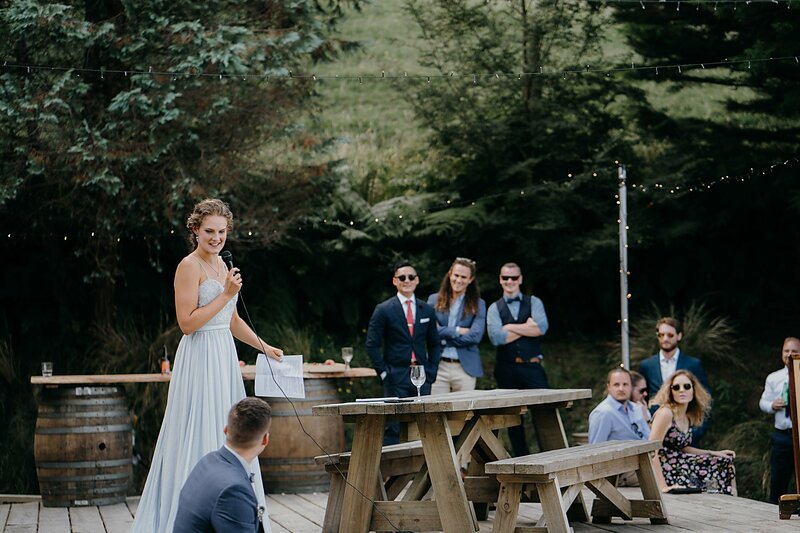 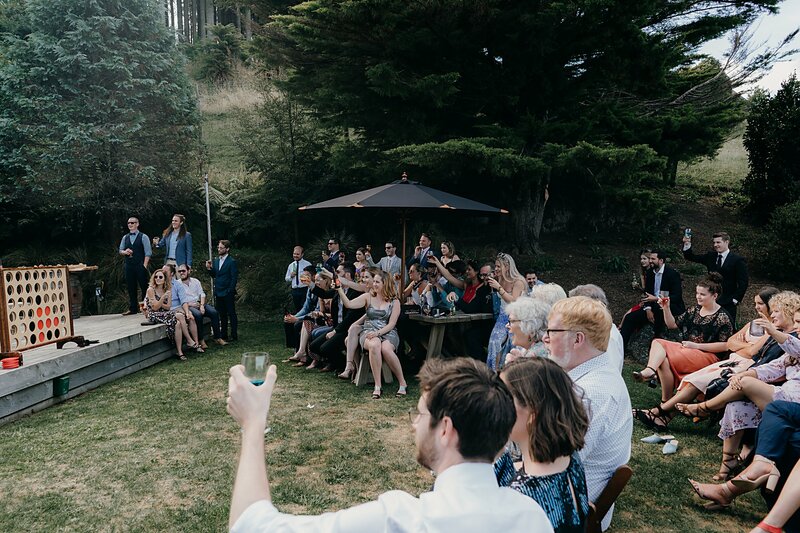 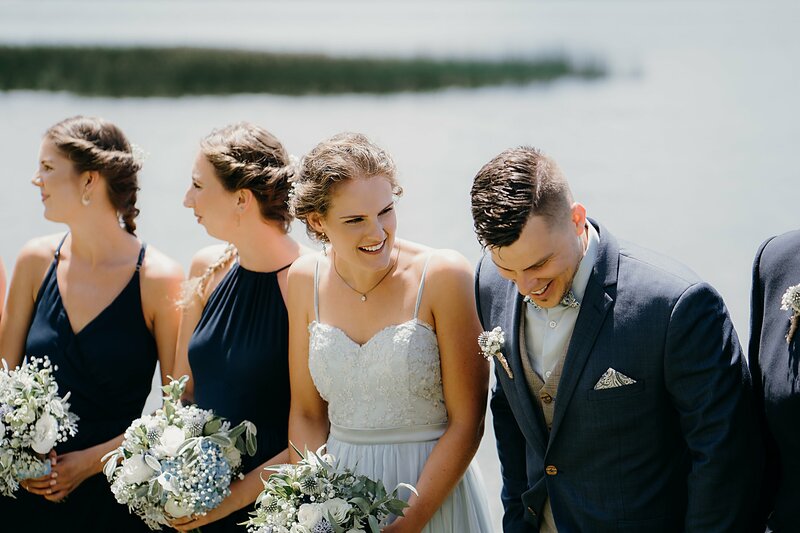 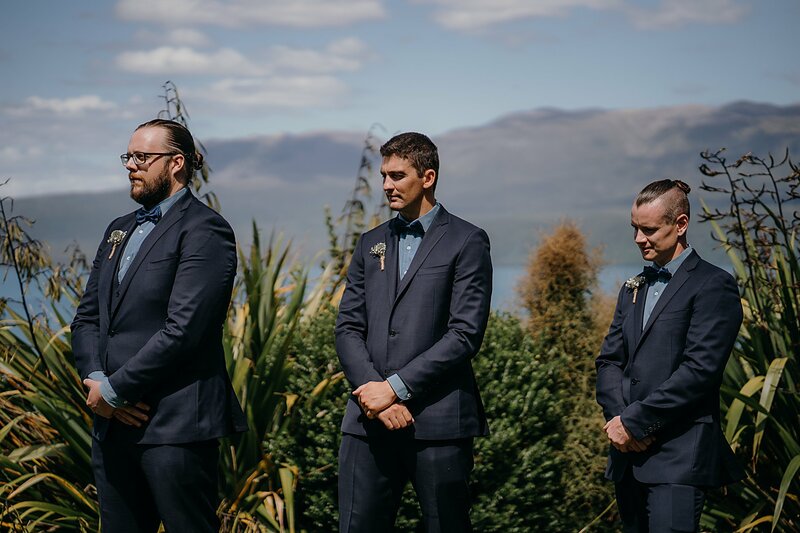 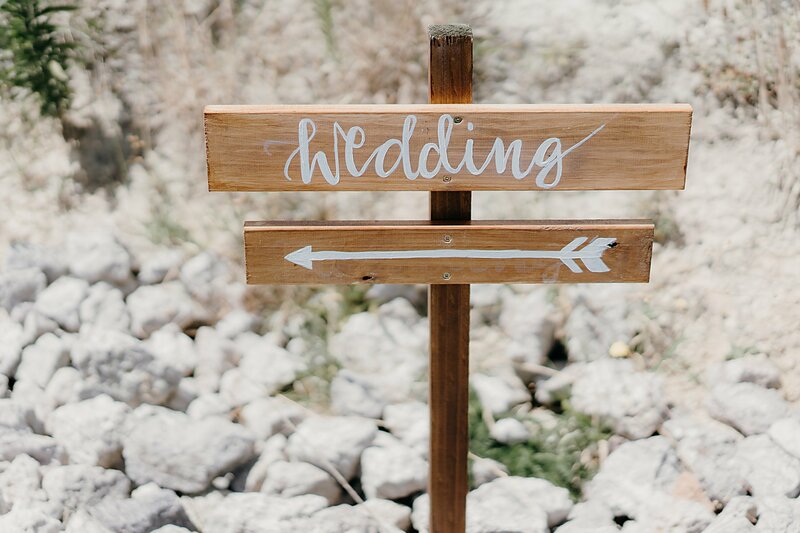 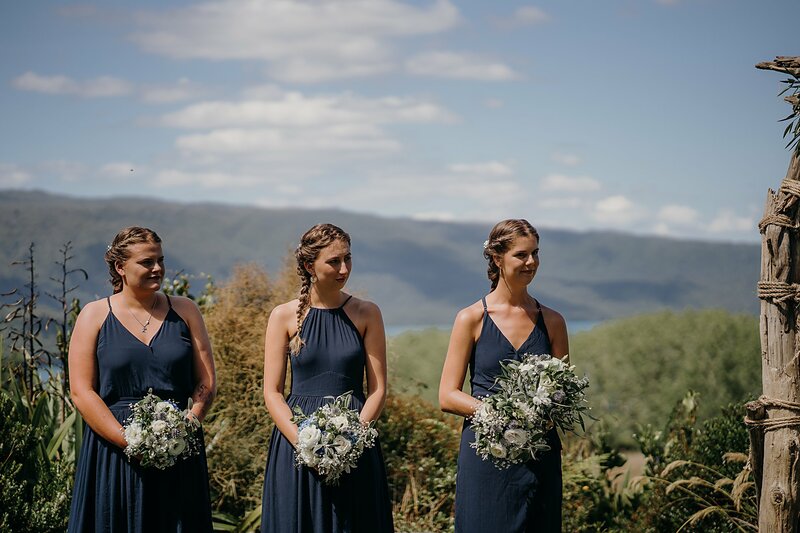 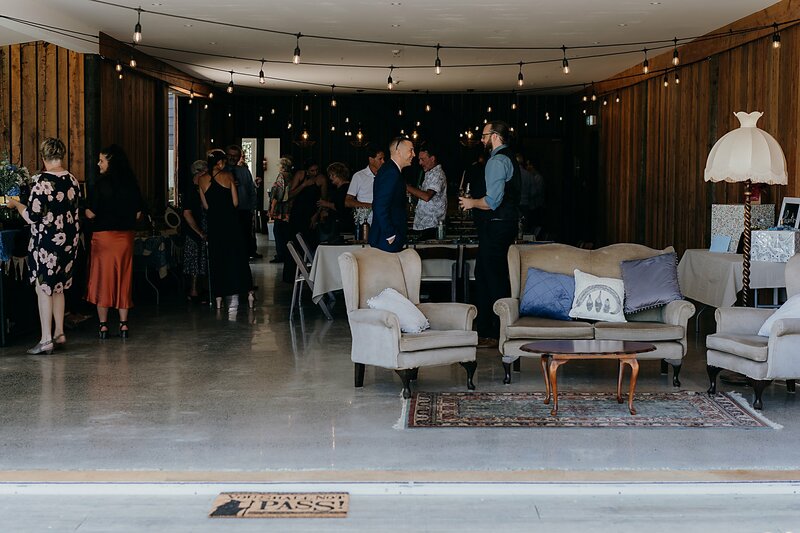 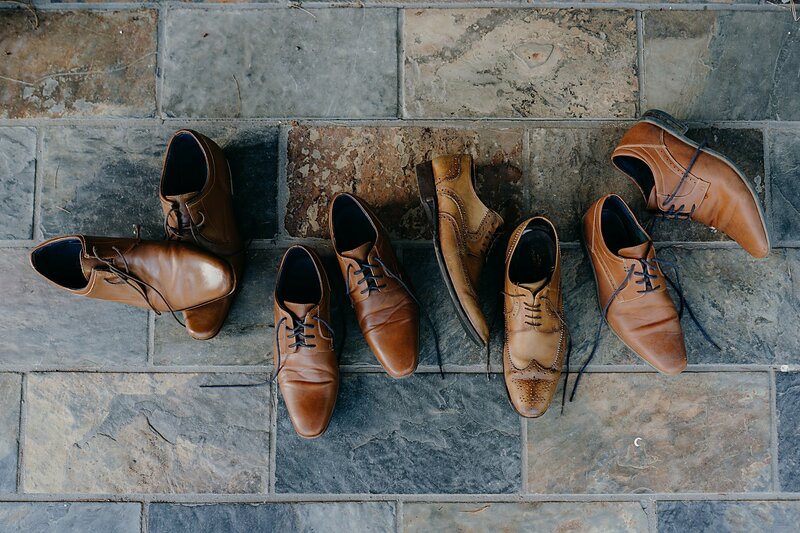 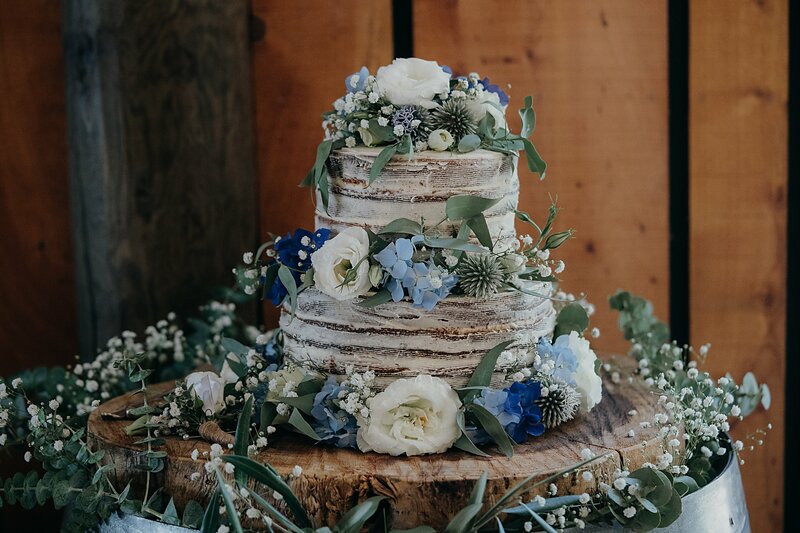 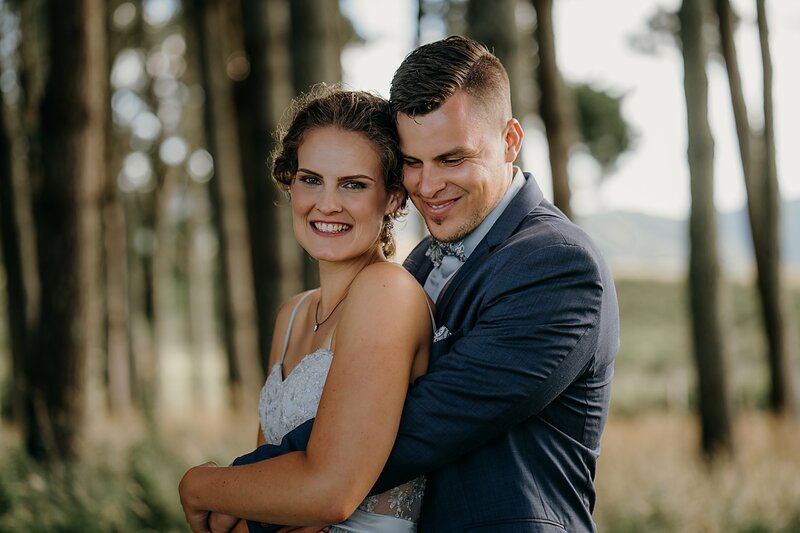 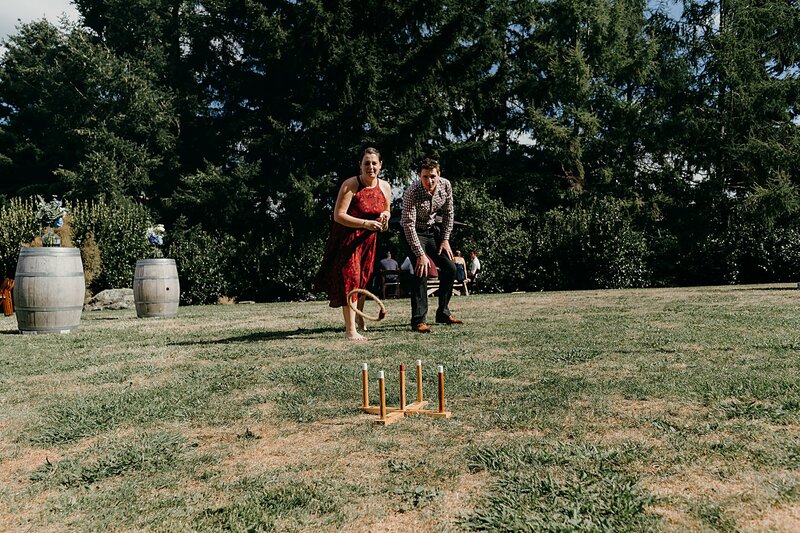 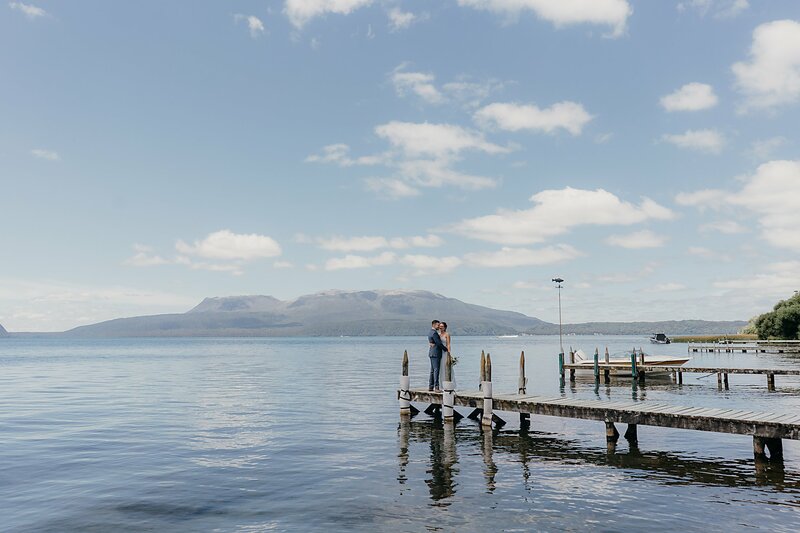 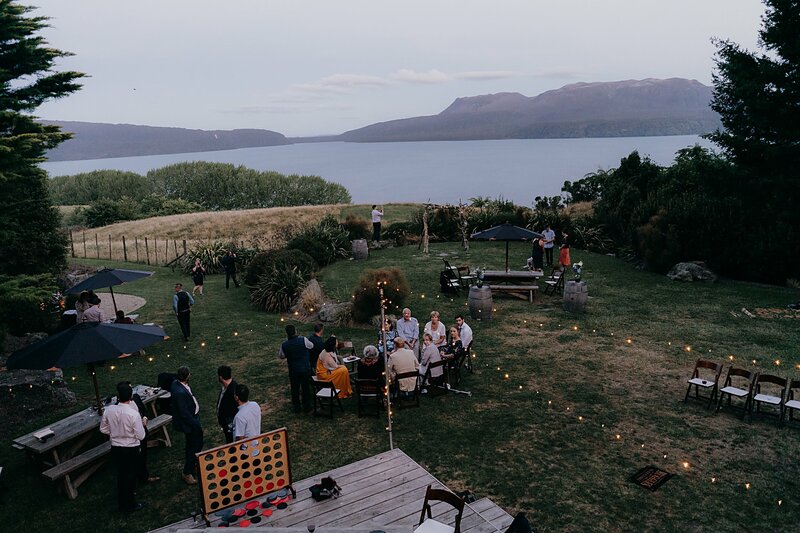 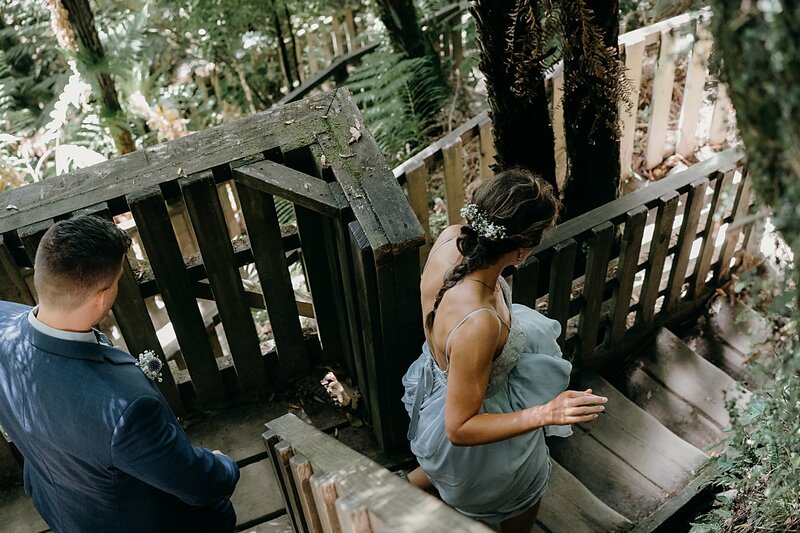 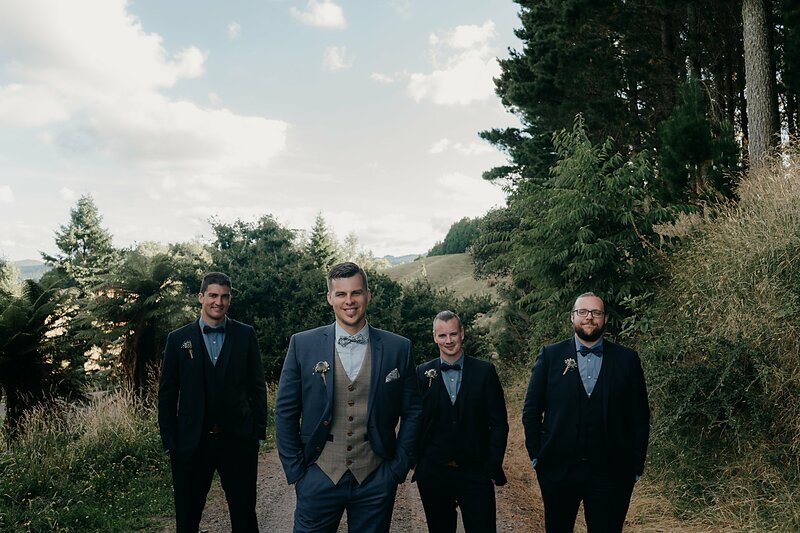 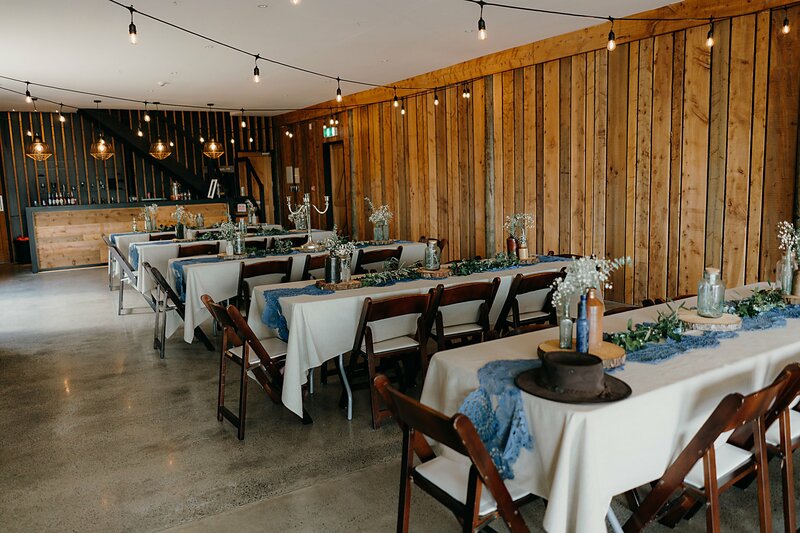 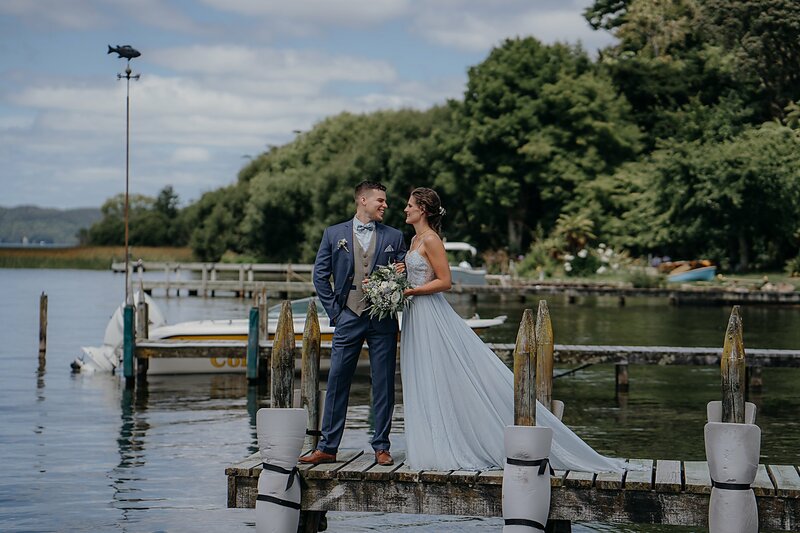 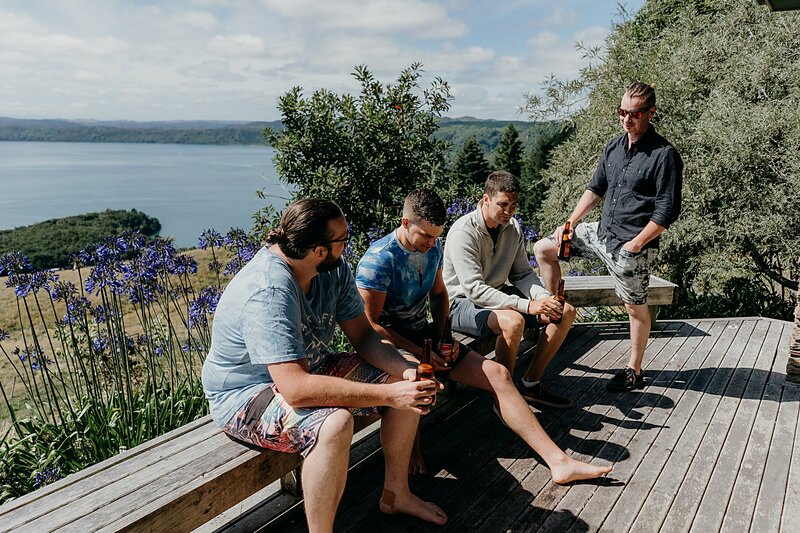 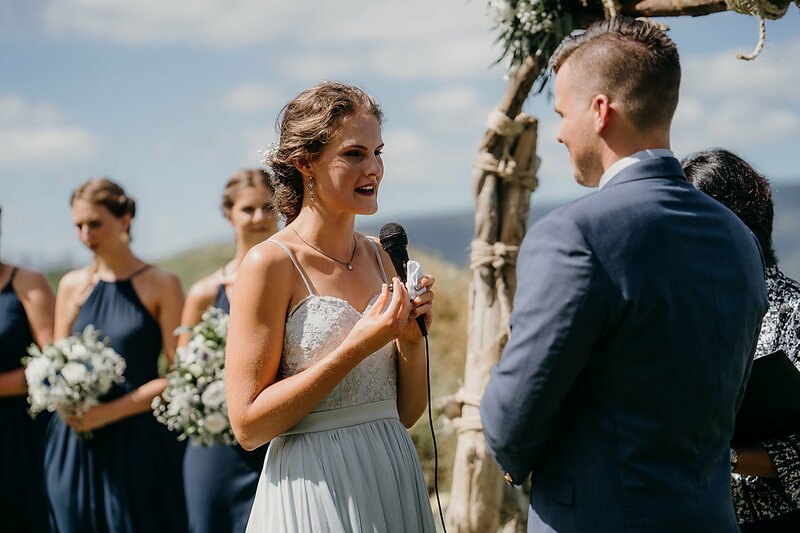 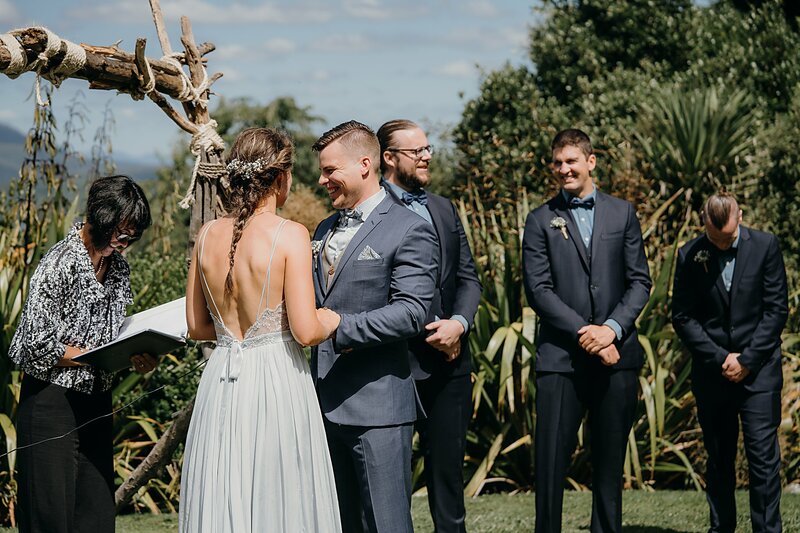 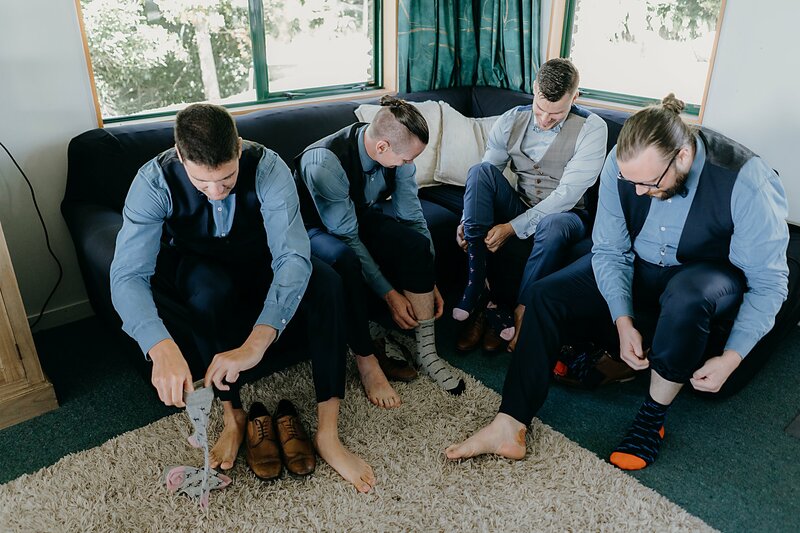 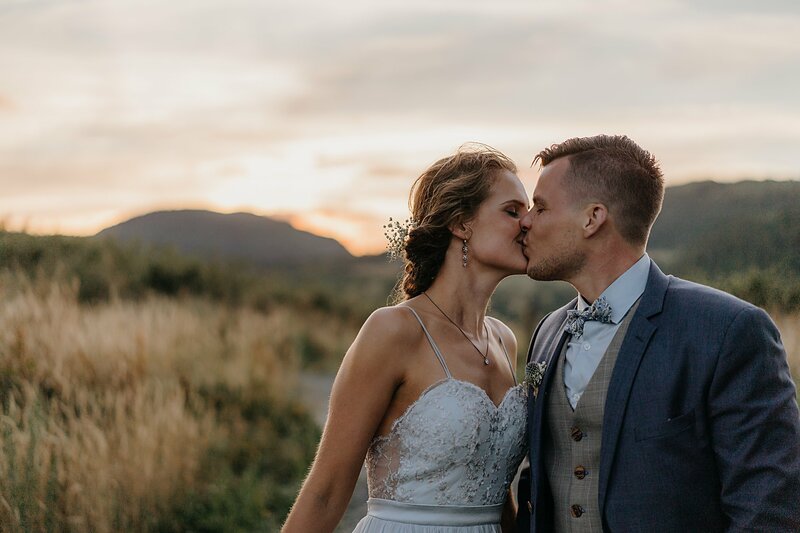 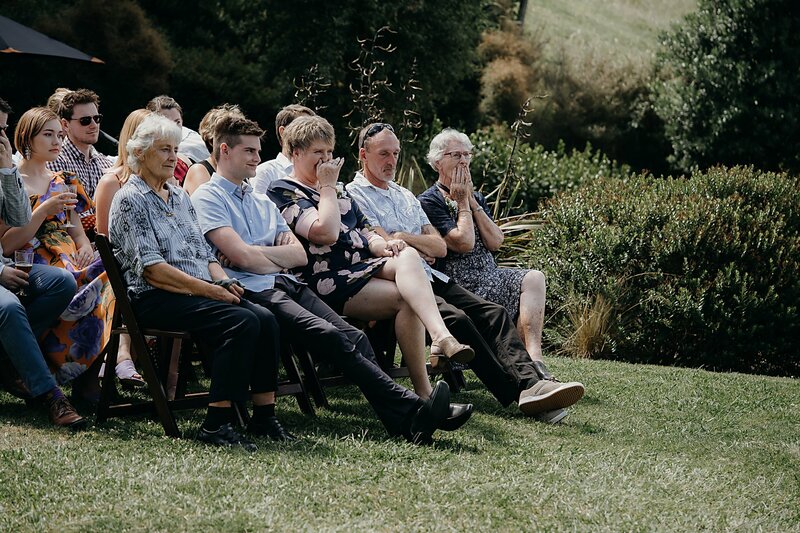 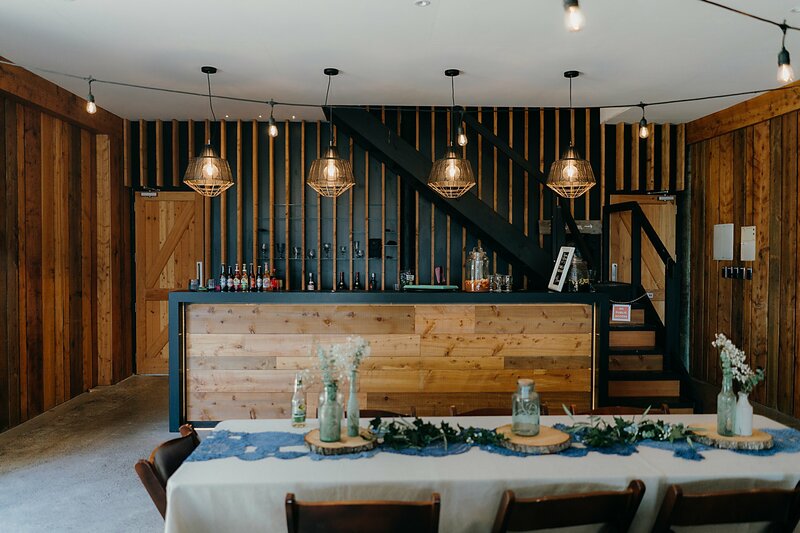 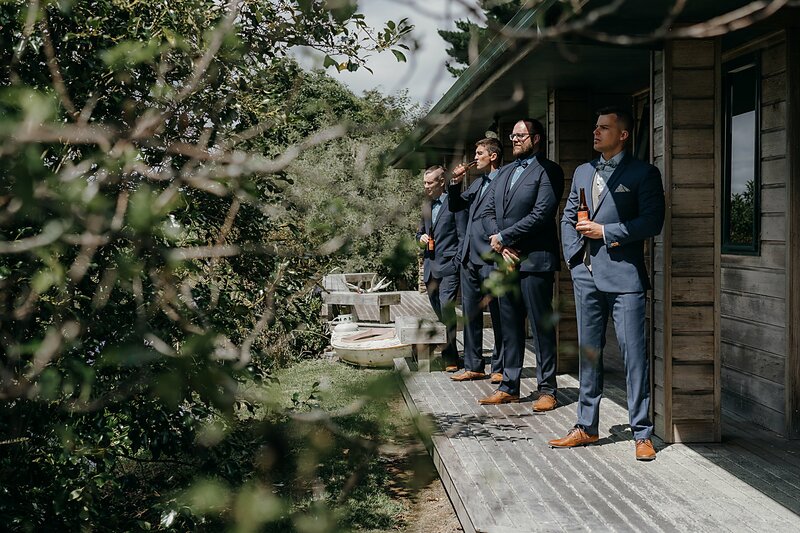 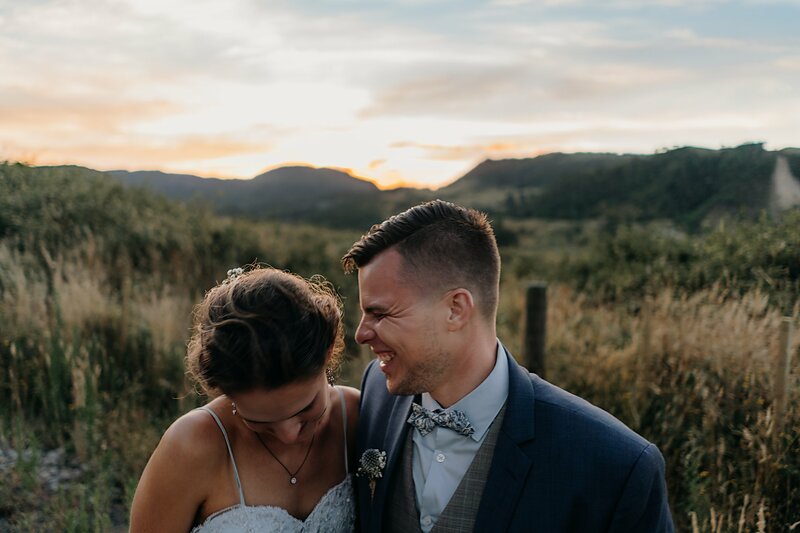 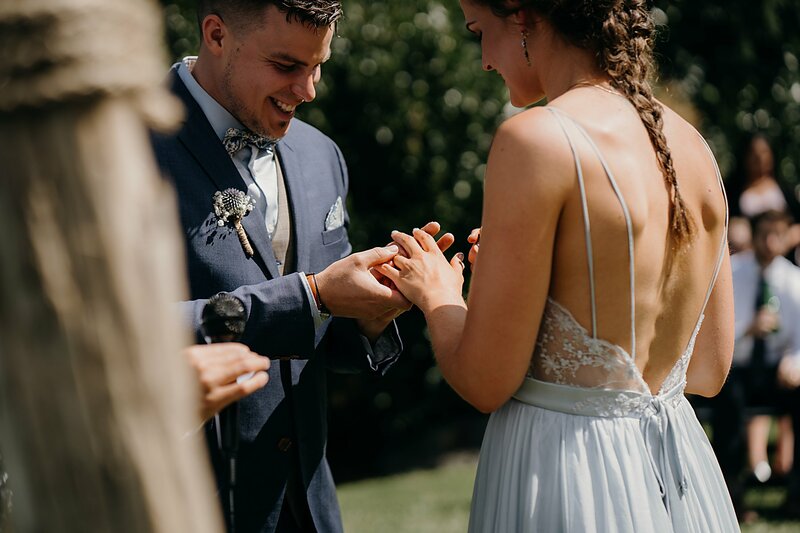 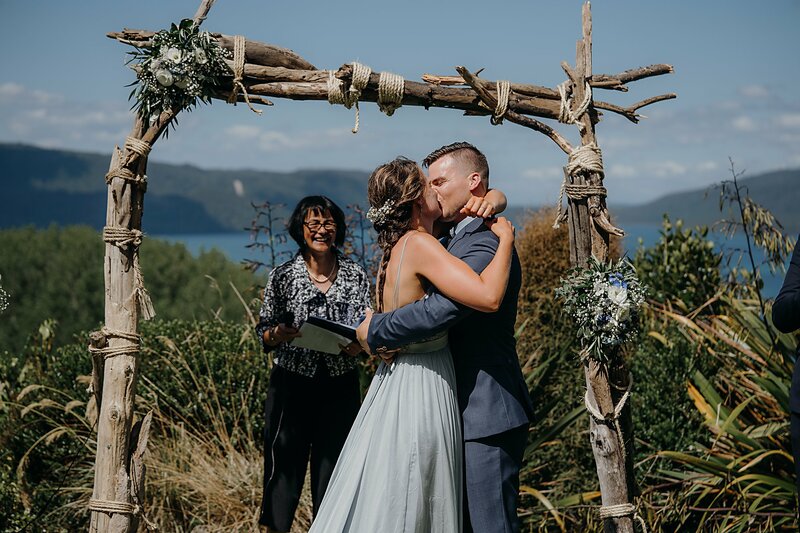 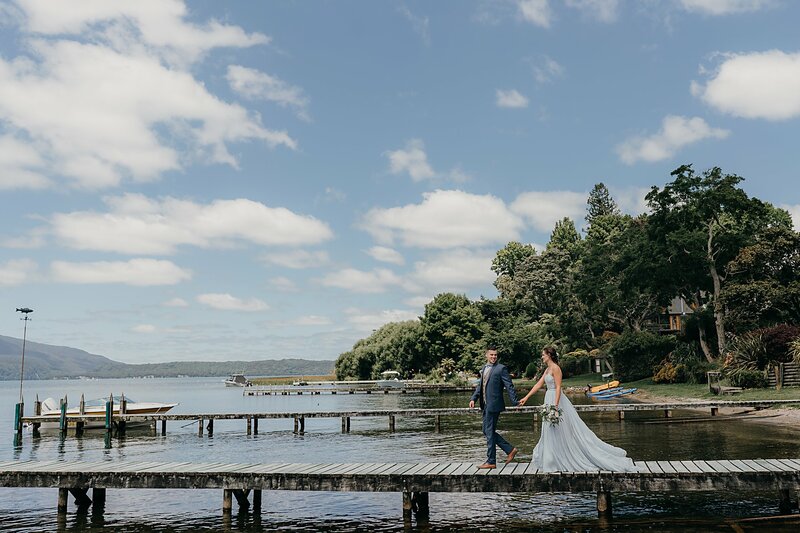 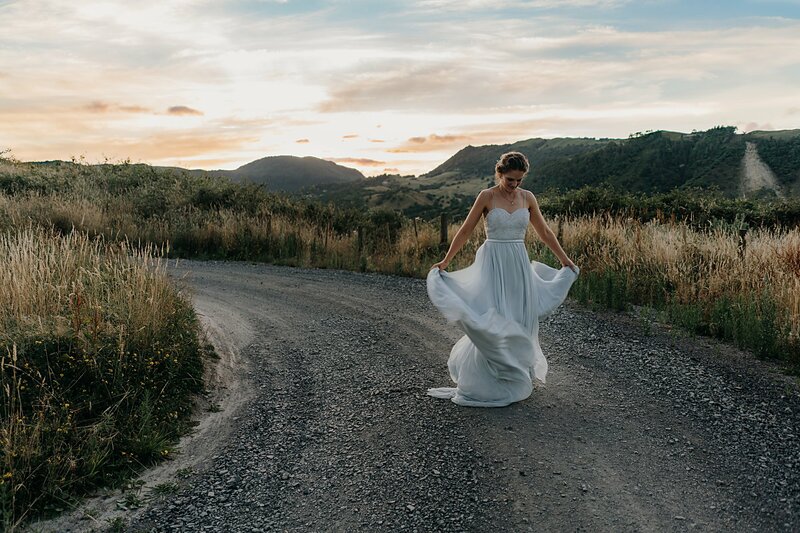 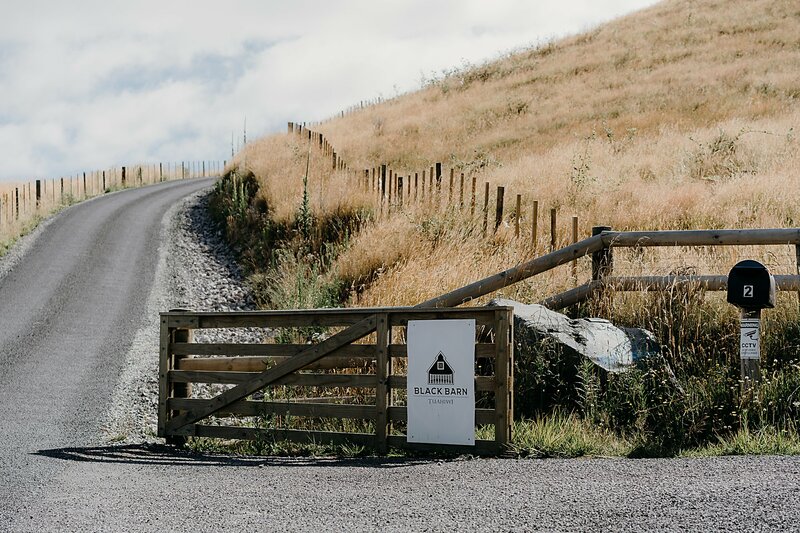 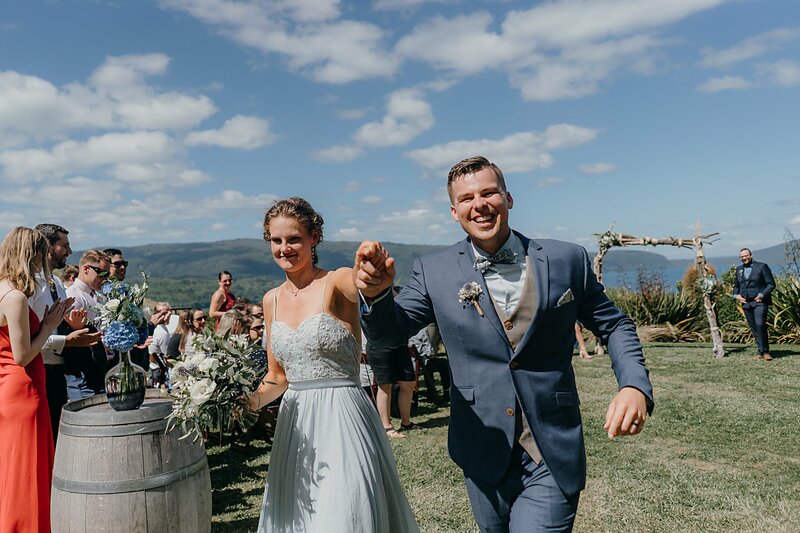 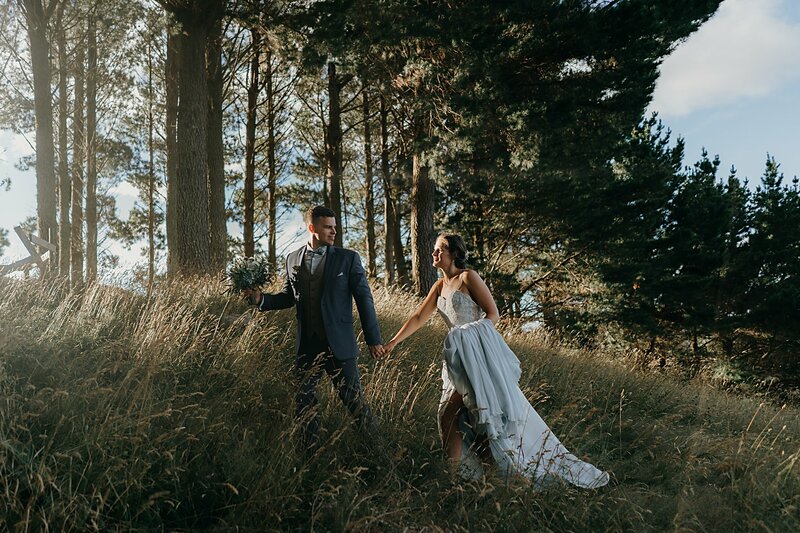 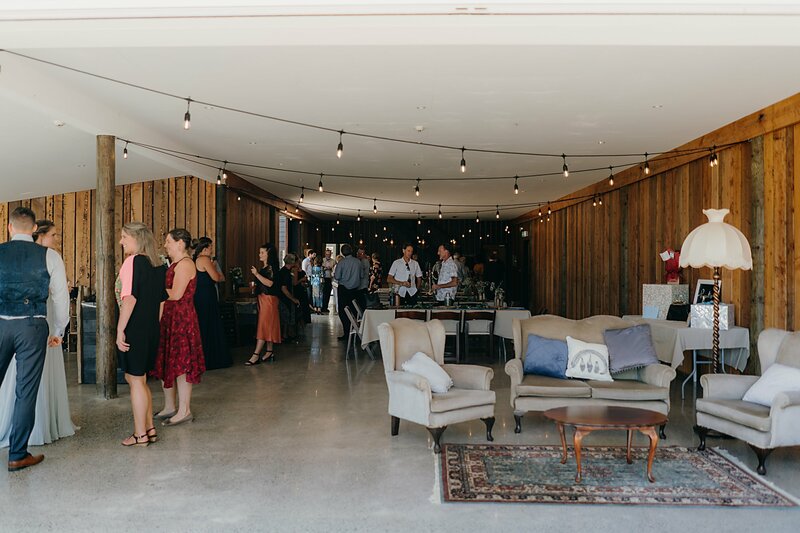 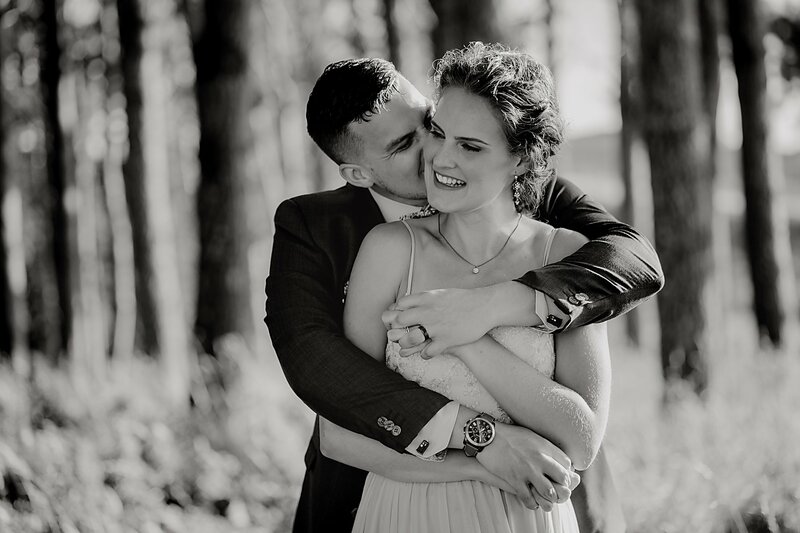 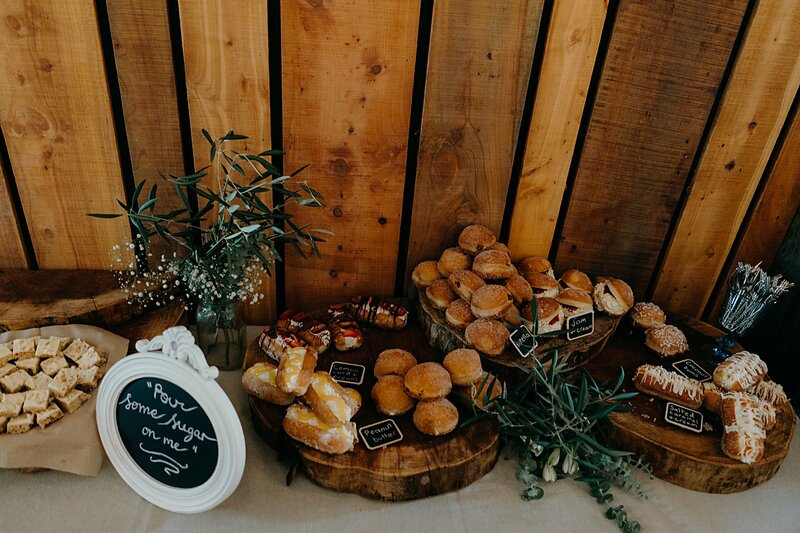 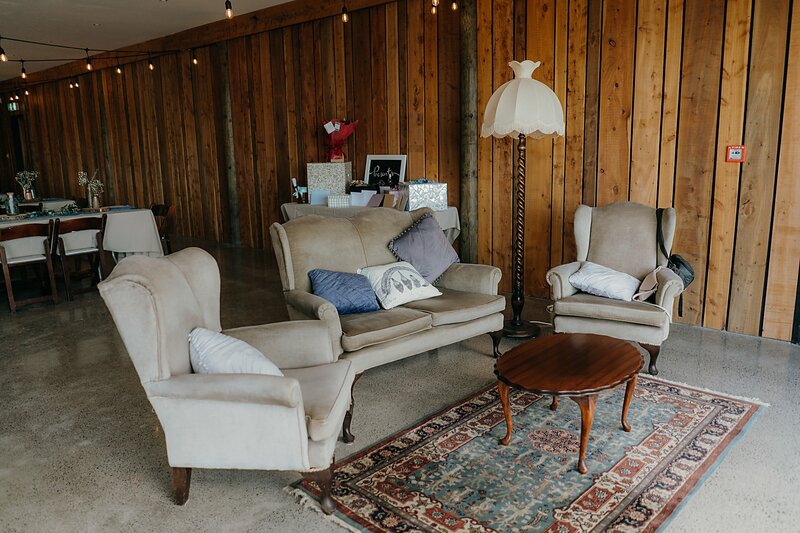 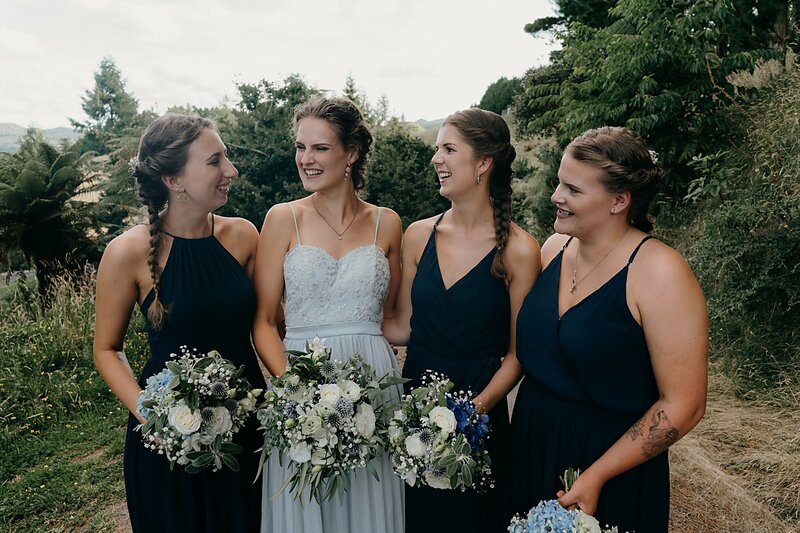 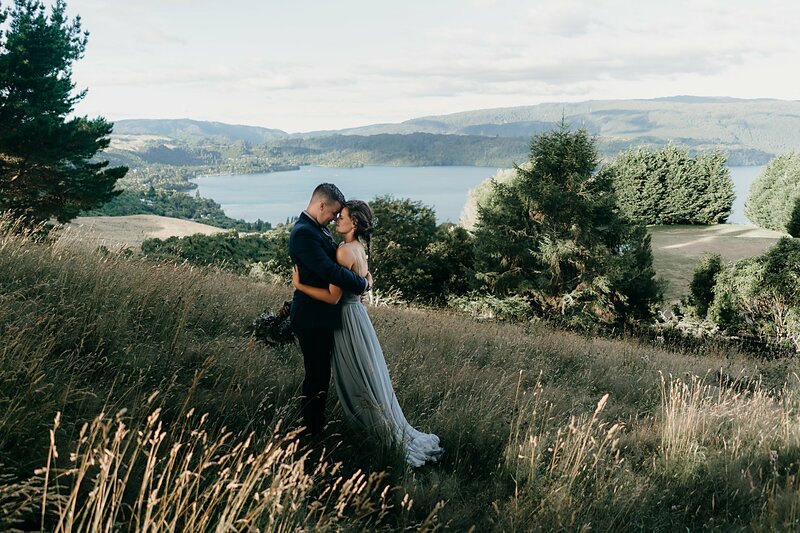 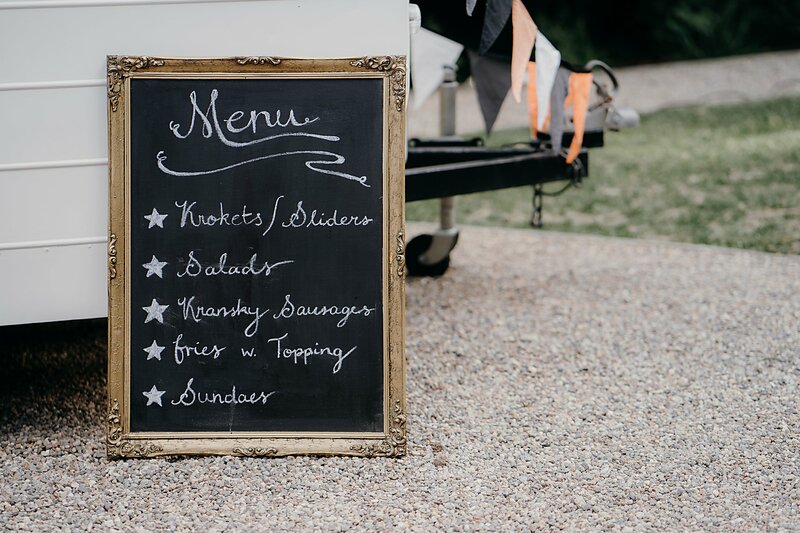 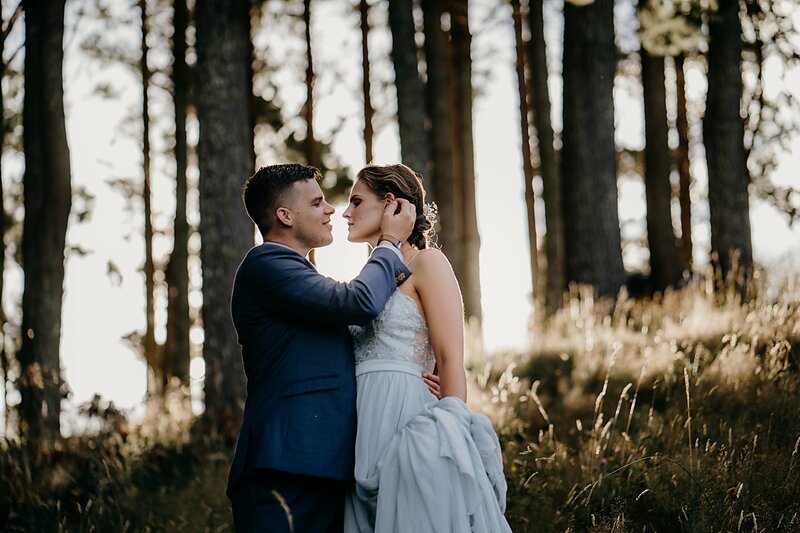 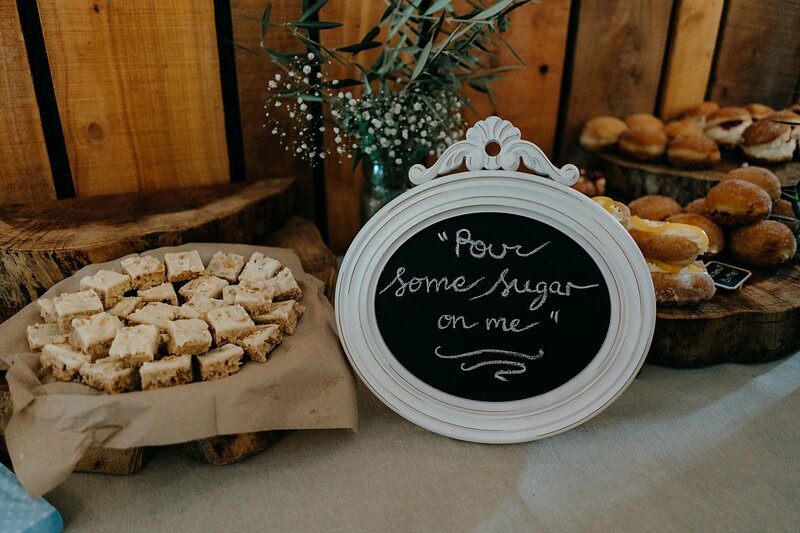 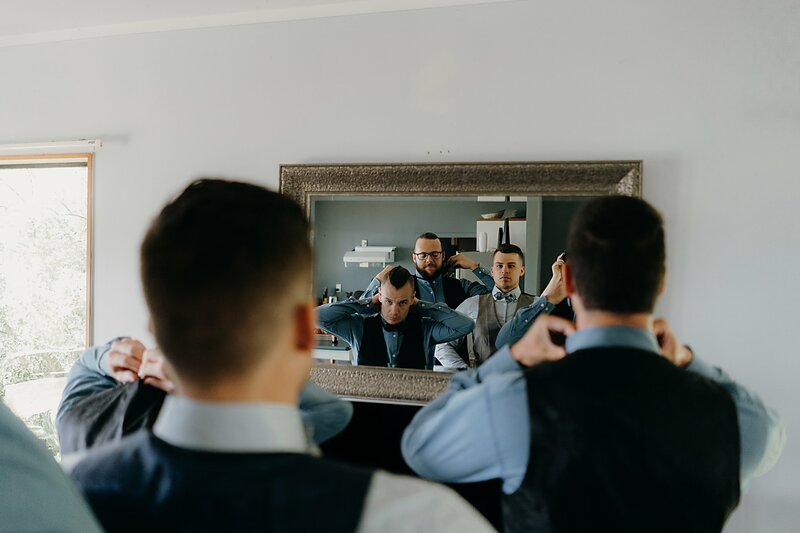 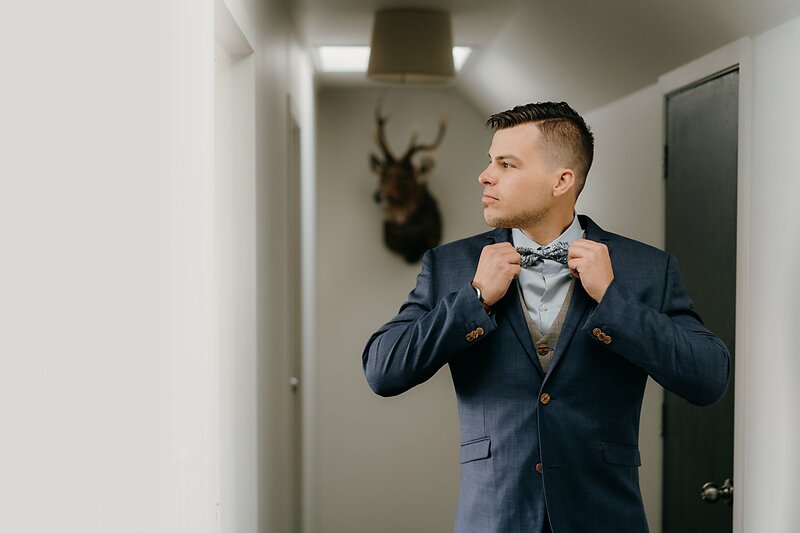 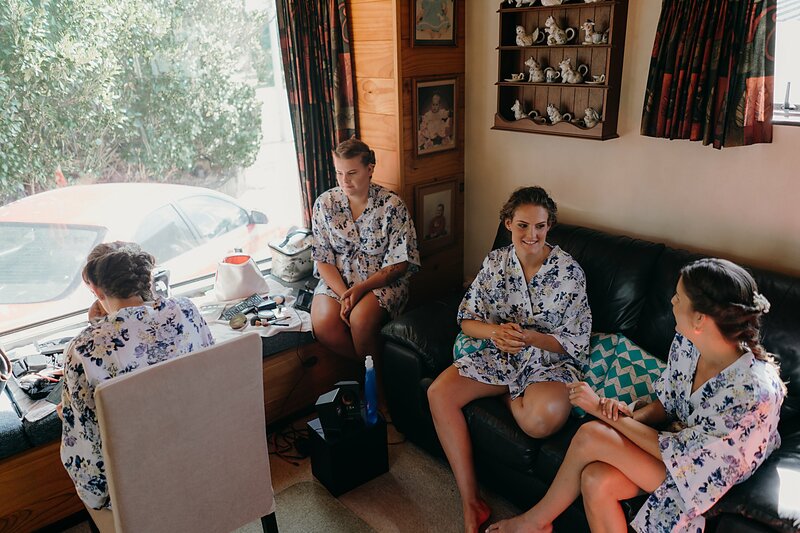 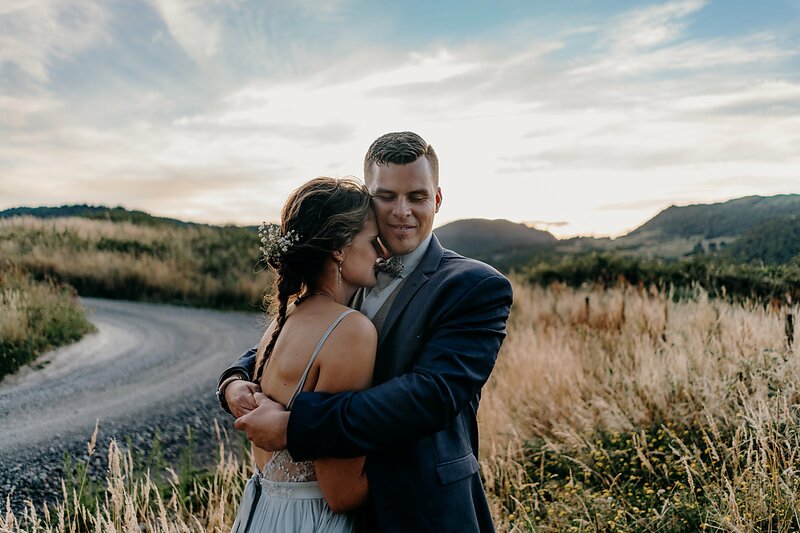 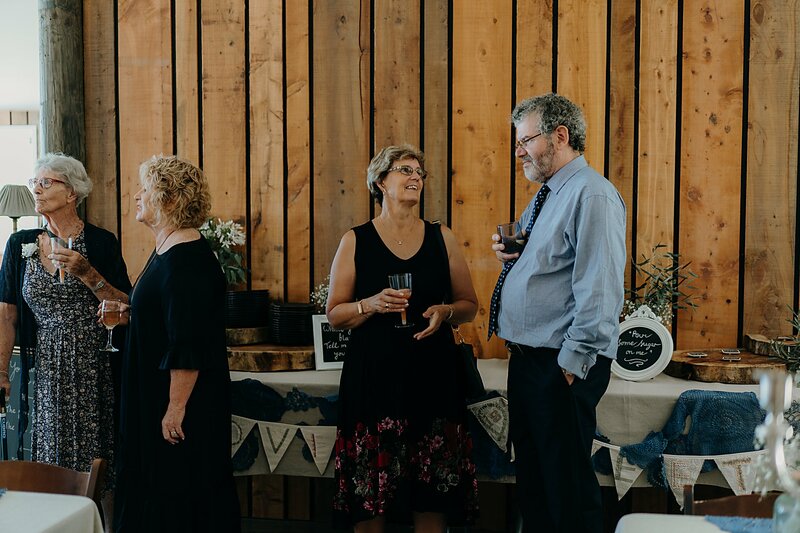 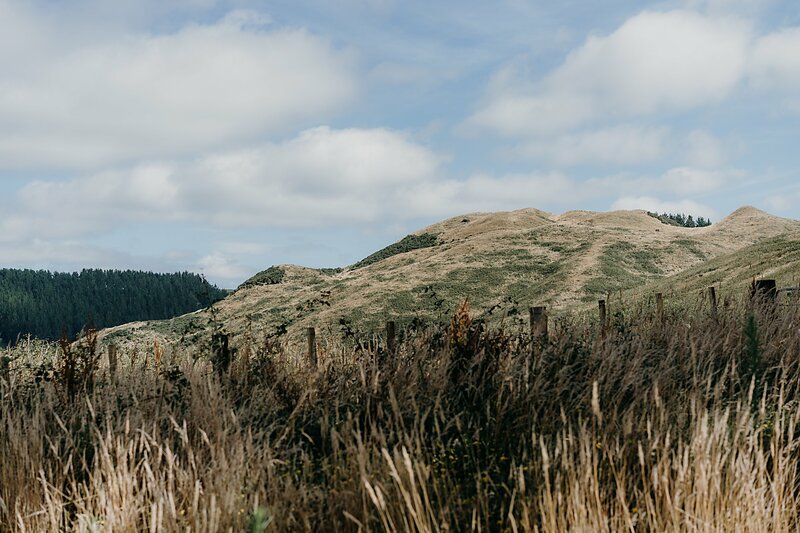 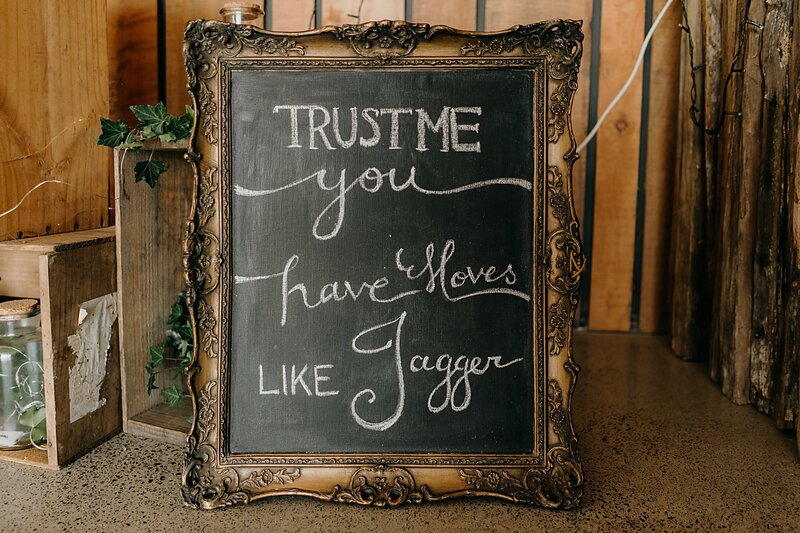 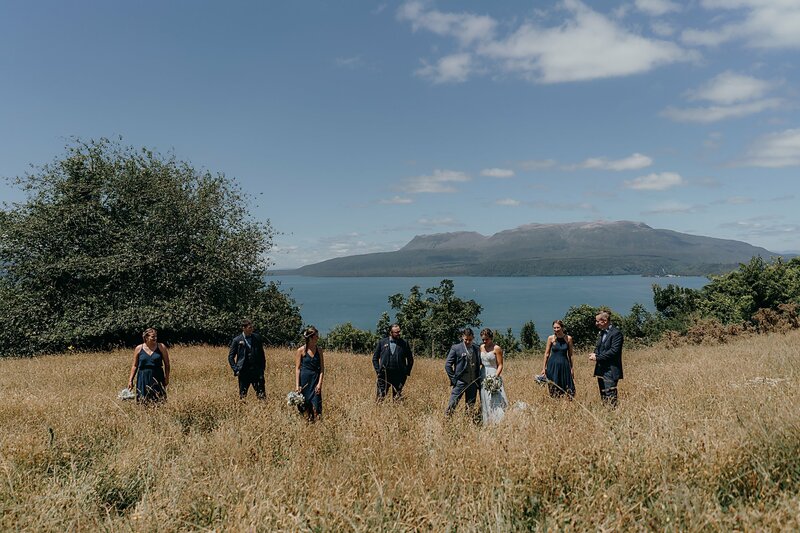 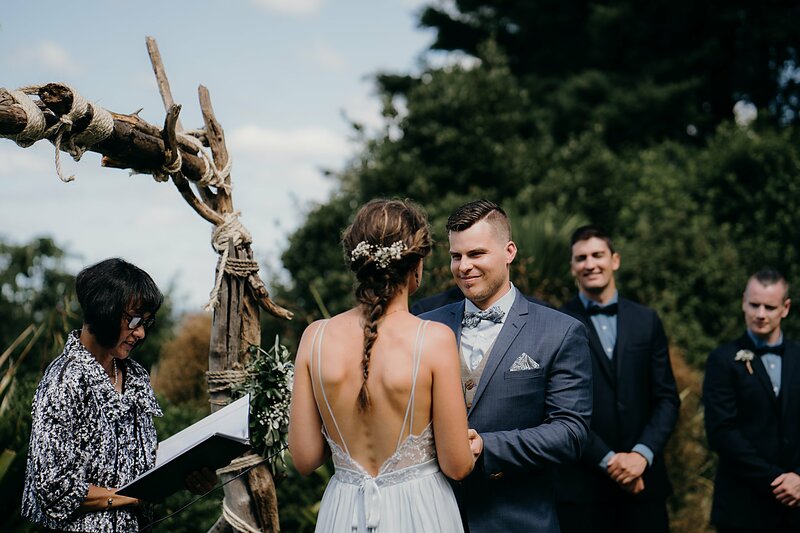 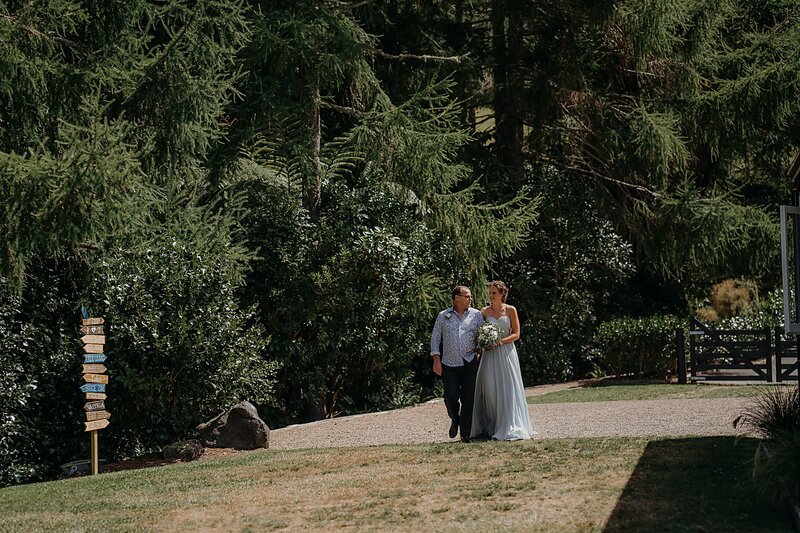 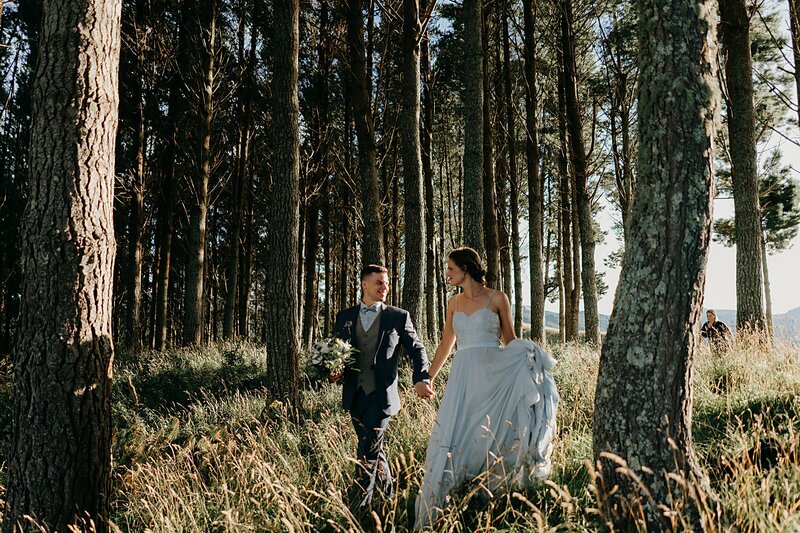 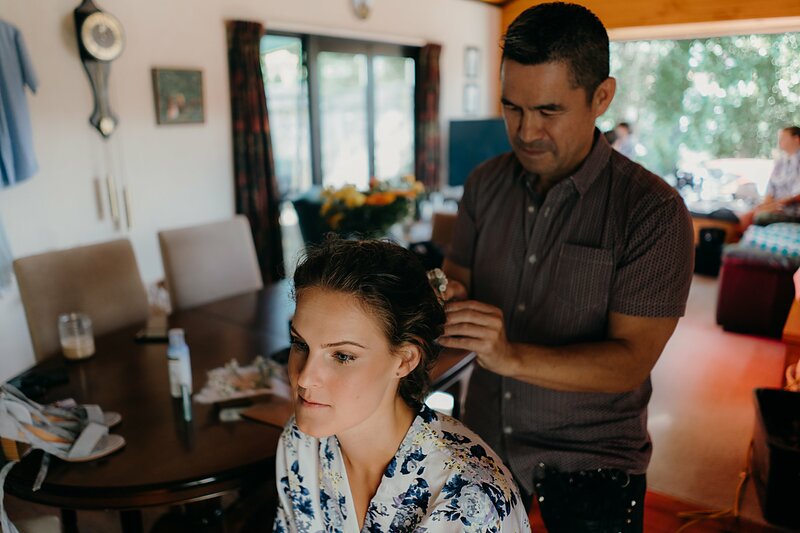 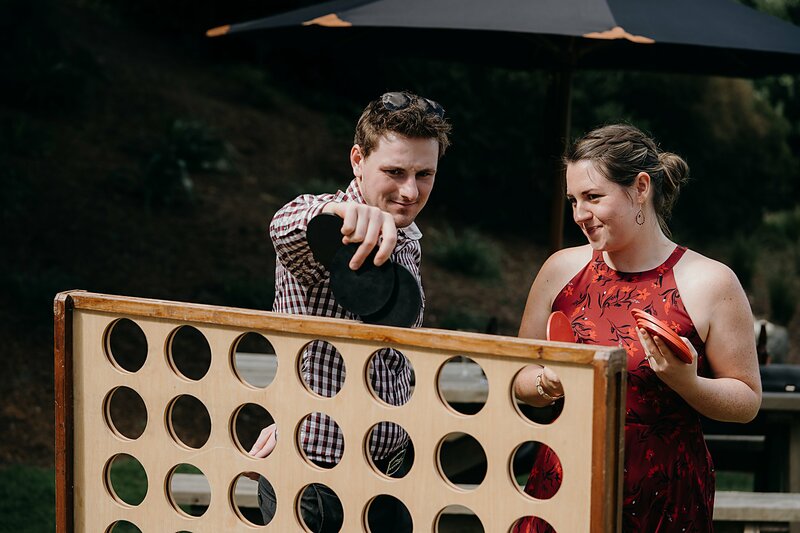 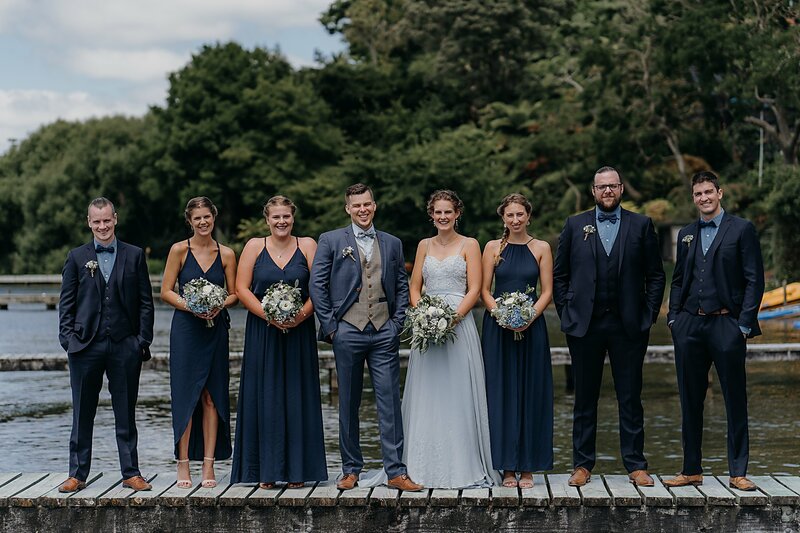 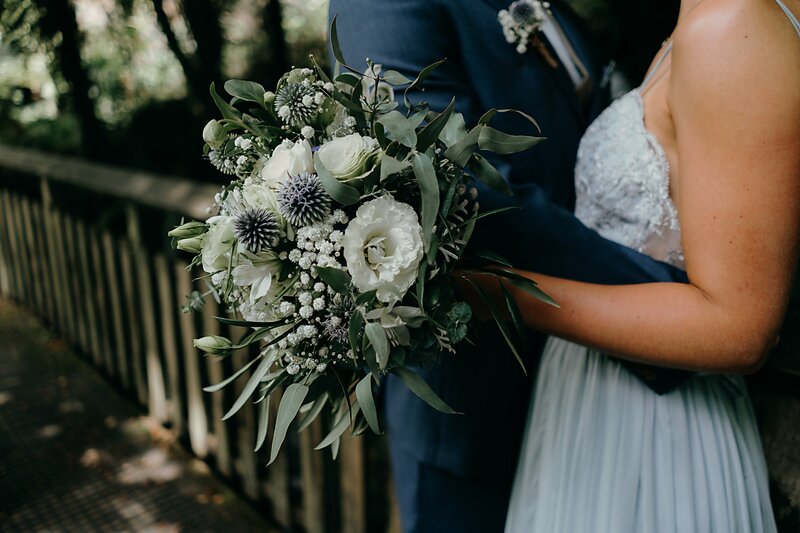 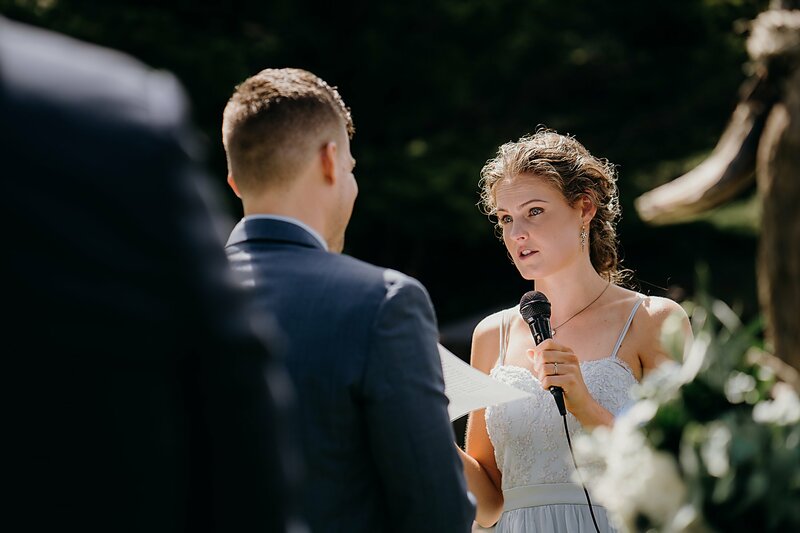 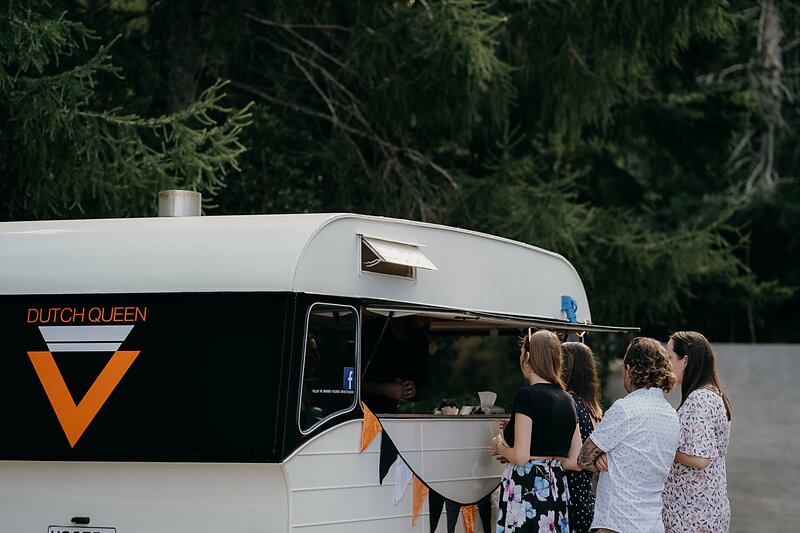 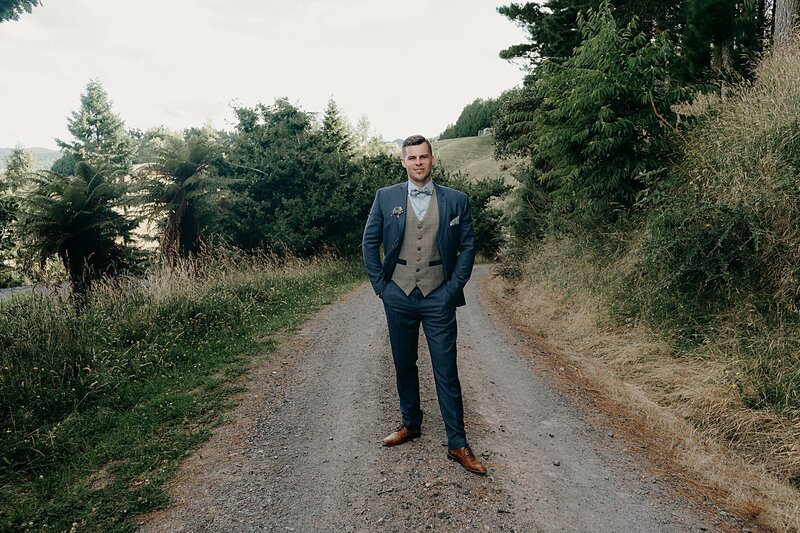 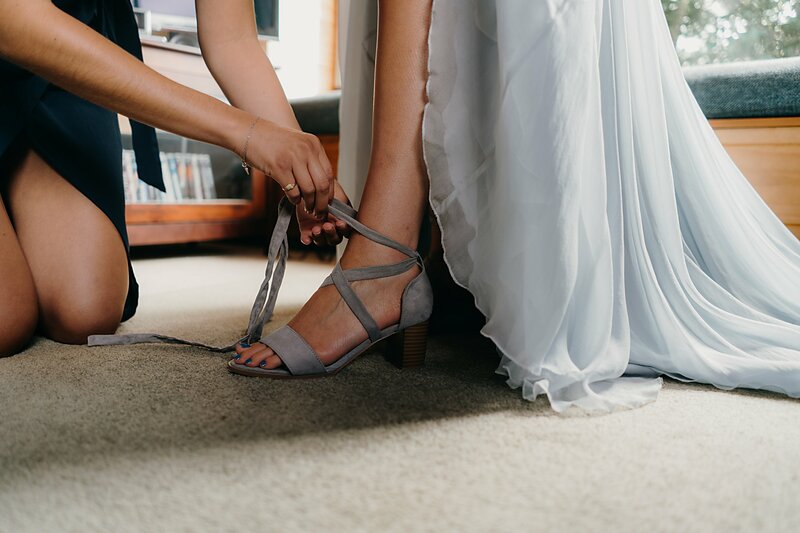 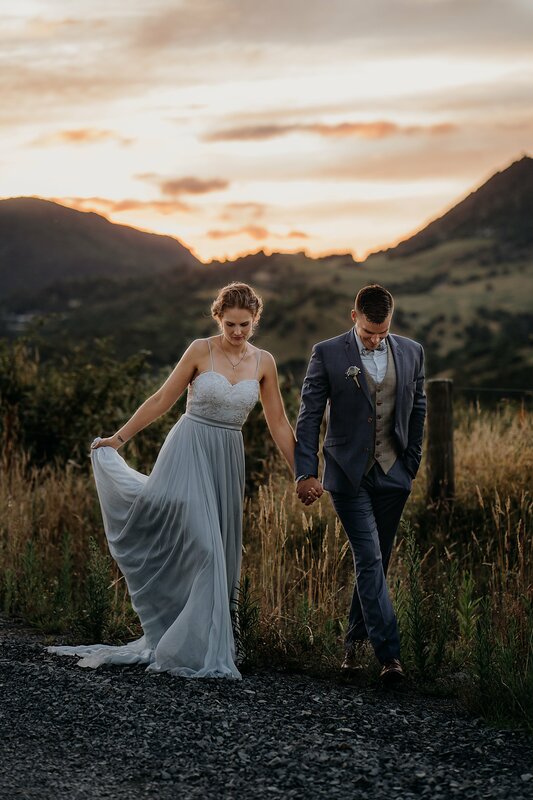 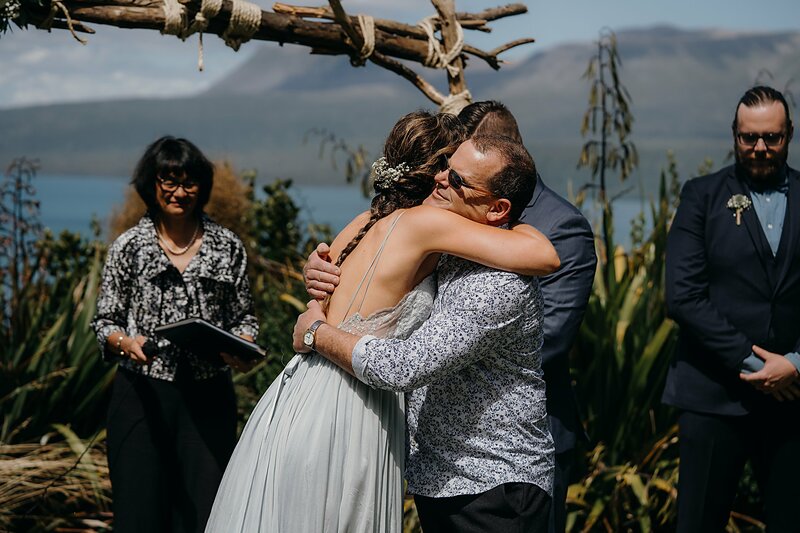 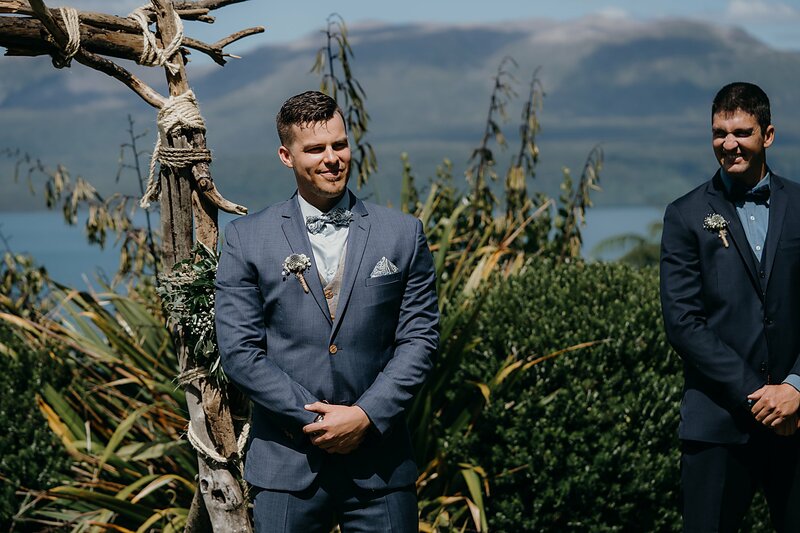 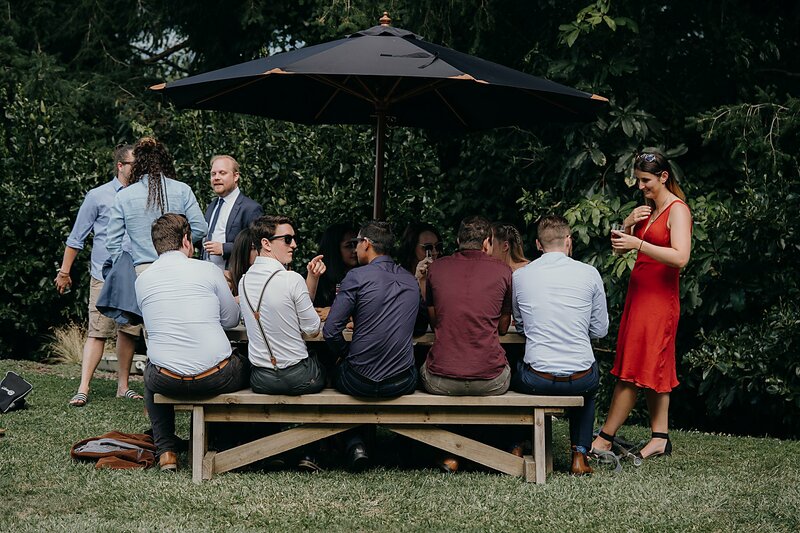 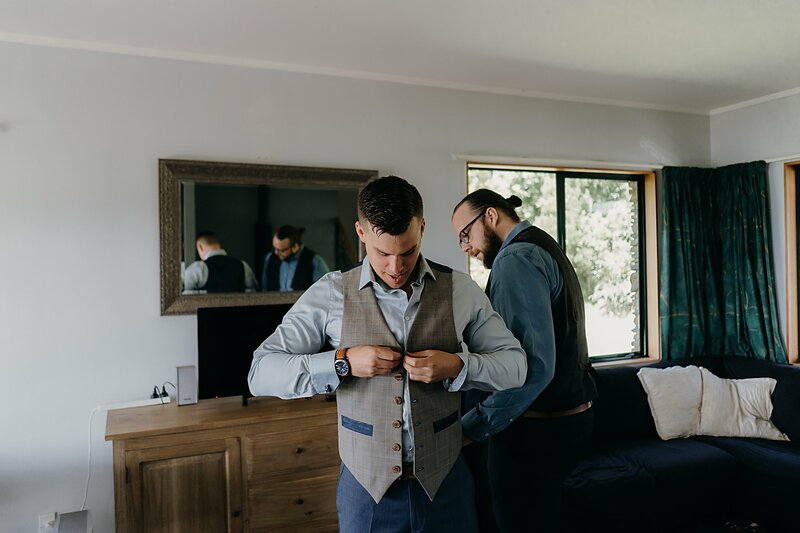 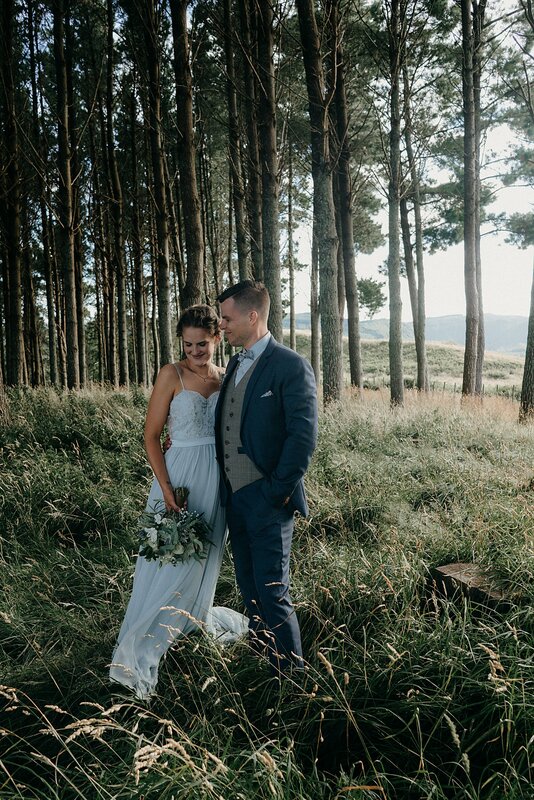 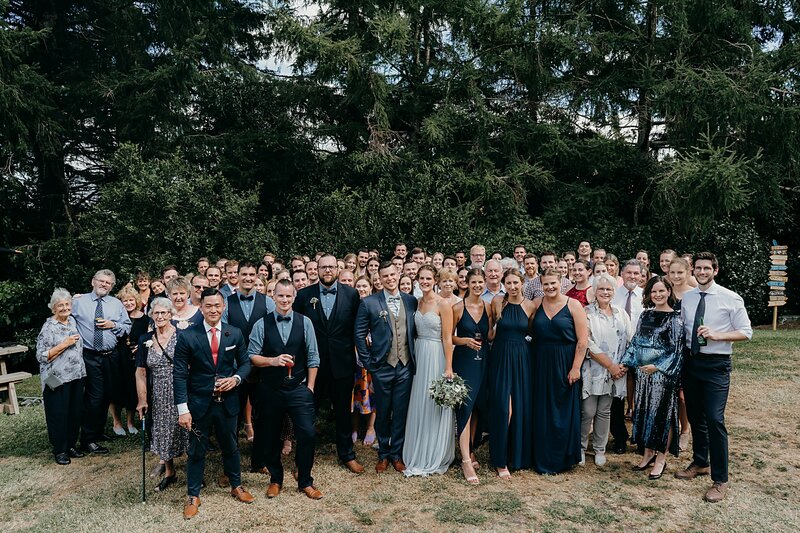 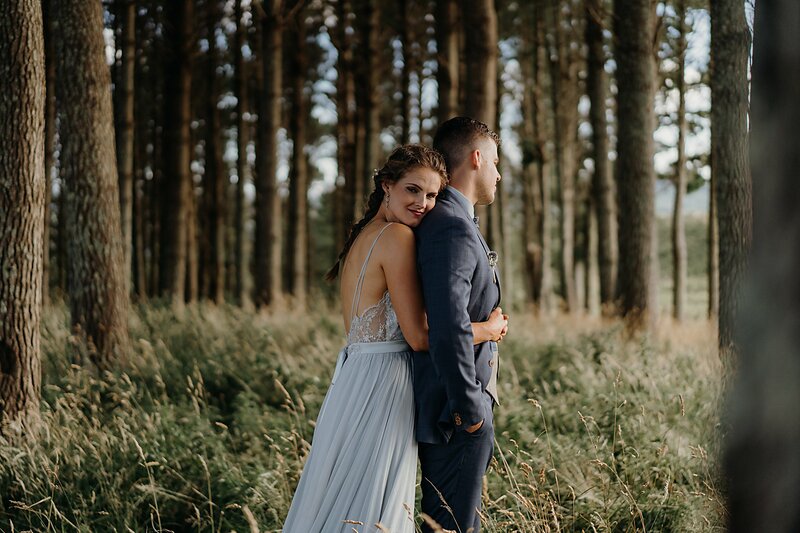 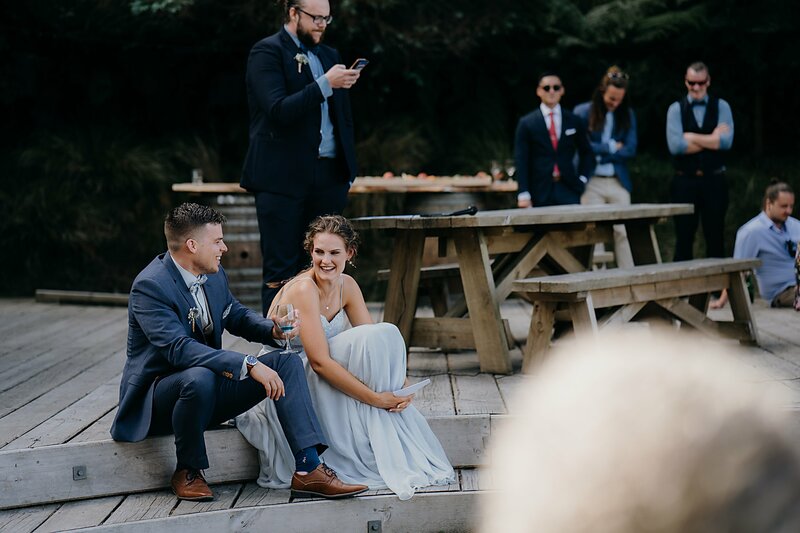 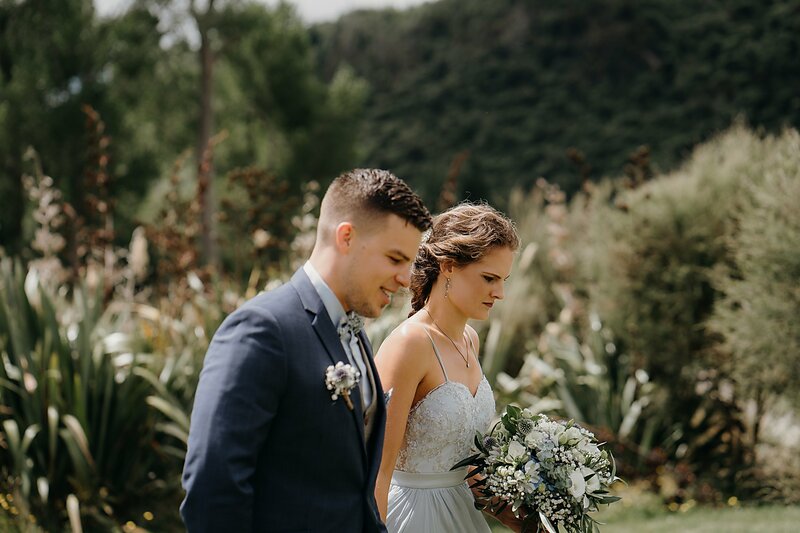 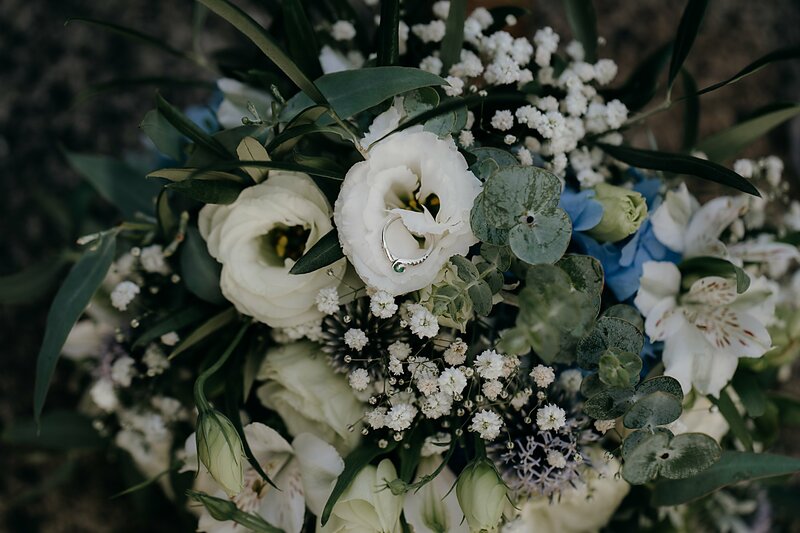 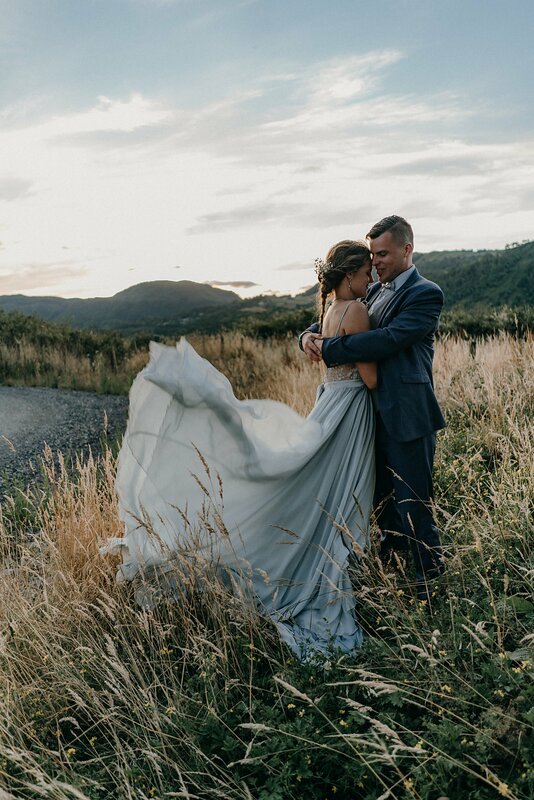 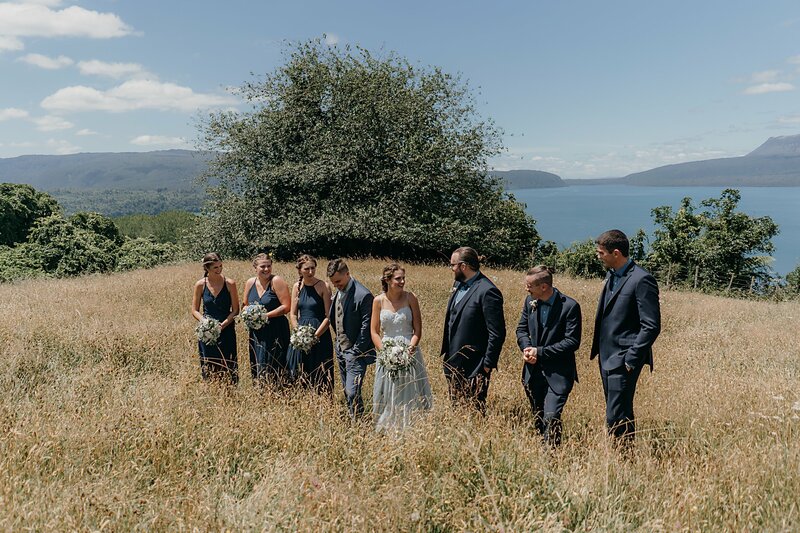 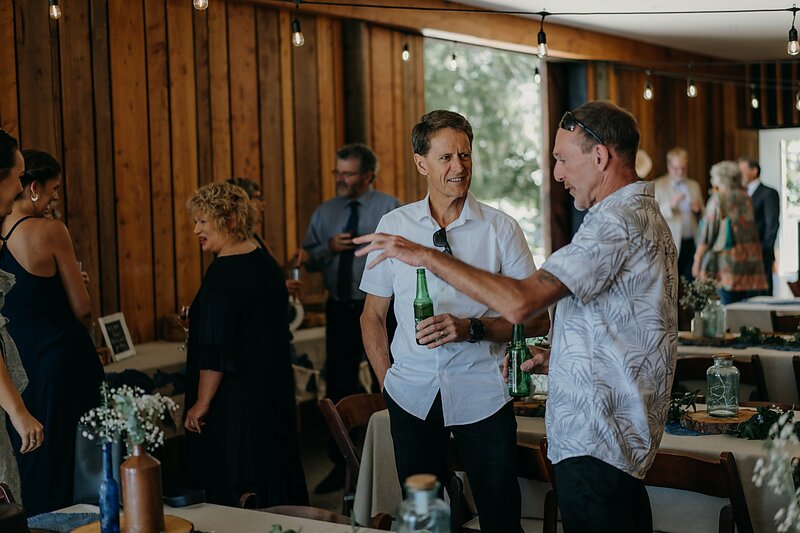 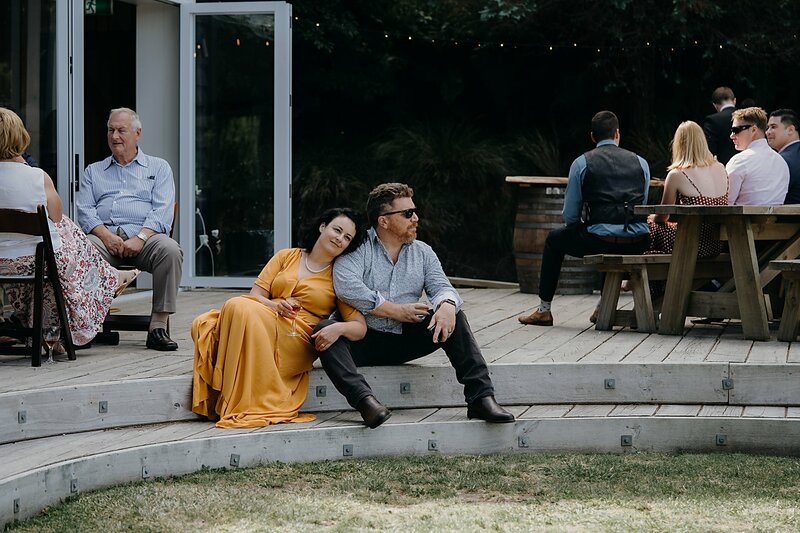 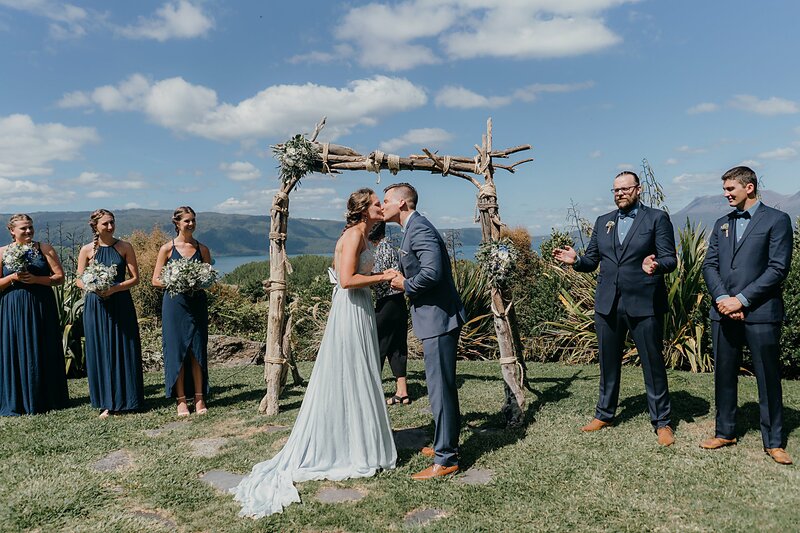 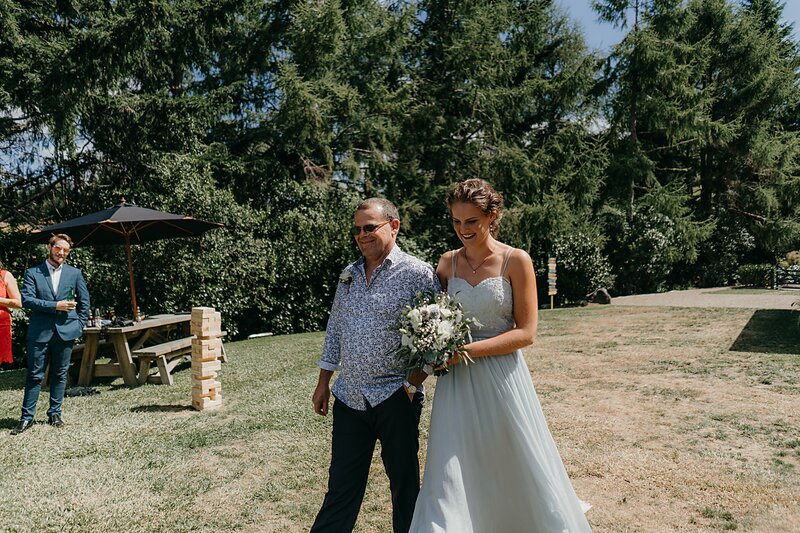 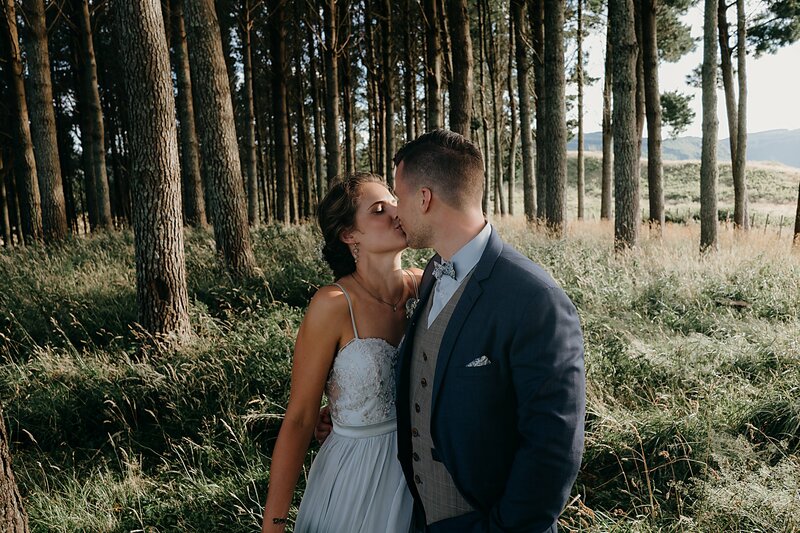 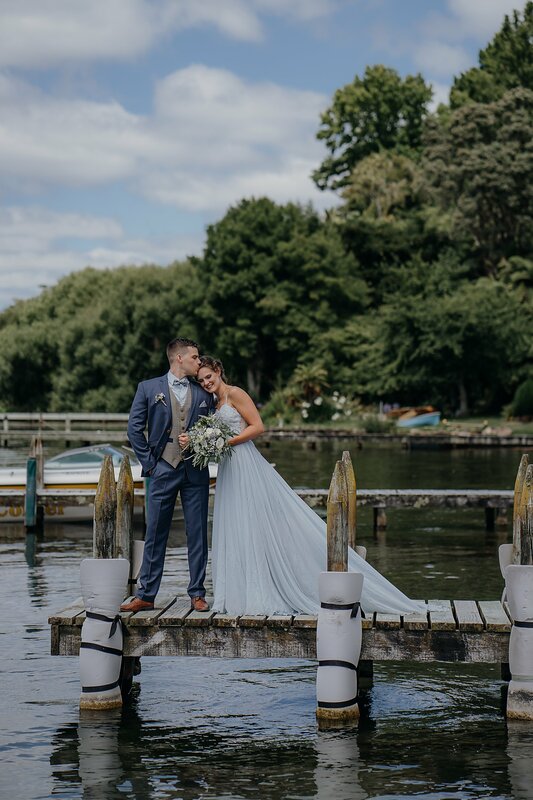 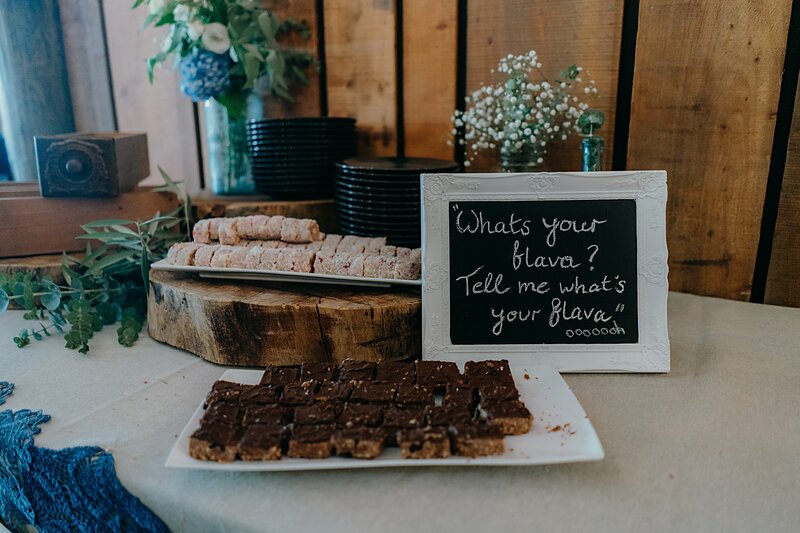 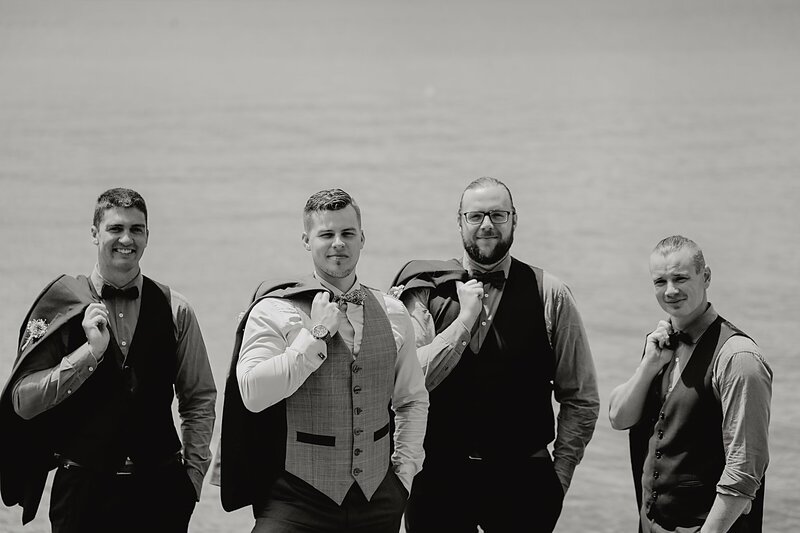 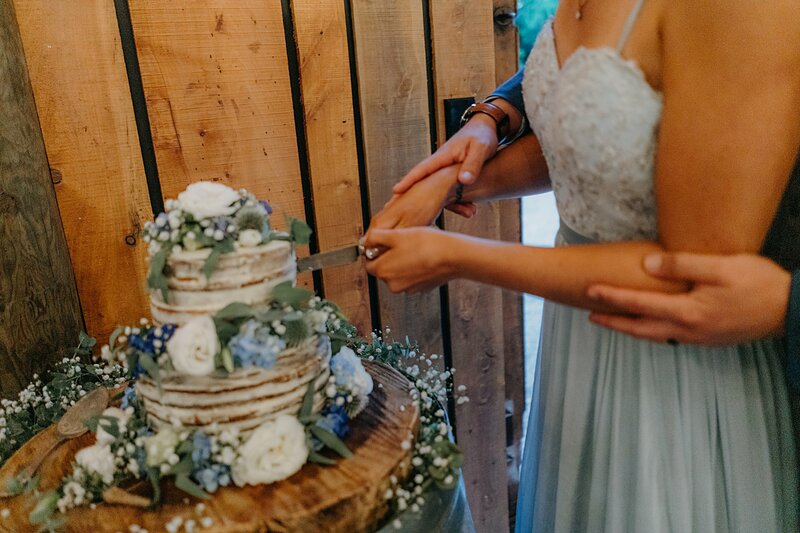 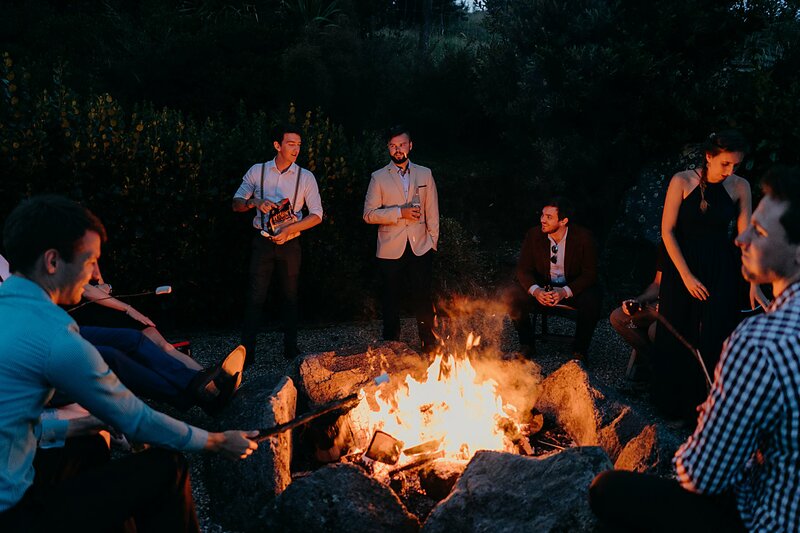 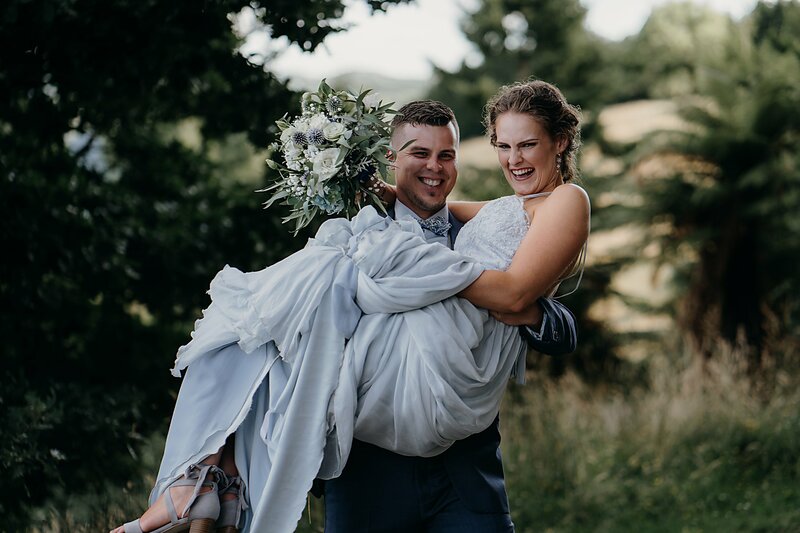 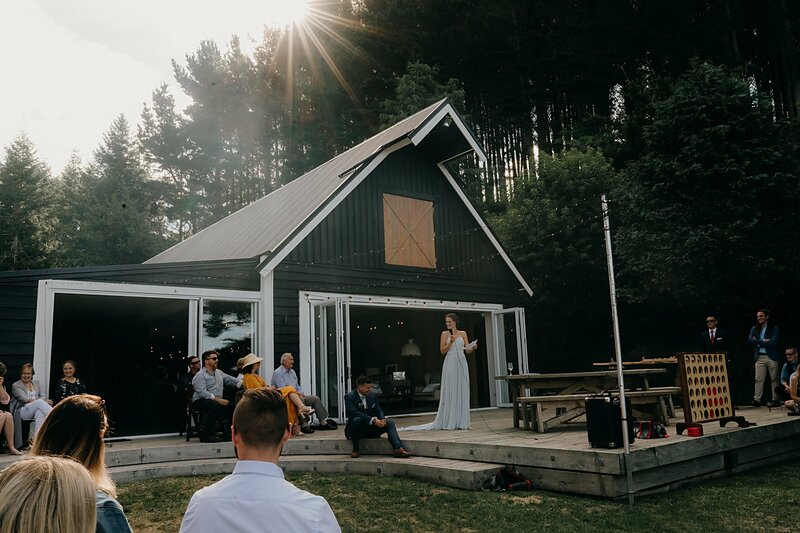 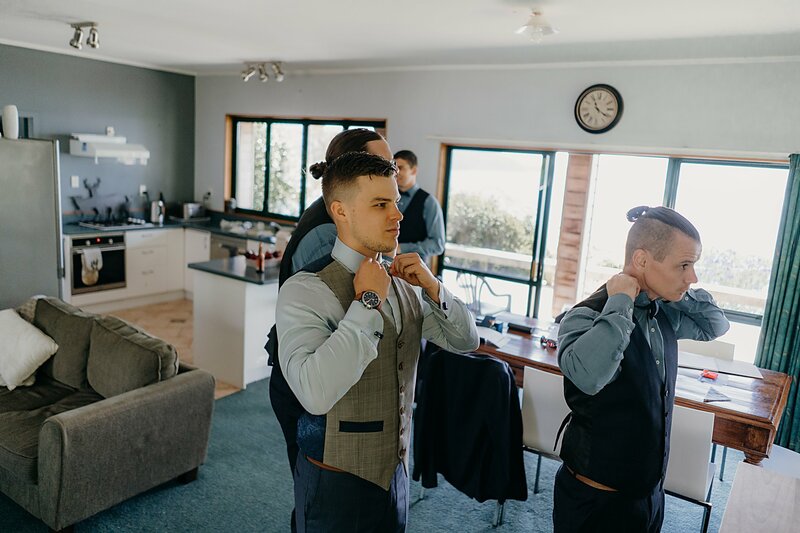 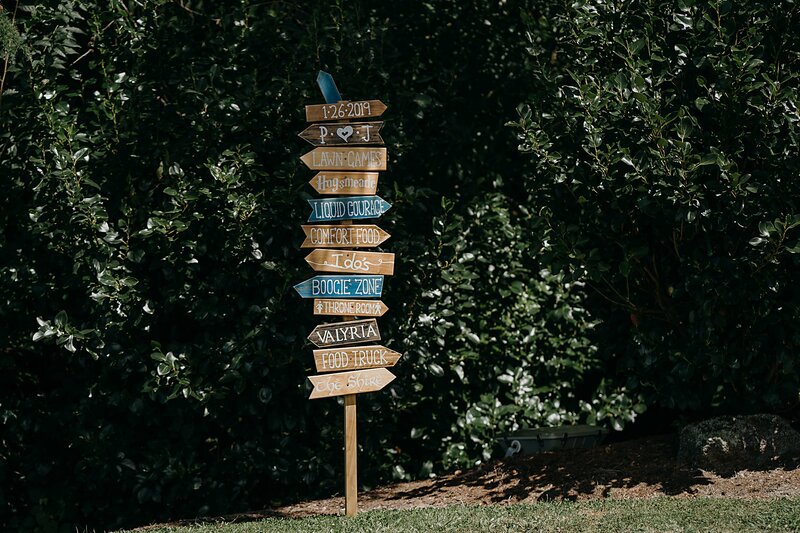 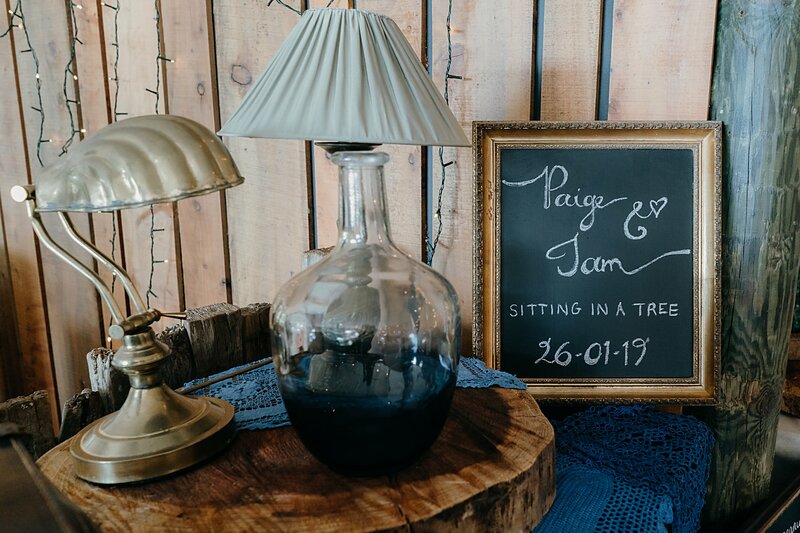 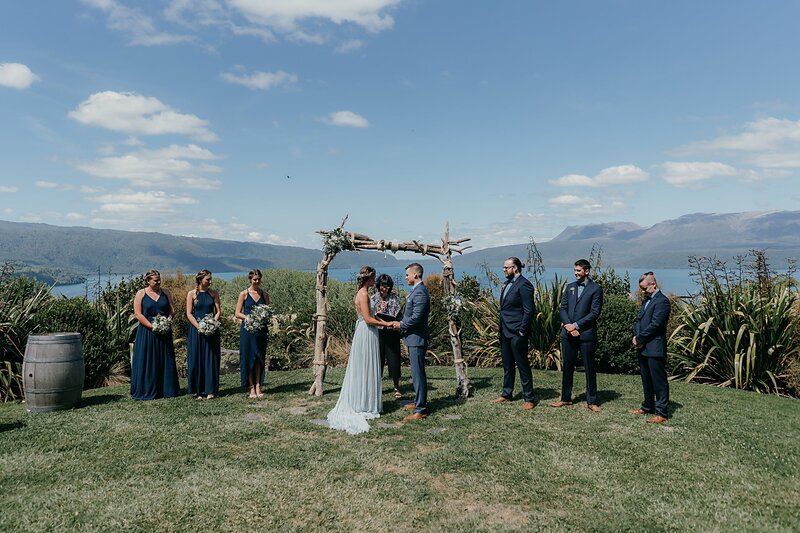 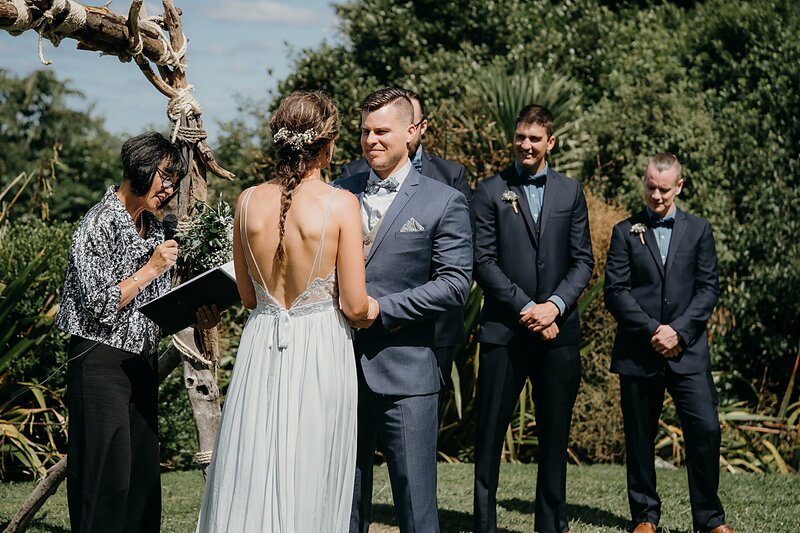 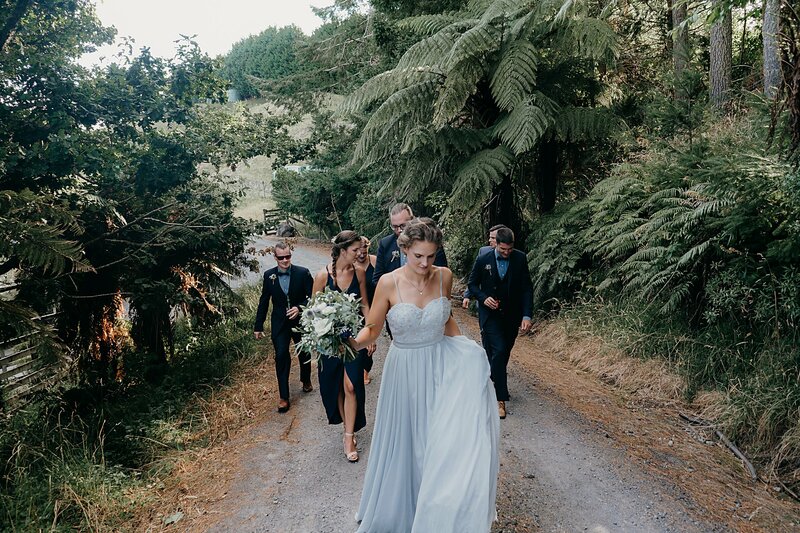 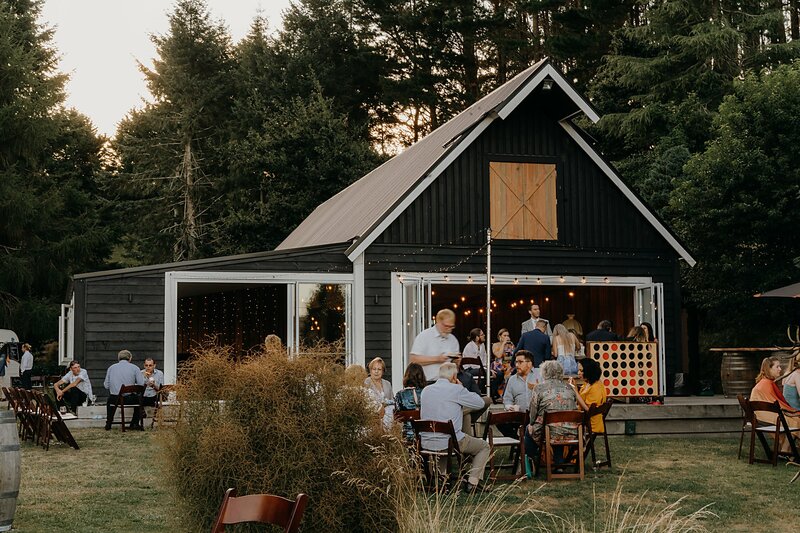 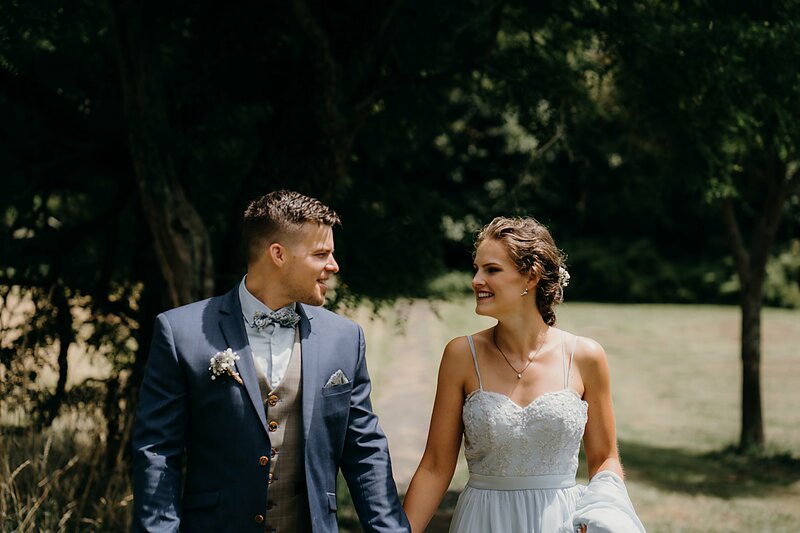 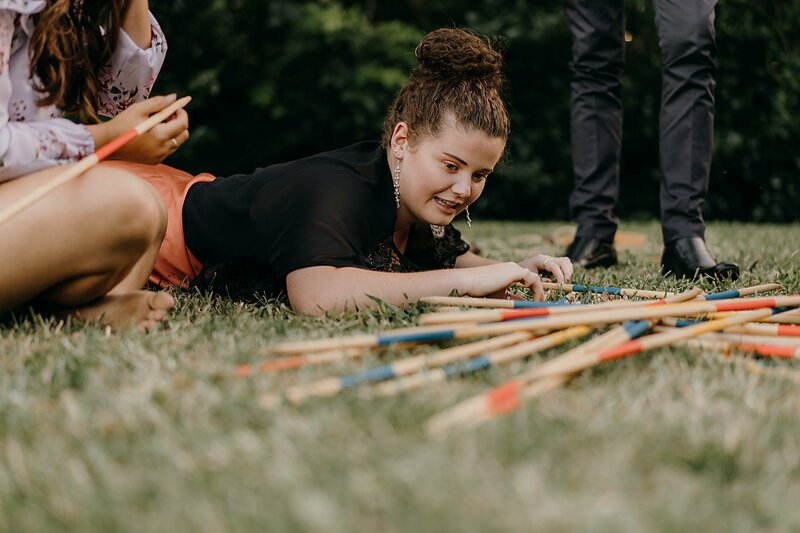 Jamie and Paige were married at the gorgeous Black Barn Tuahiwi in Lake Tarawera, Rotorua. 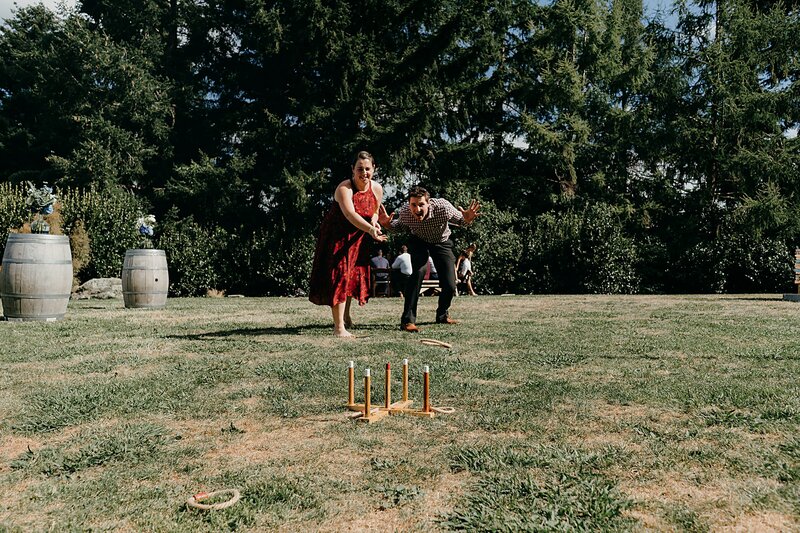 It was a gorgeous summer day and boy did we make the most of it. 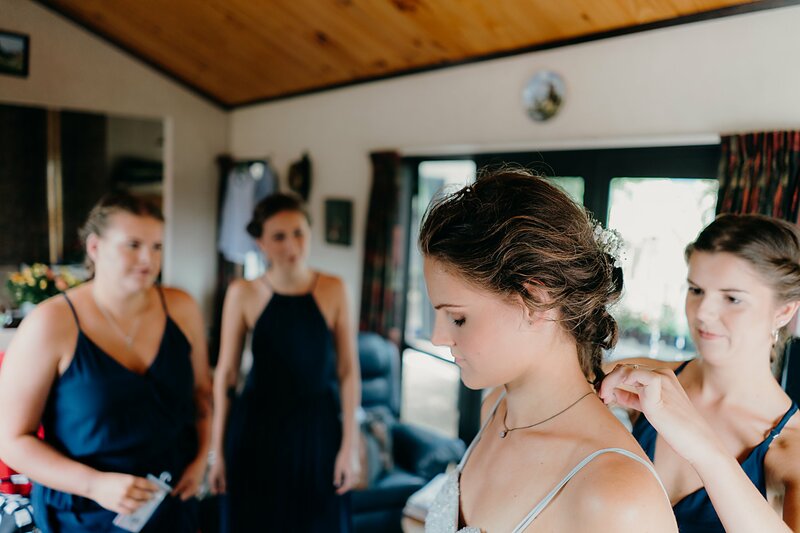 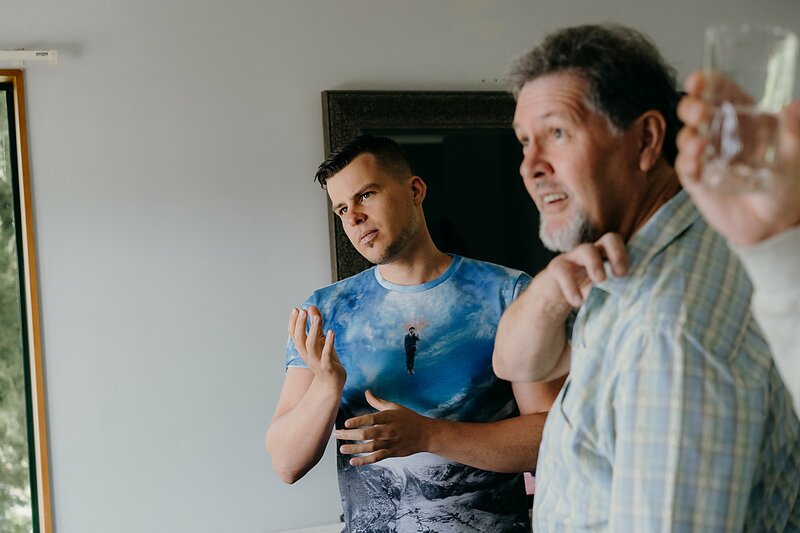 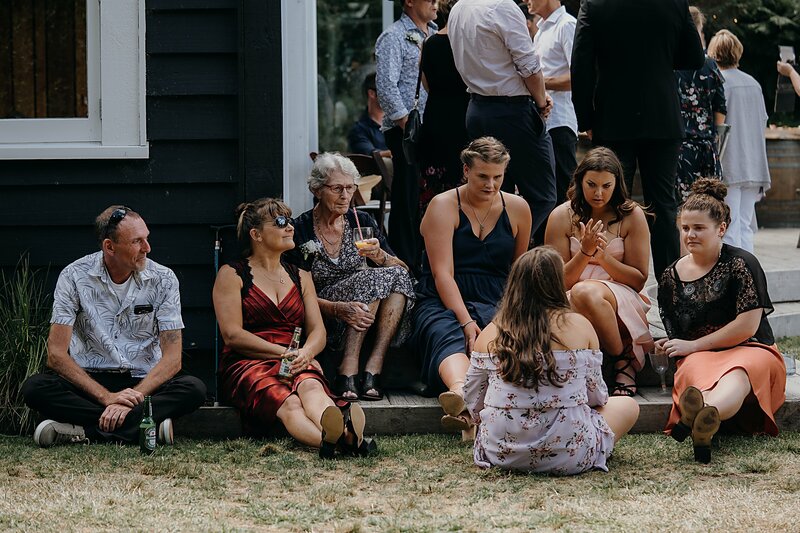 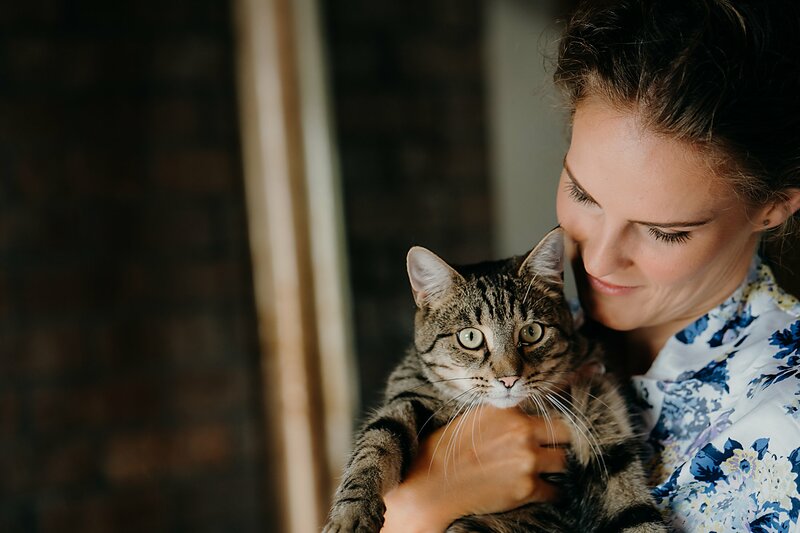 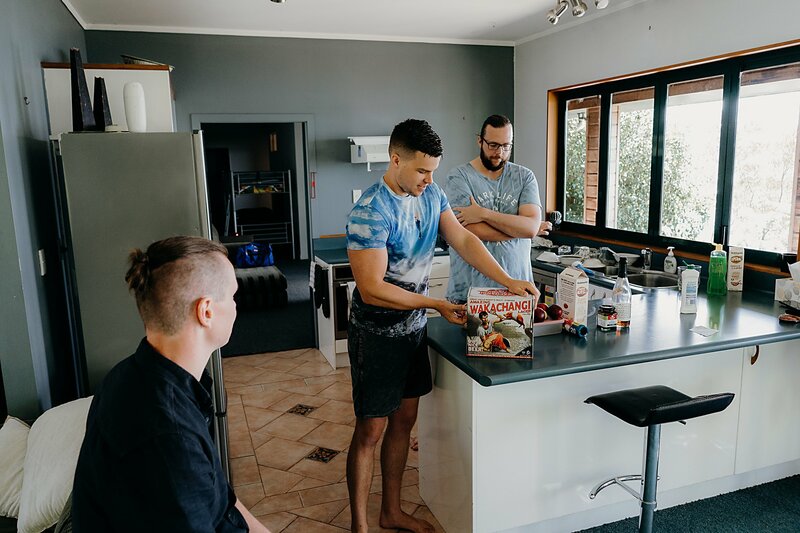 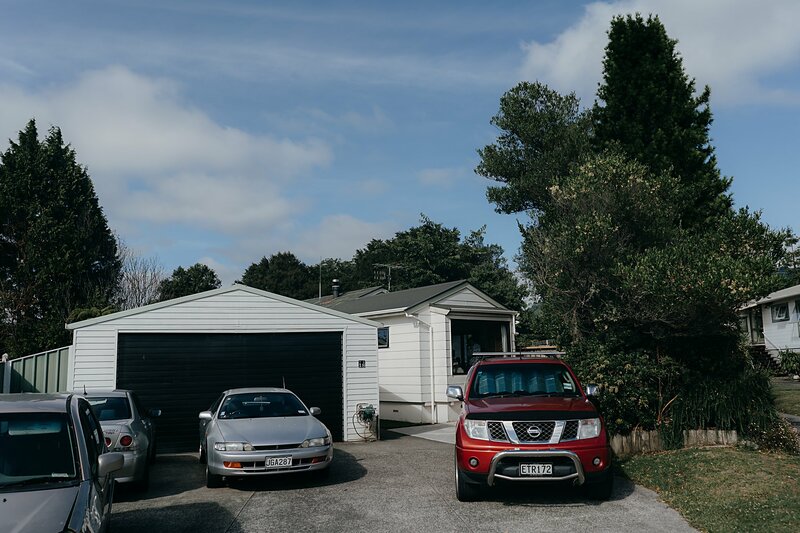 Paige got ready at her parents home in Kawaha Point whereas Jamie took to the lakehouse the Black Barn Tuahiwi. 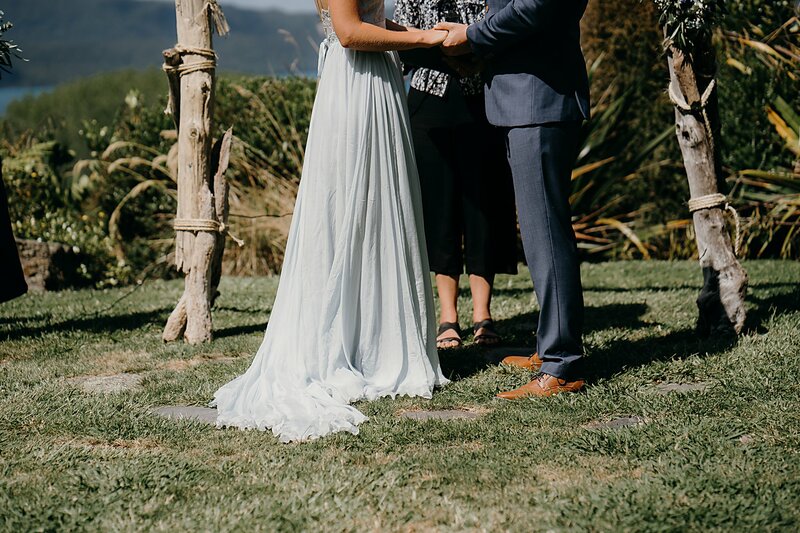 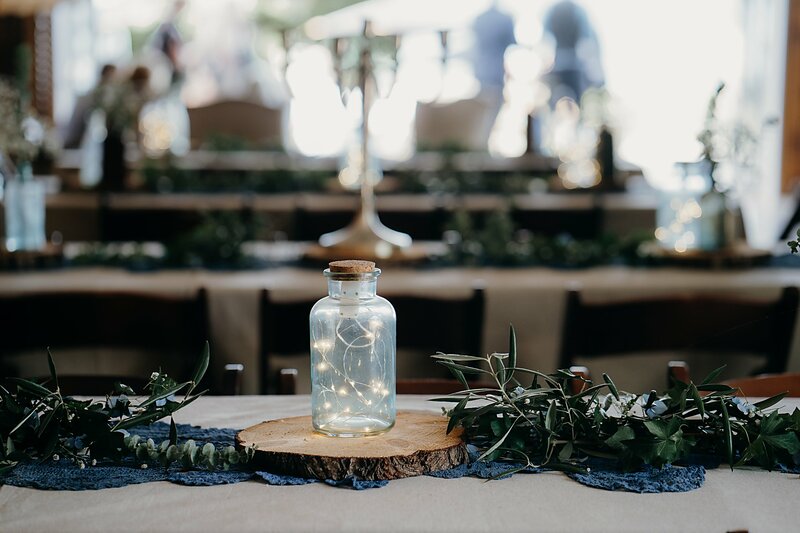 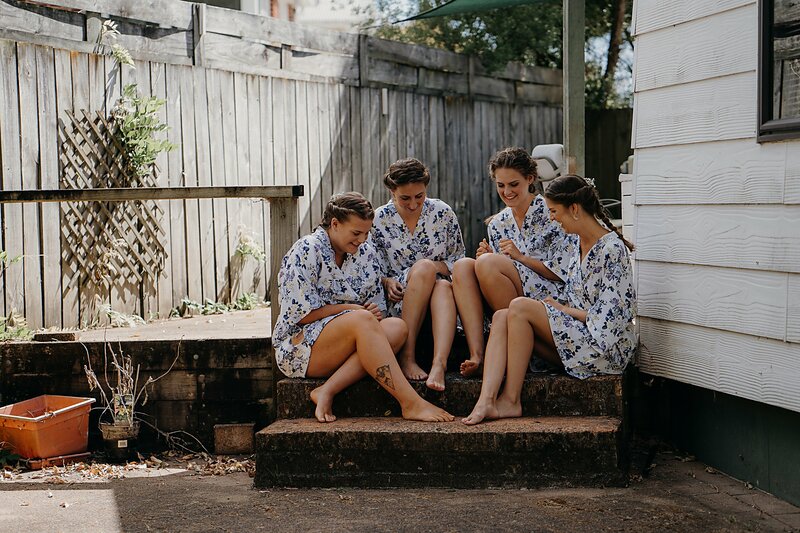 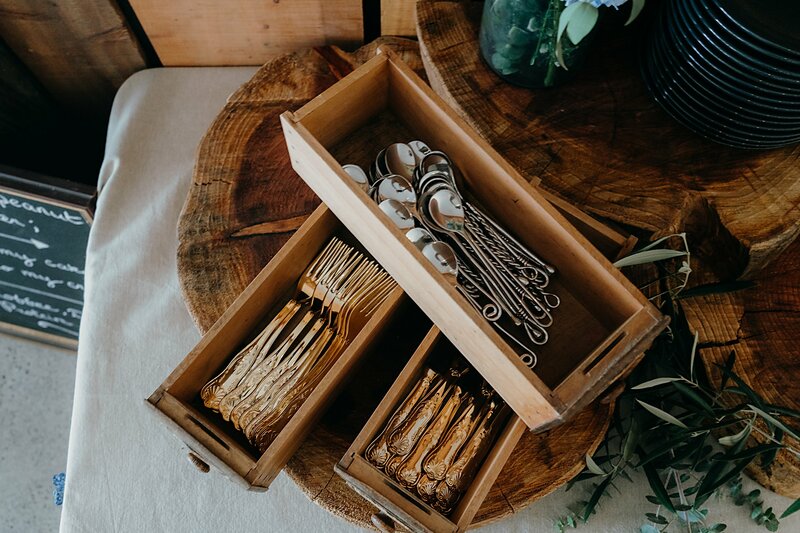 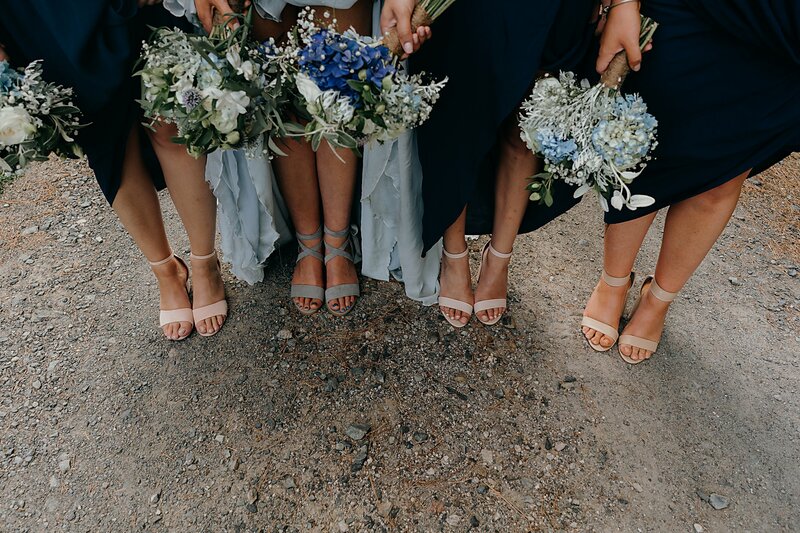 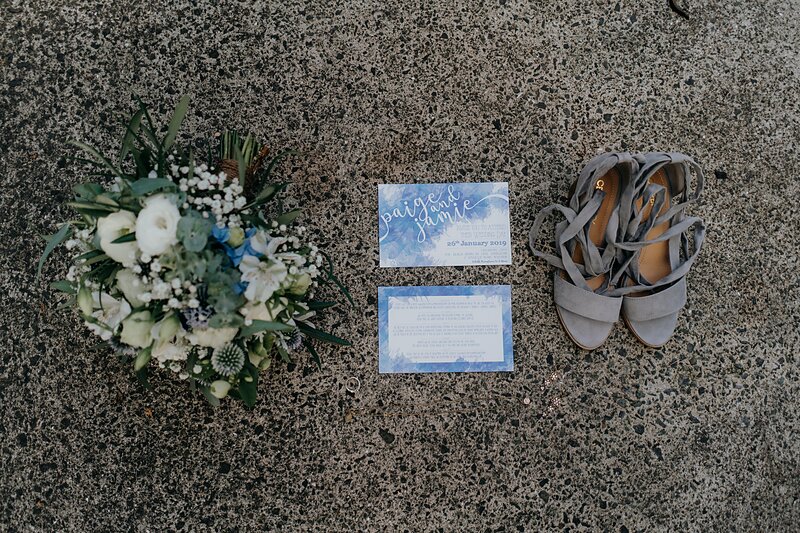 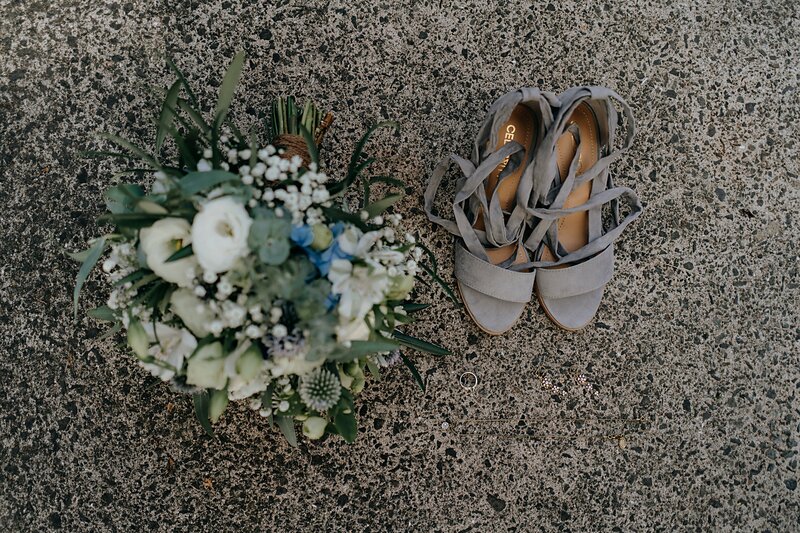 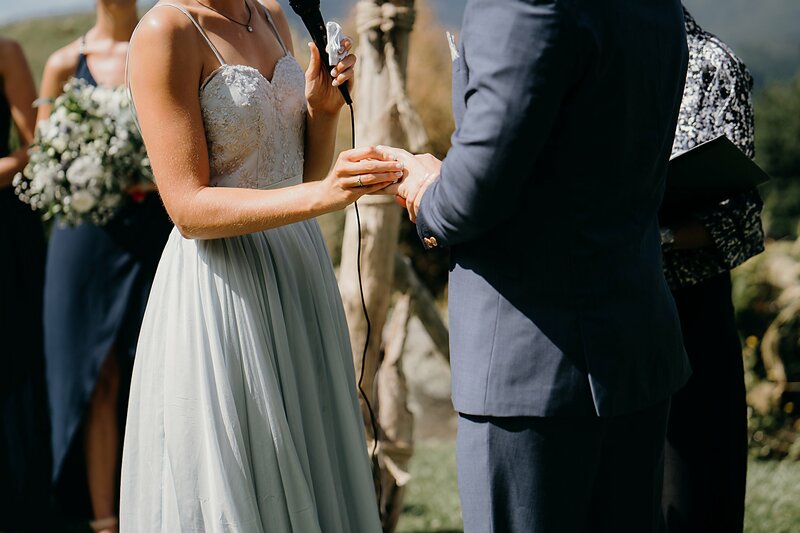 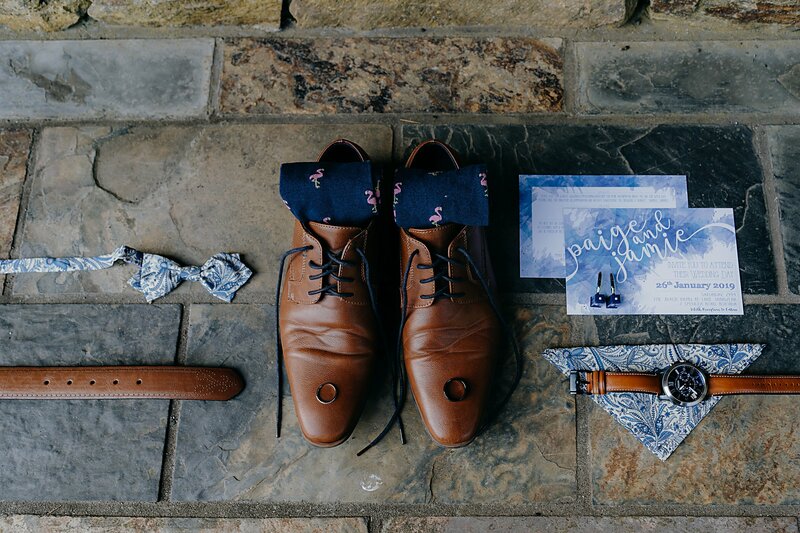 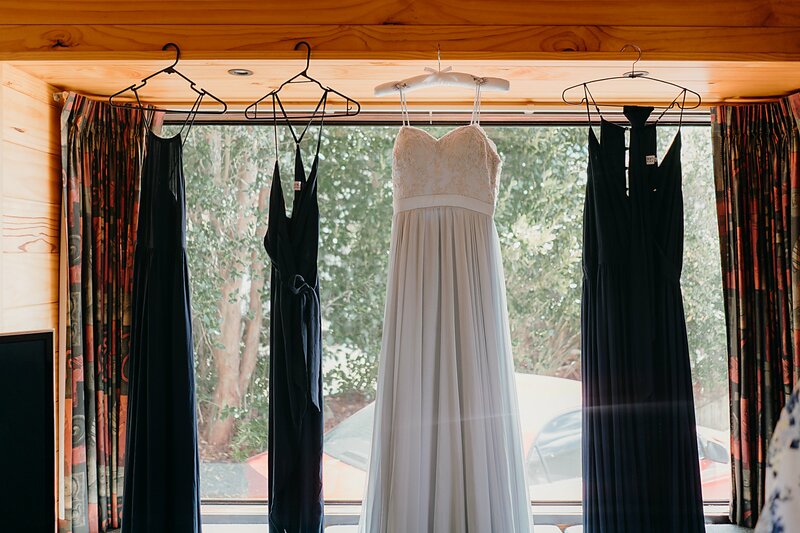 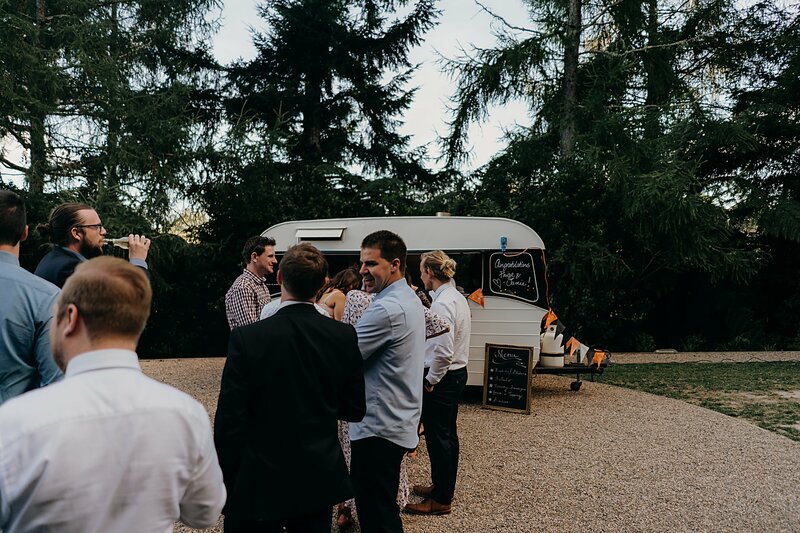 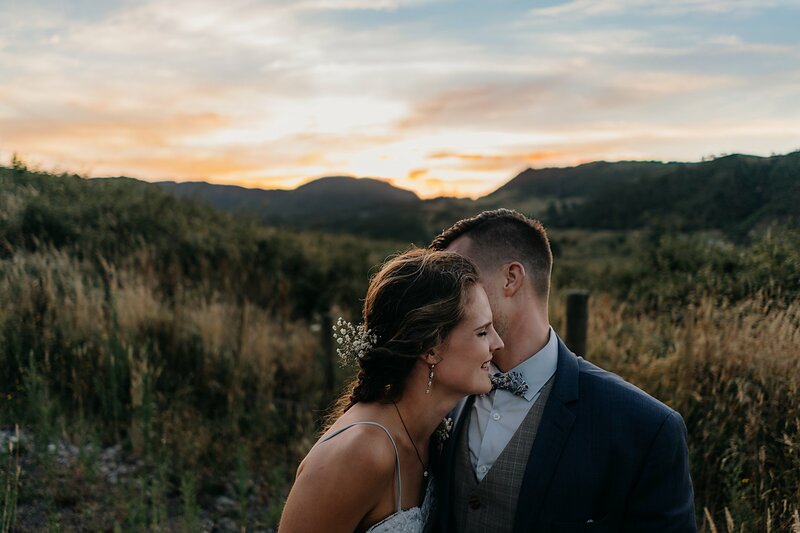 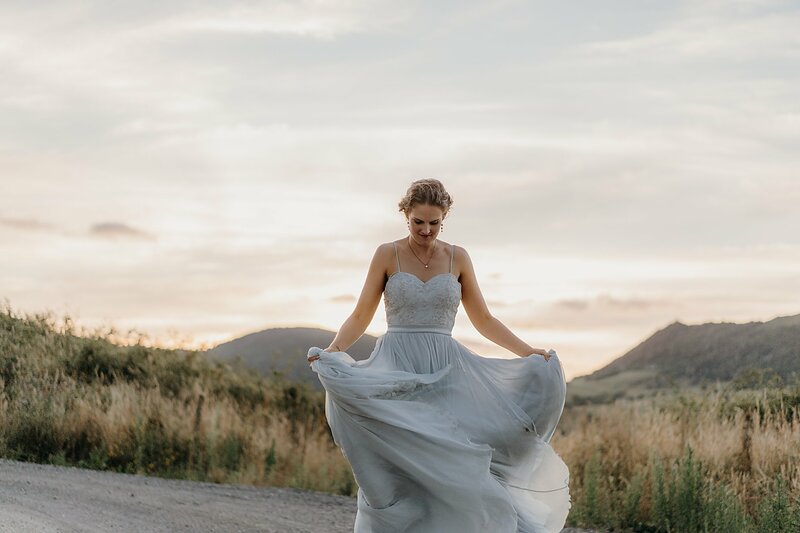 We had a gorgeous first look in front of the Toi Toi’s which I had been eyeing up for over a year. 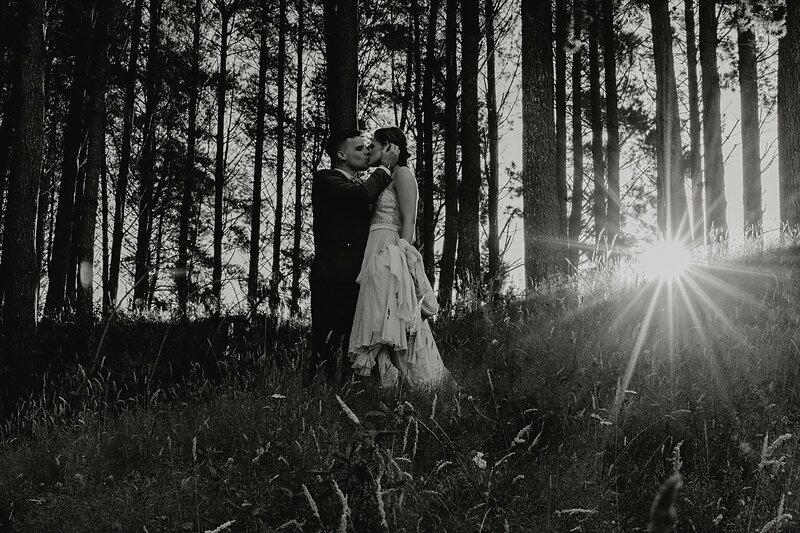 How the sunlight hit’s them in magical. 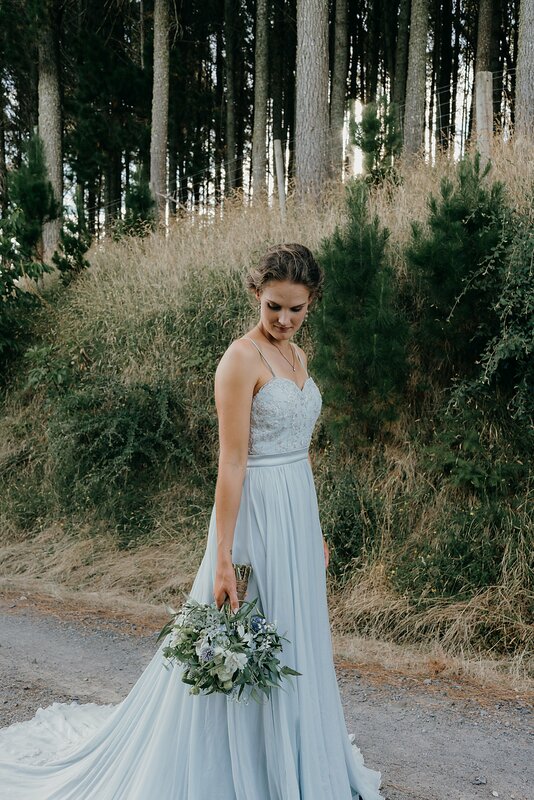 Jamie knew that Paige had a blue dress (I loved it!) 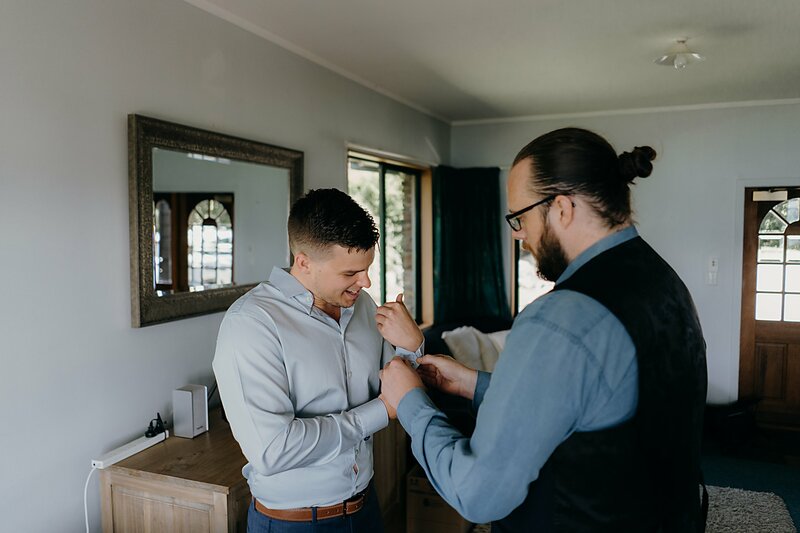 but he didn’t know the style or beading work. 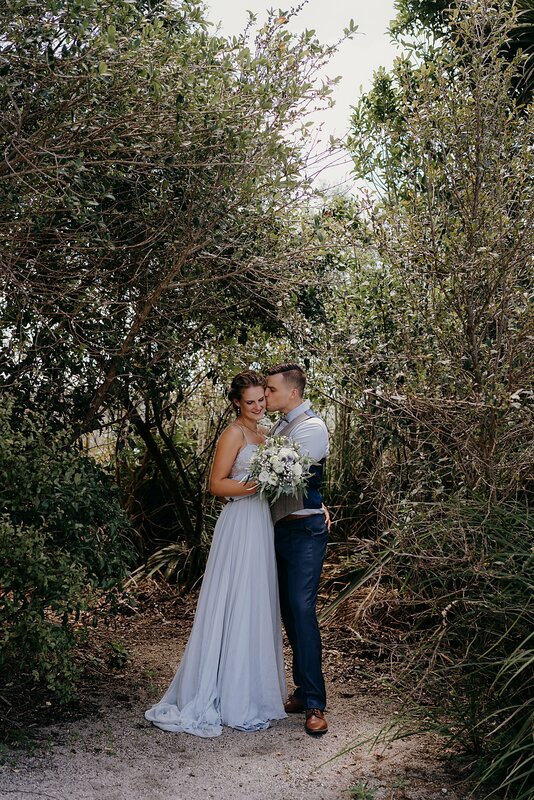 It was gorgeous and she looked absolutely beautiful. 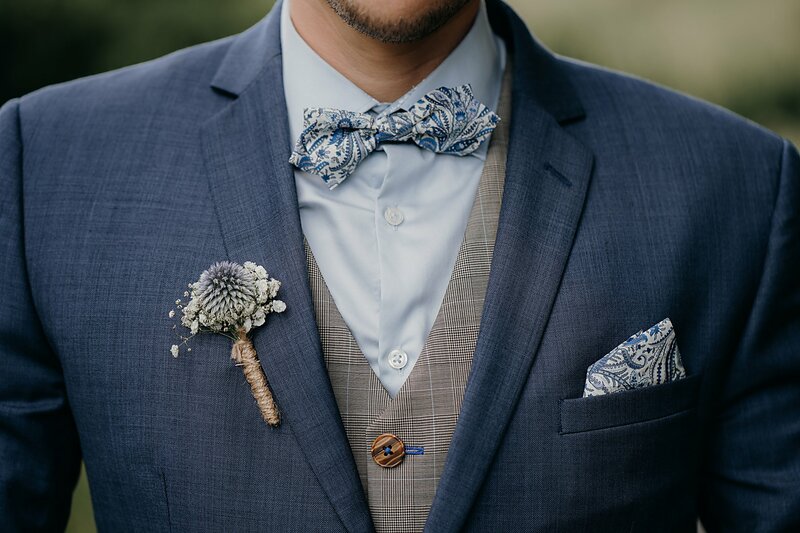 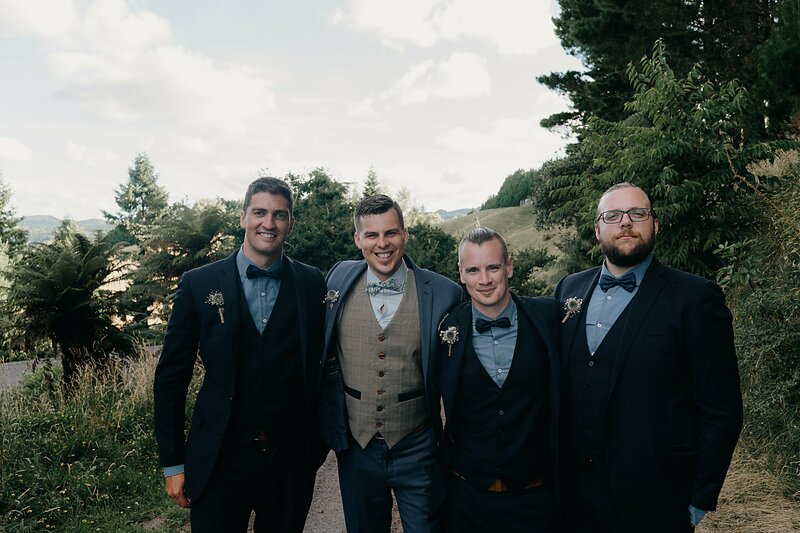 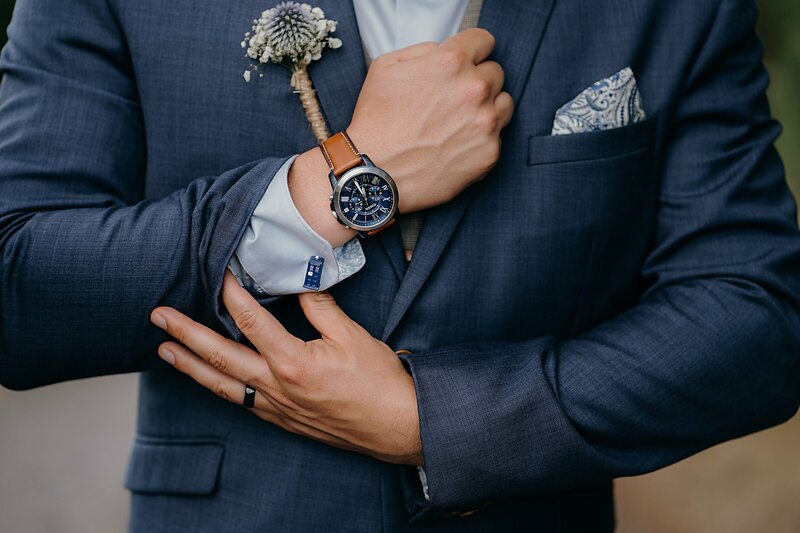 Jamie had a paisley bowtie and blue shirt, coupled with a grey waistcoat, blue jacket and Tardis cufflinks! 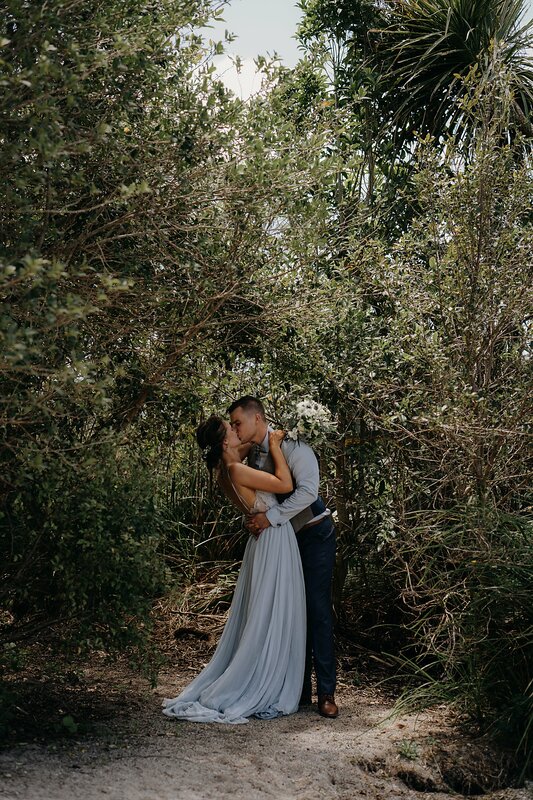 These two had so much style and their outfits complemented each other perfectly! 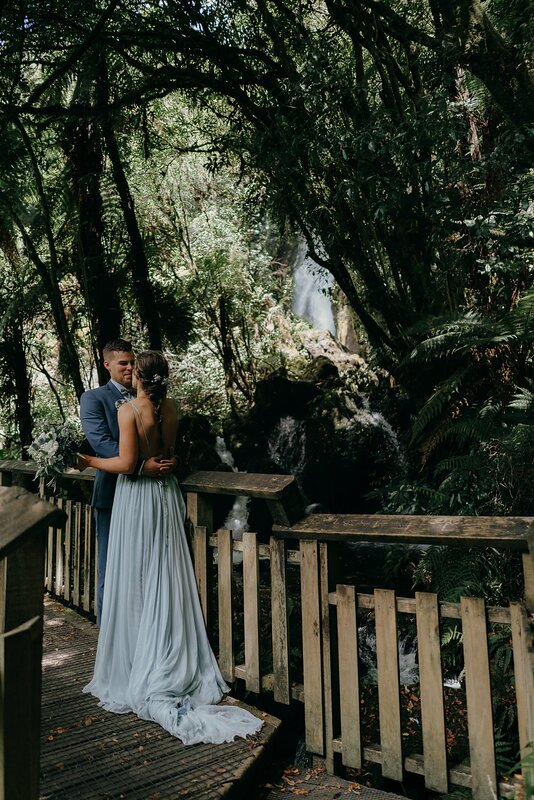 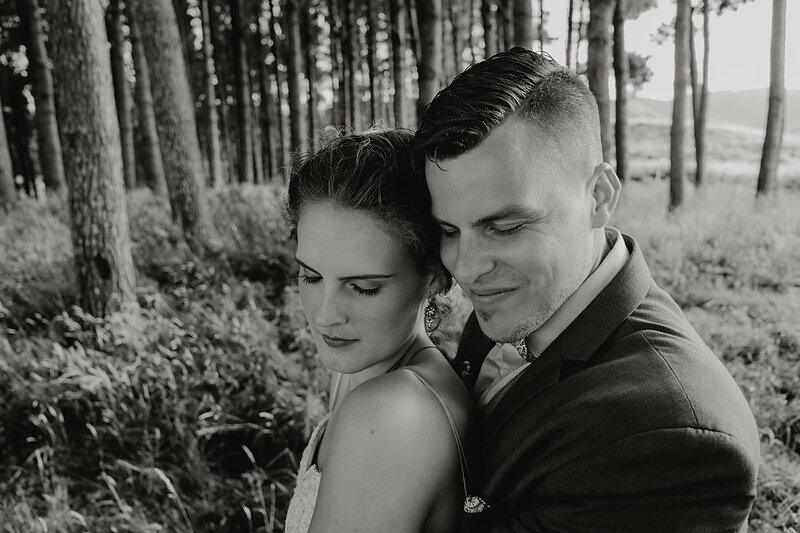 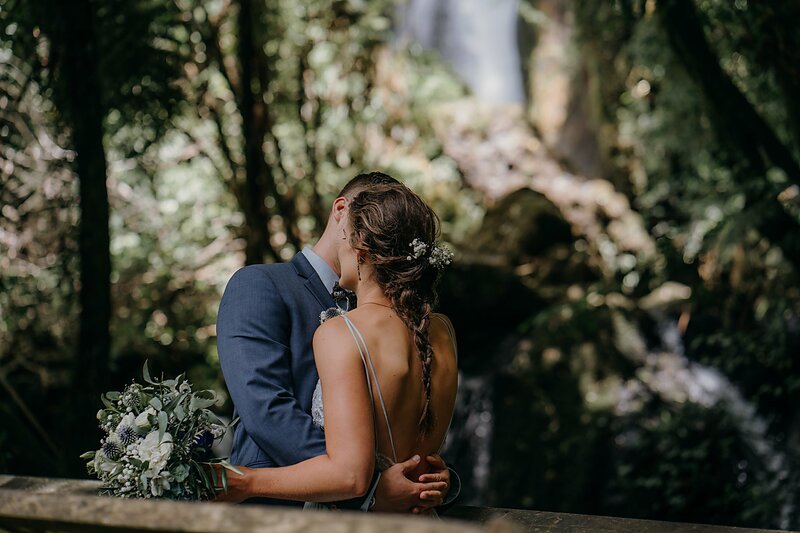 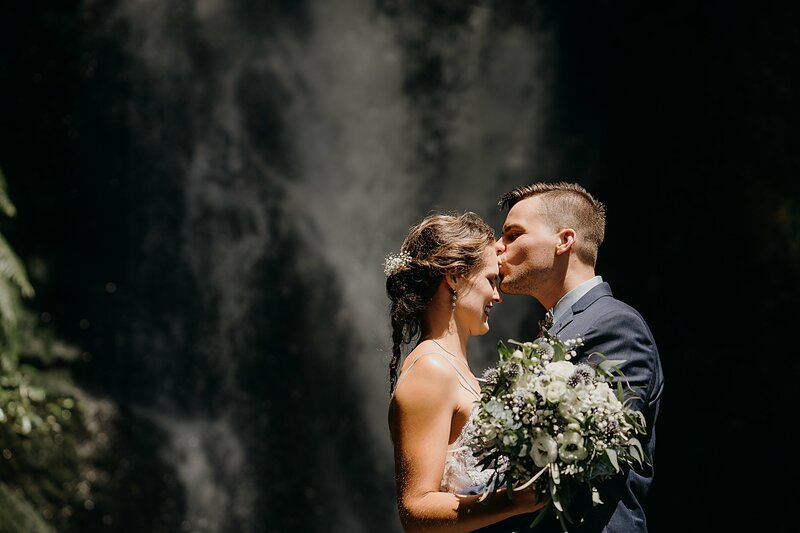 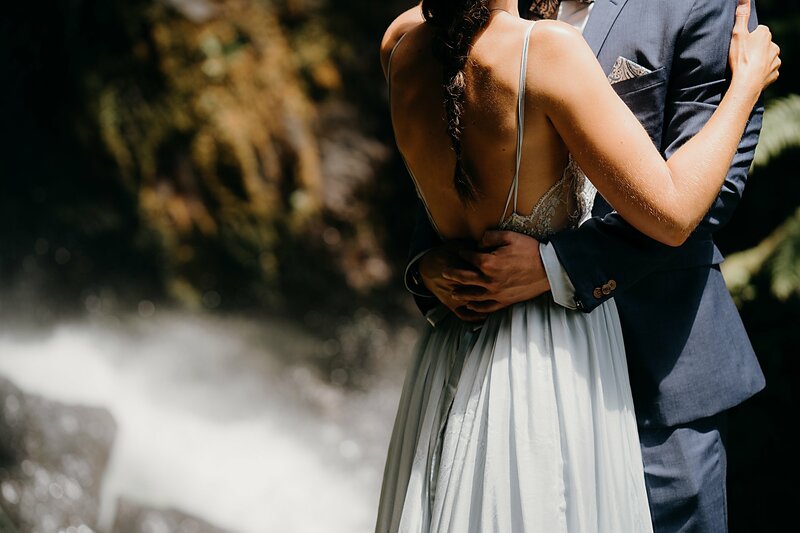 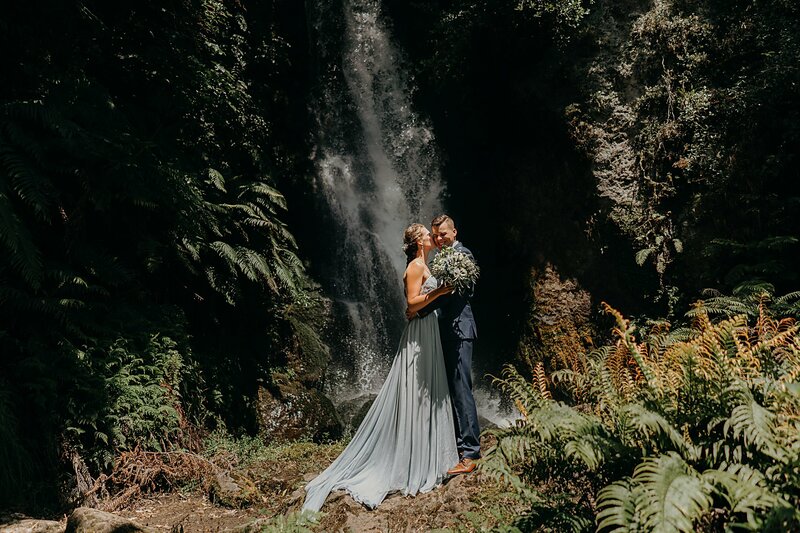 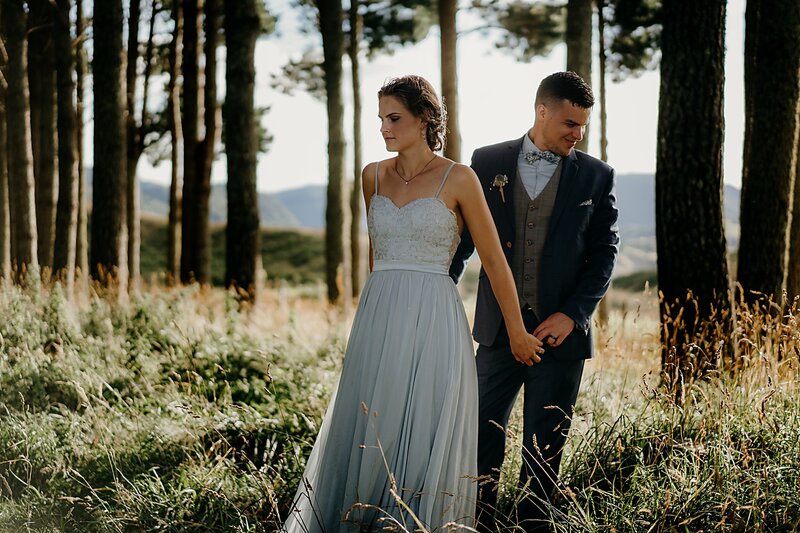 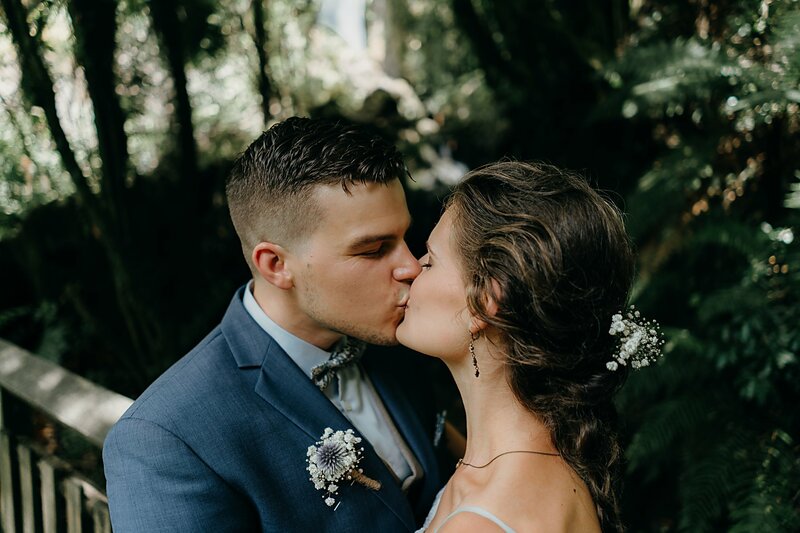 We snuck them quickly to a waterfall for some photos of just the two of them before returning the couple to their bridal party at one of Jamie’s mate’s parents home on the edge of Lake Tarawera. 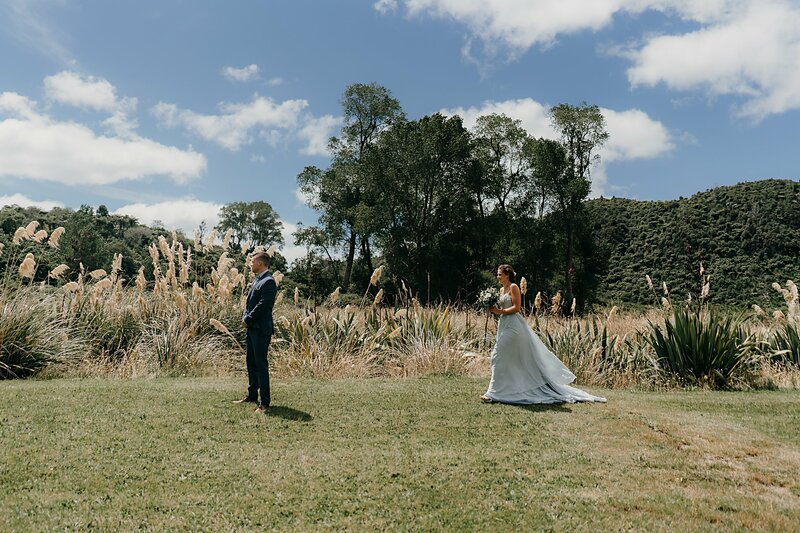 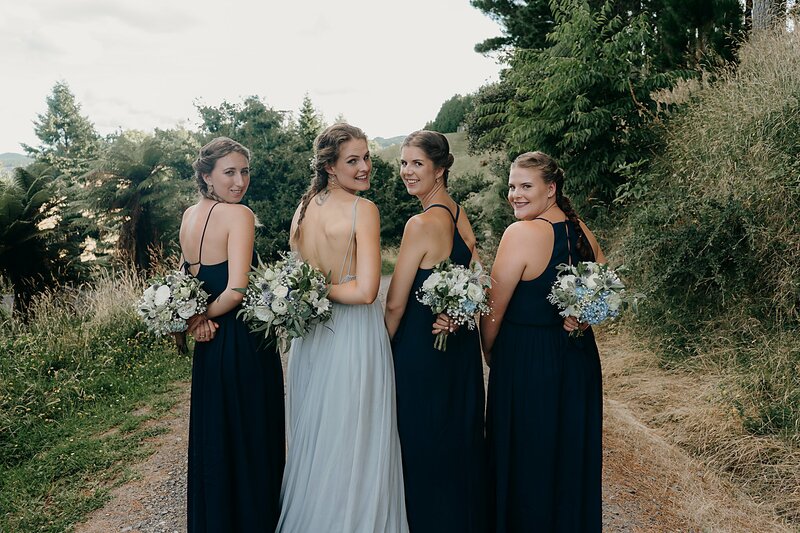 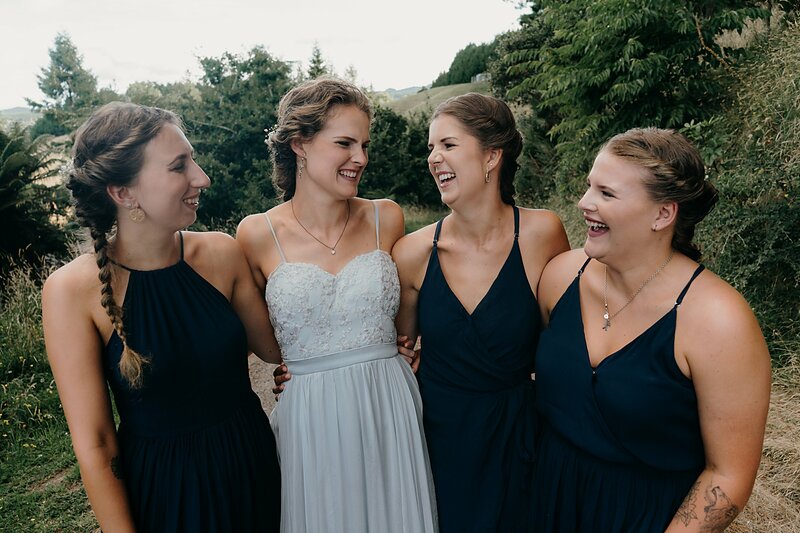 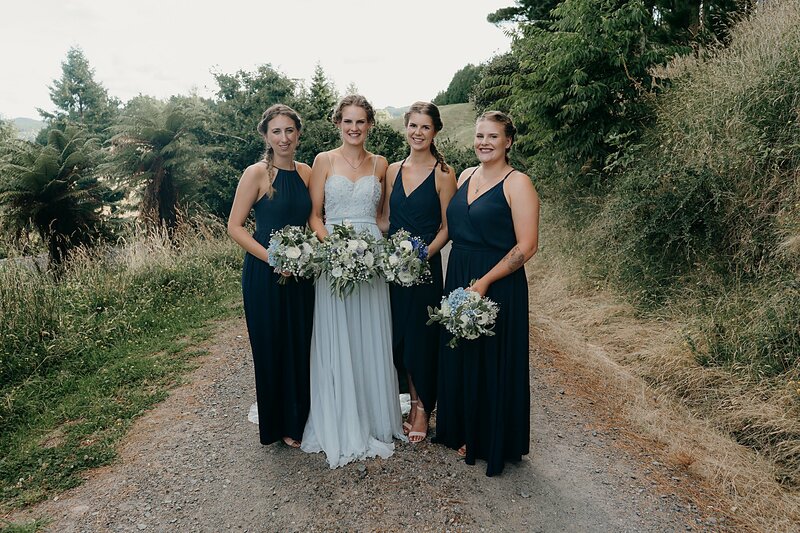 We then missioned back to the barn for photos in the long grass before leaving them to greet their guests. 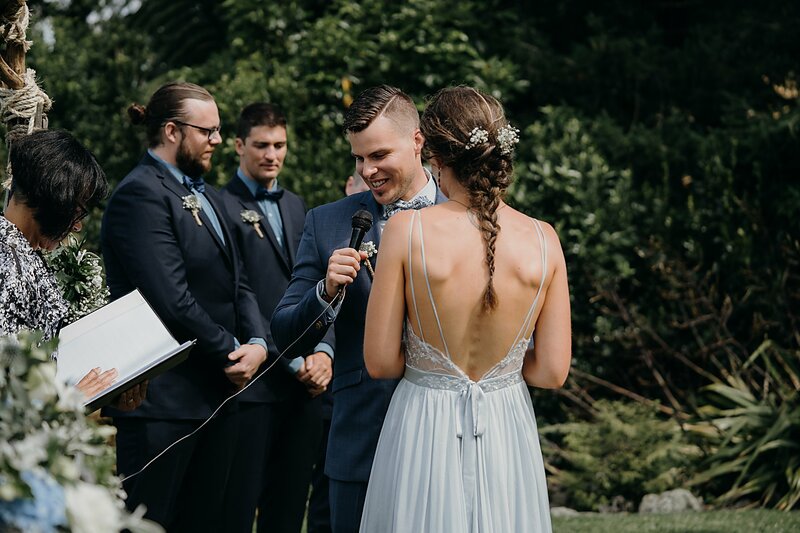 Their vows were so good and tears were falling. 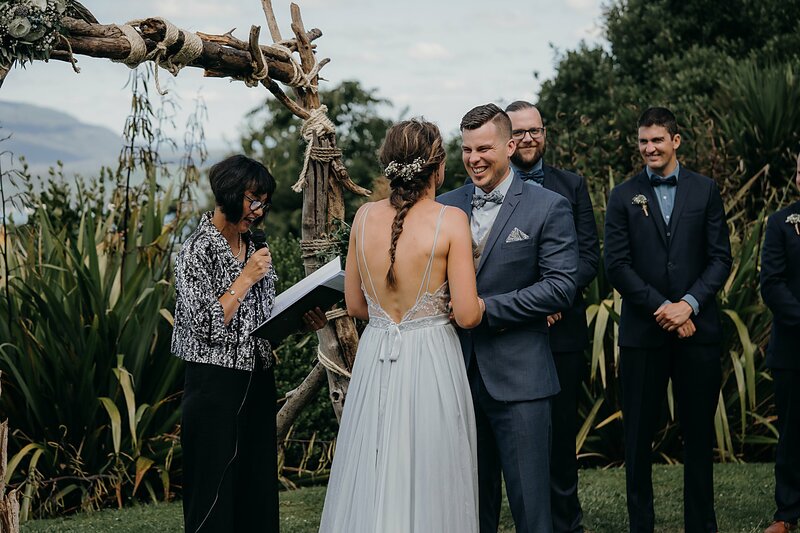 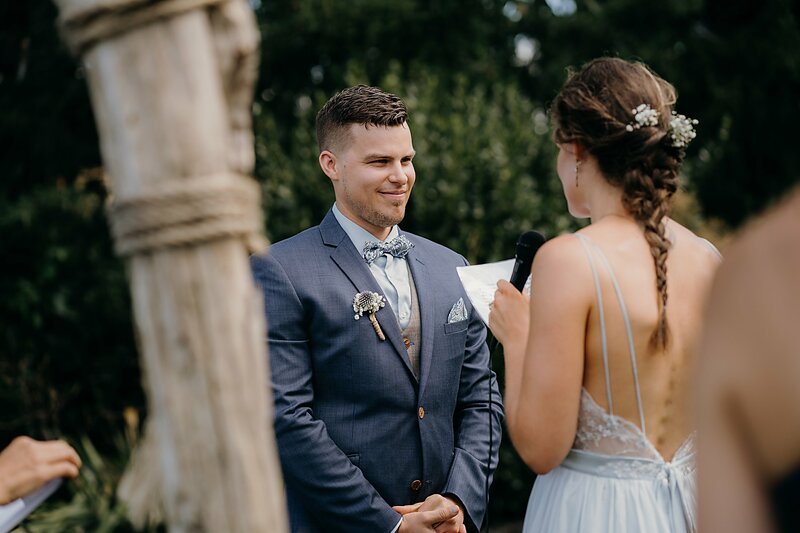 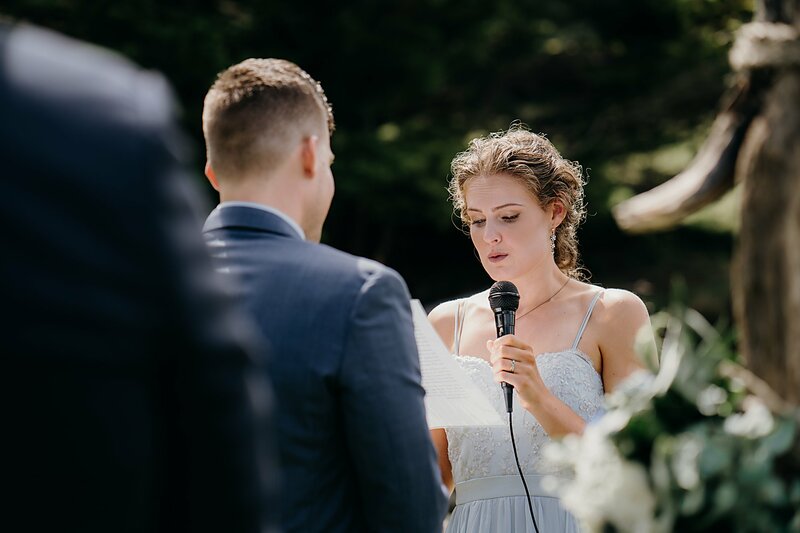 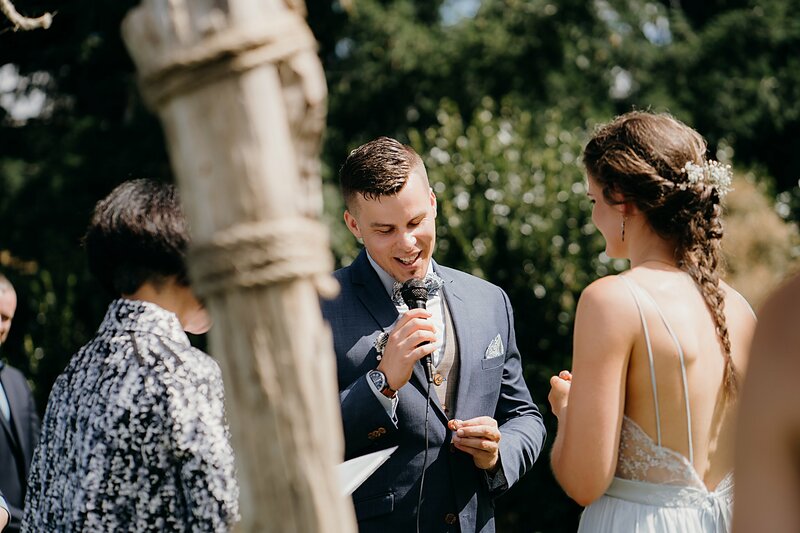 Jamie couldn’t say his vows as he would’ve been a wreck but Carolyne (their celebrant) delivered them beautifully on his behalf. 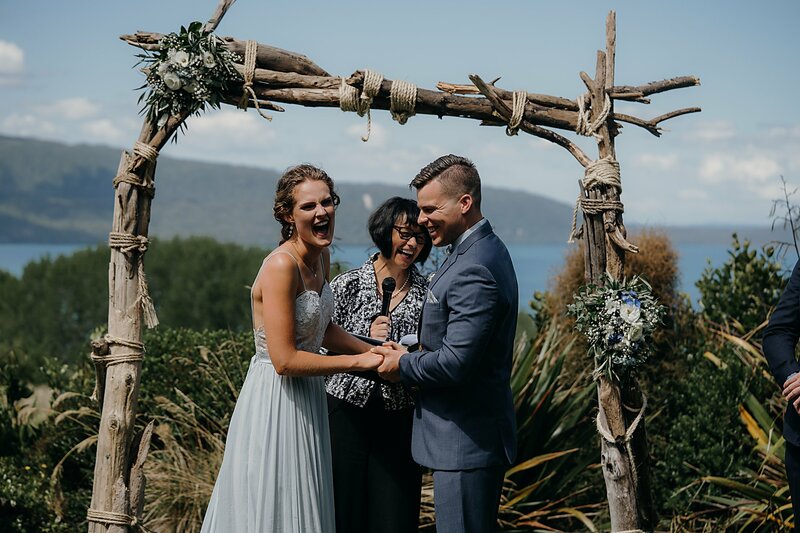 They were stoked to be husband and wife! 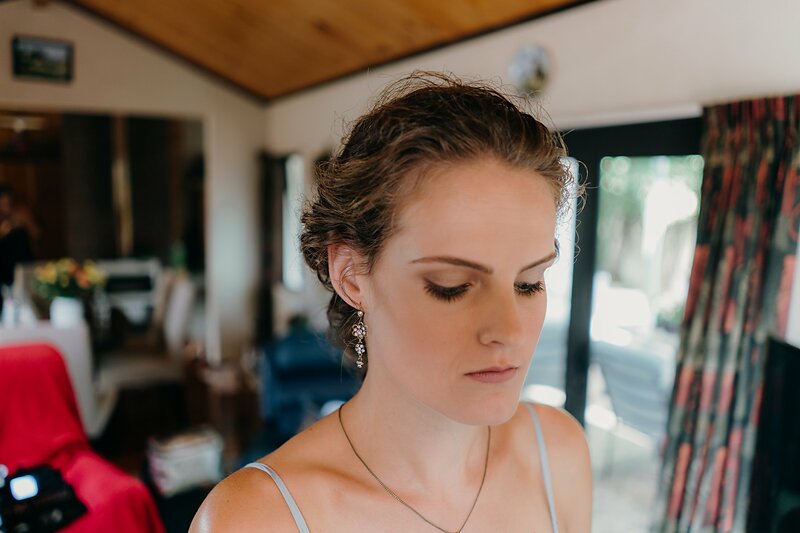 © 2017 Grace Jones Photography & Design. 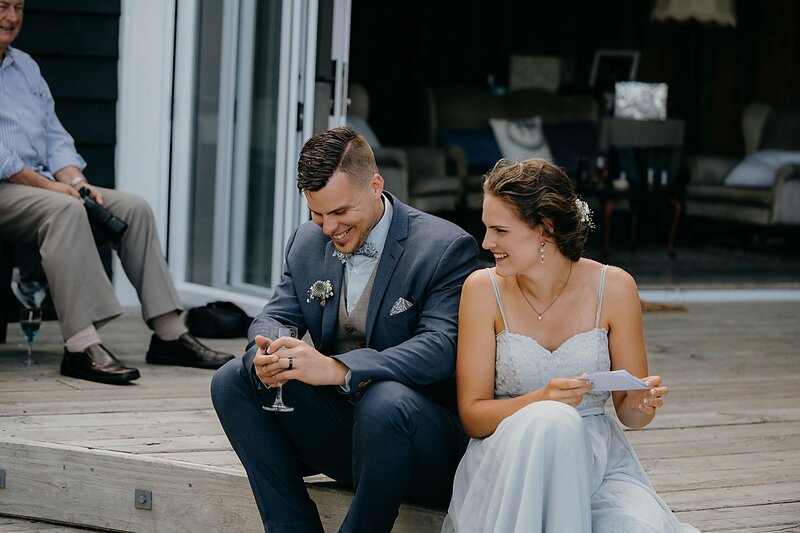 "); //document.writeln(" Babies "); //document.writeln("